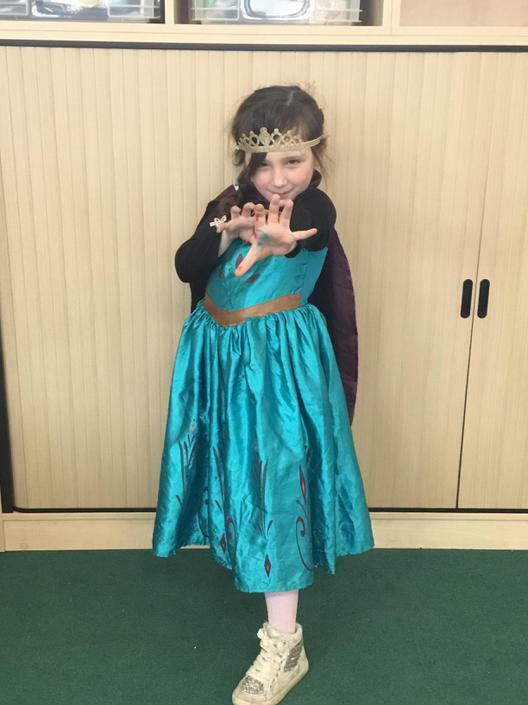 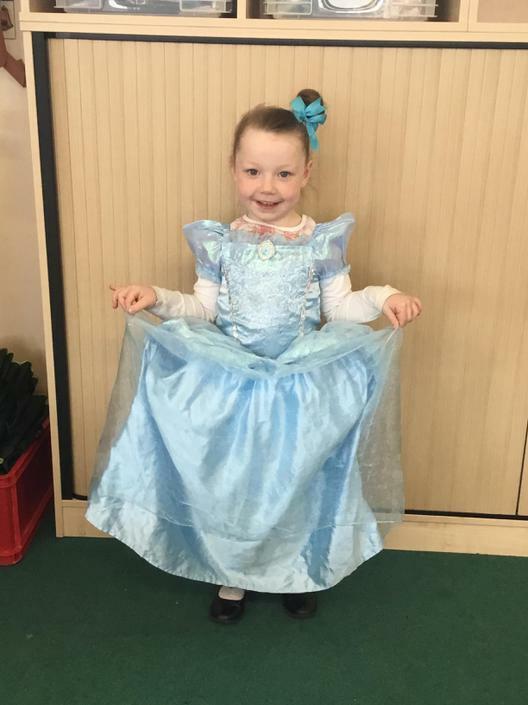 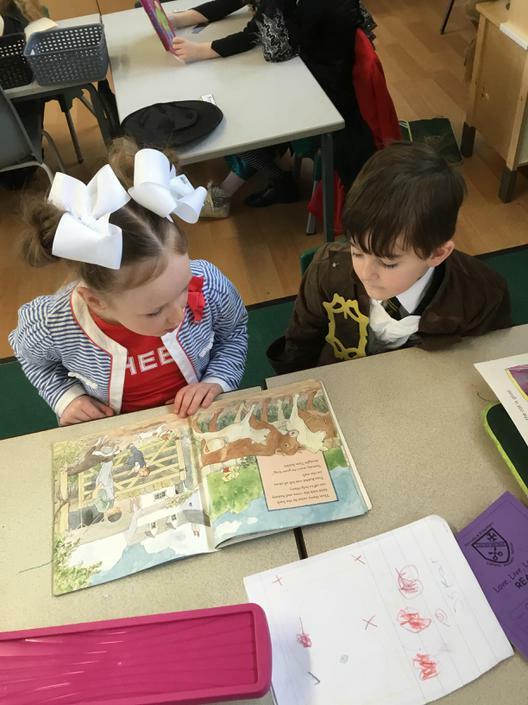 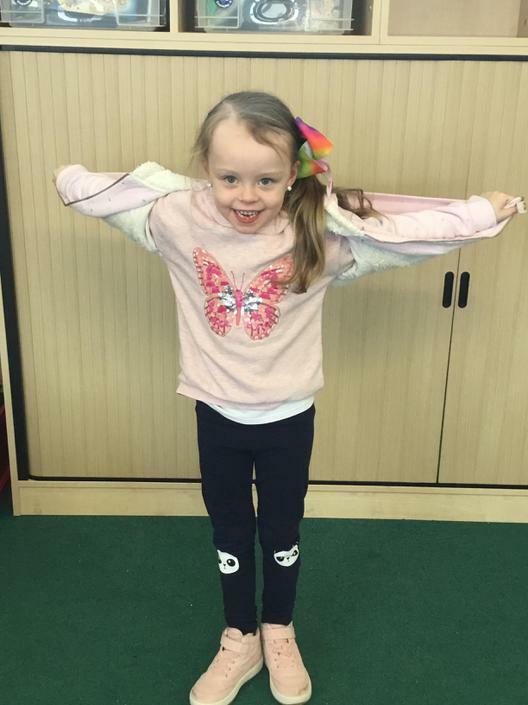 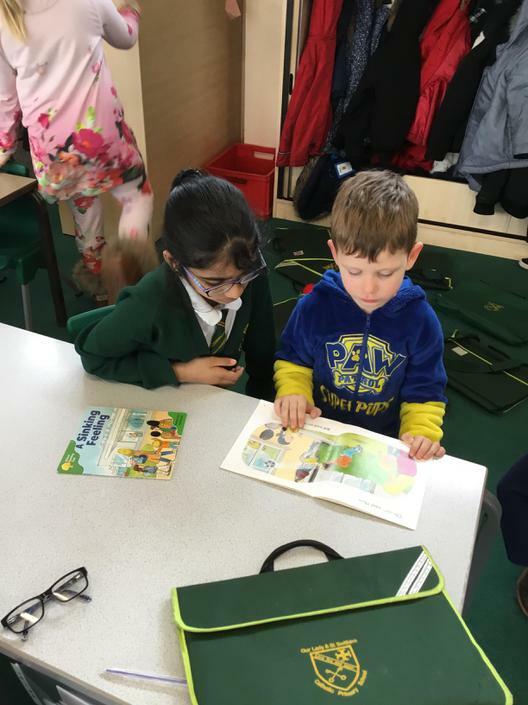 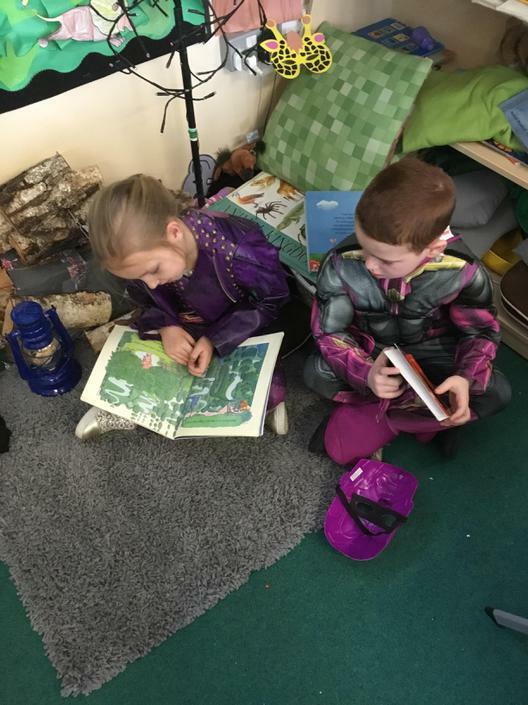 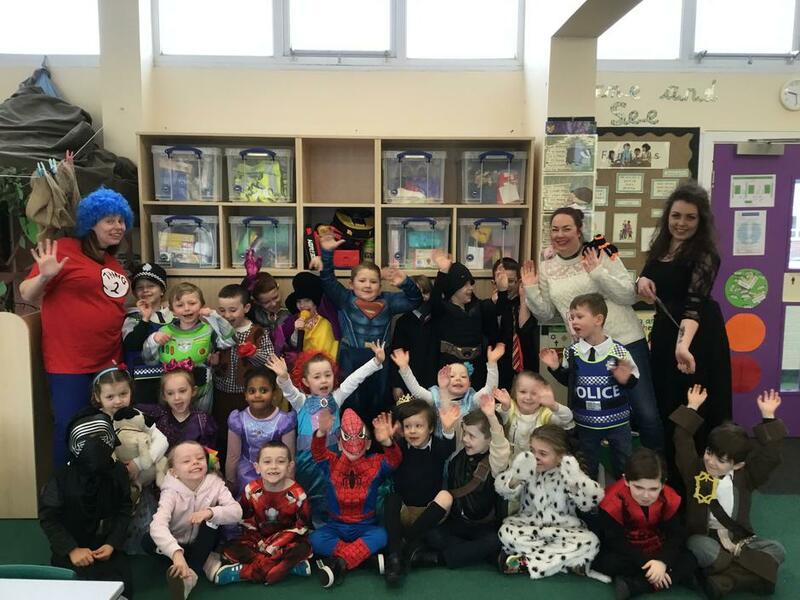 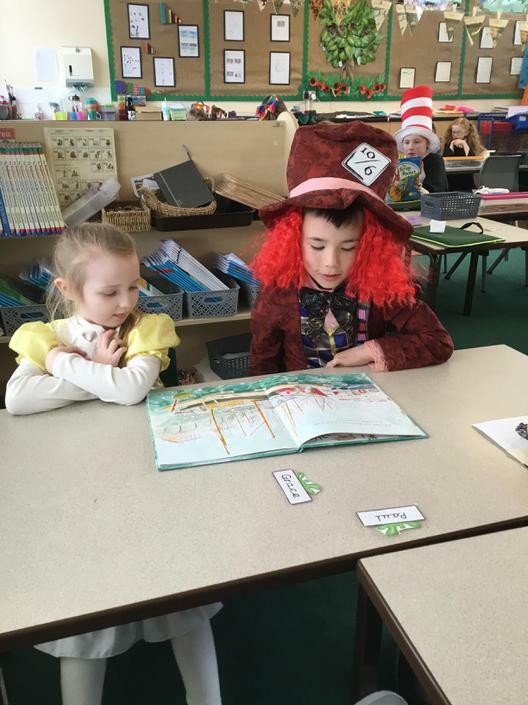 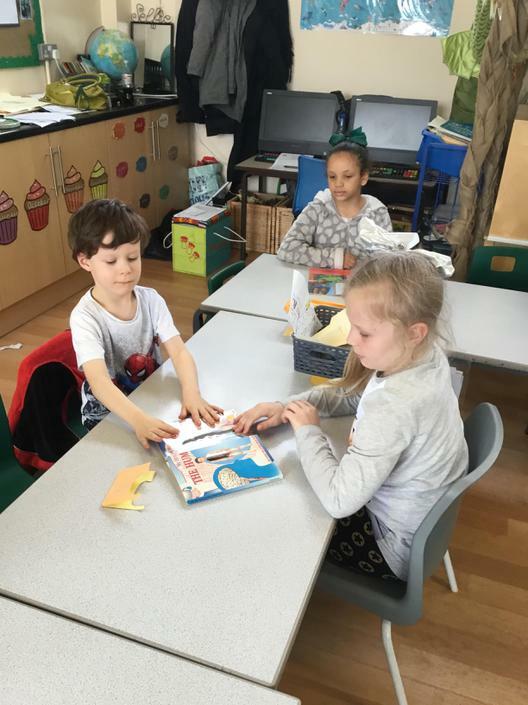 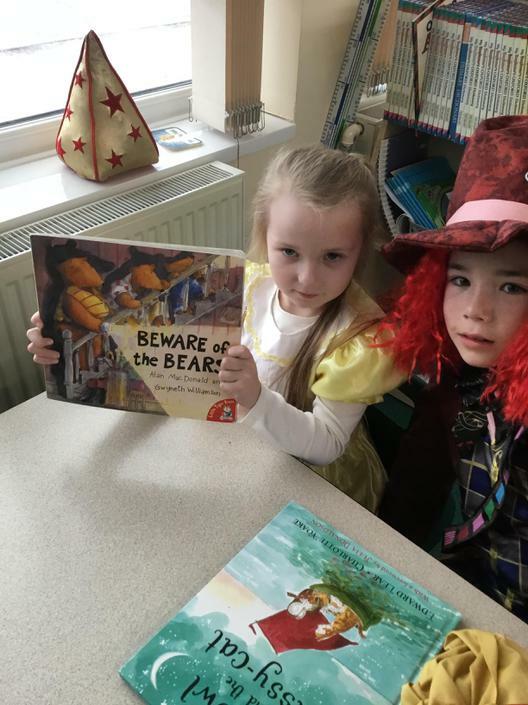 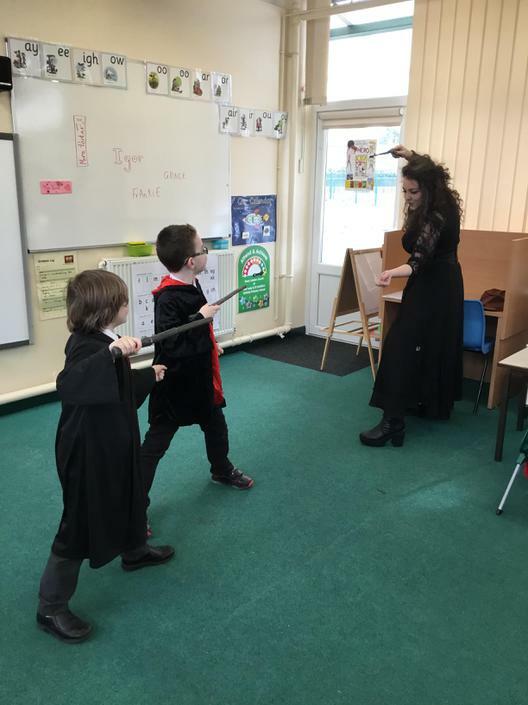 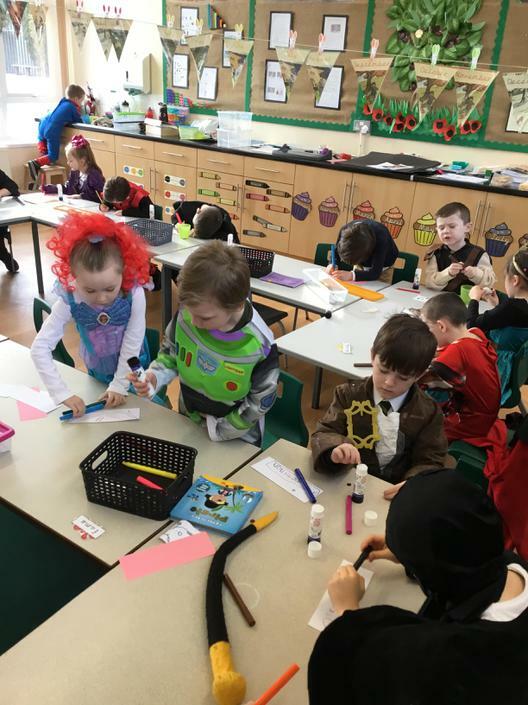 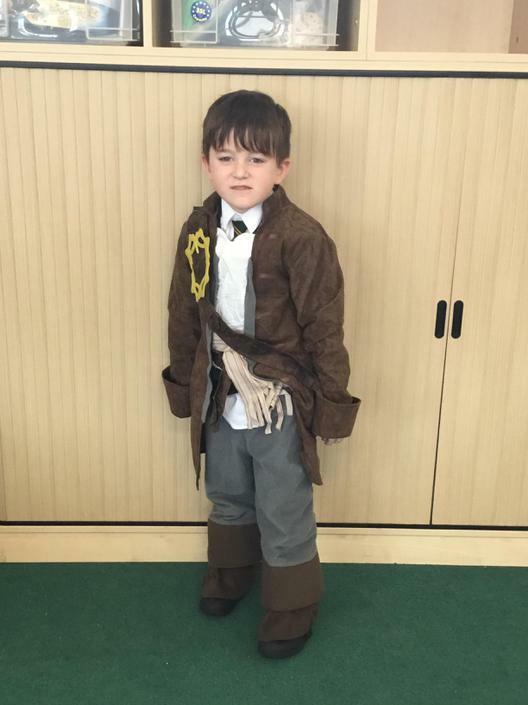 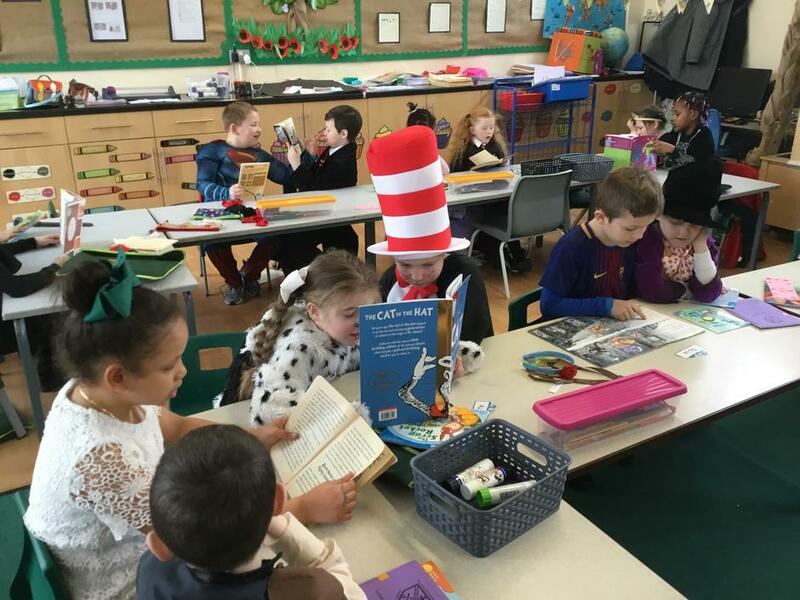 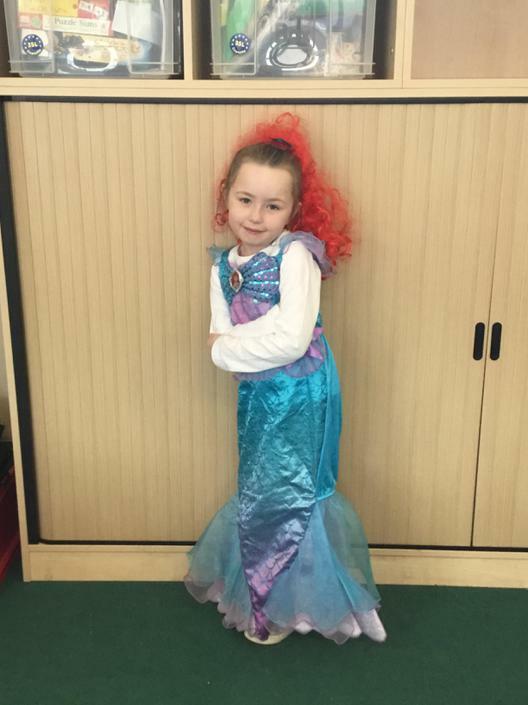 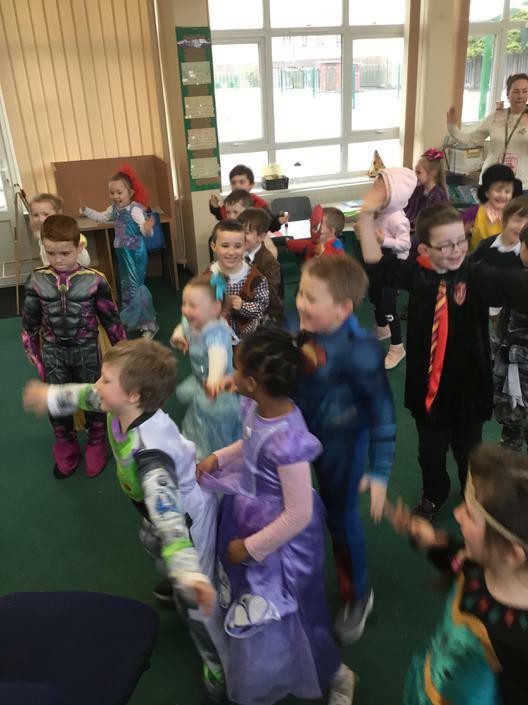 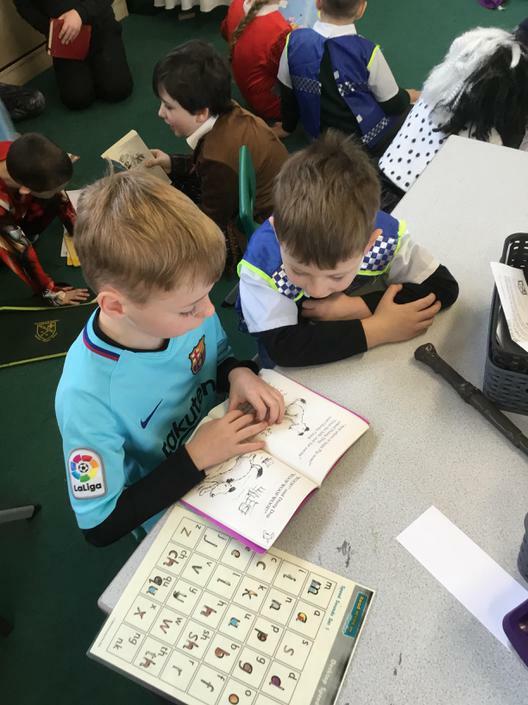 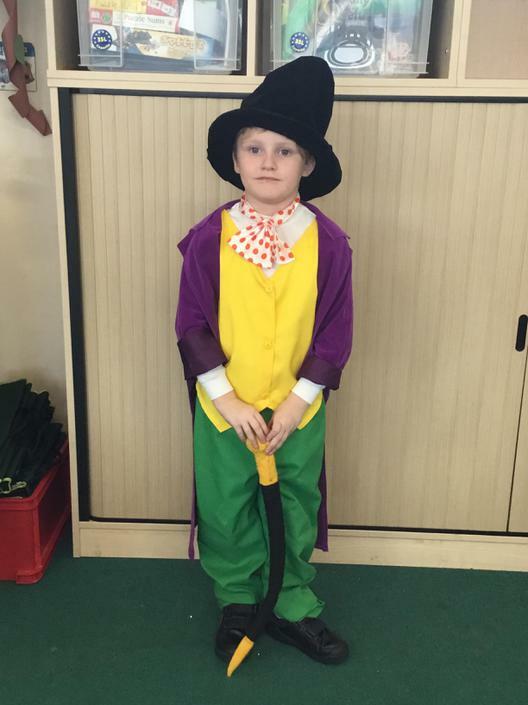 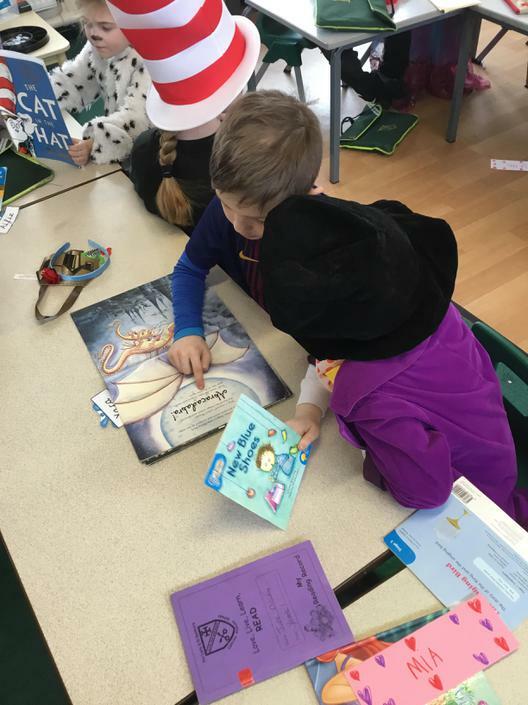 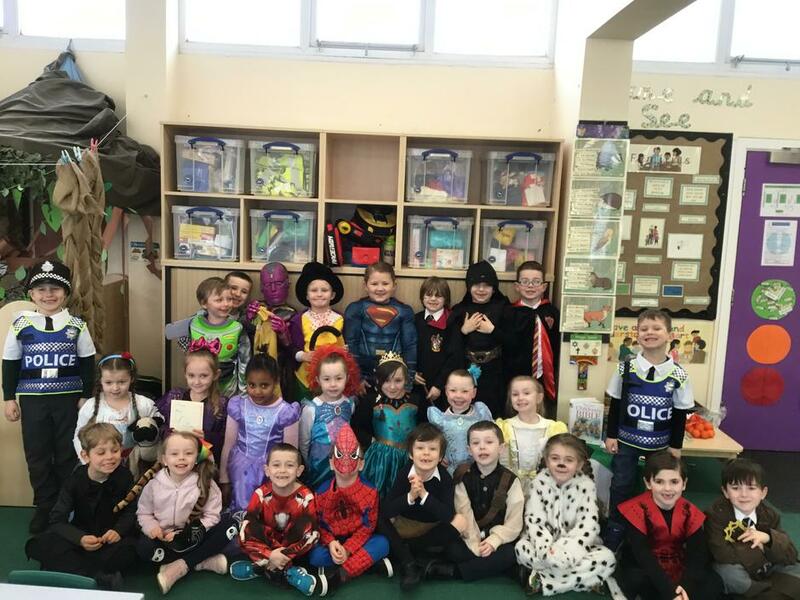 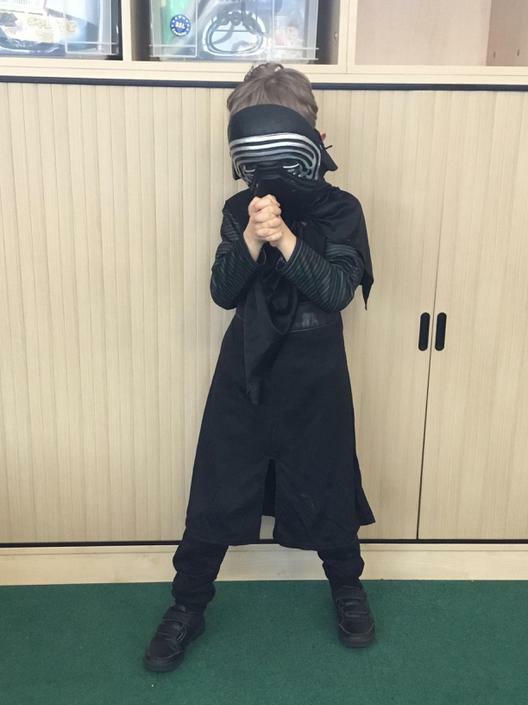 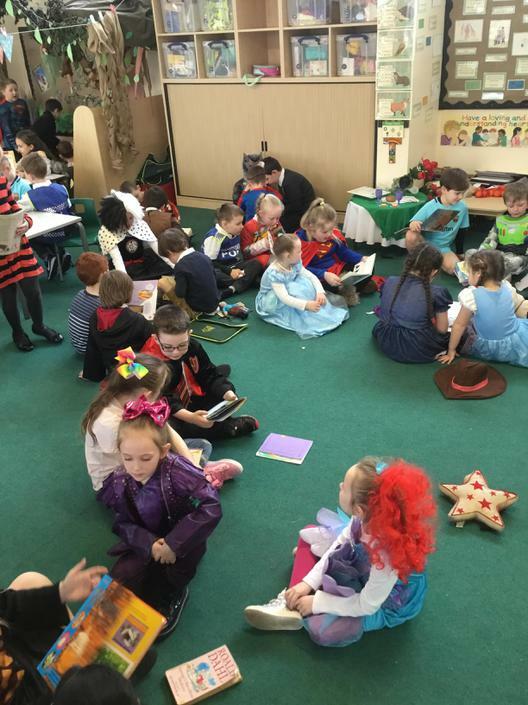 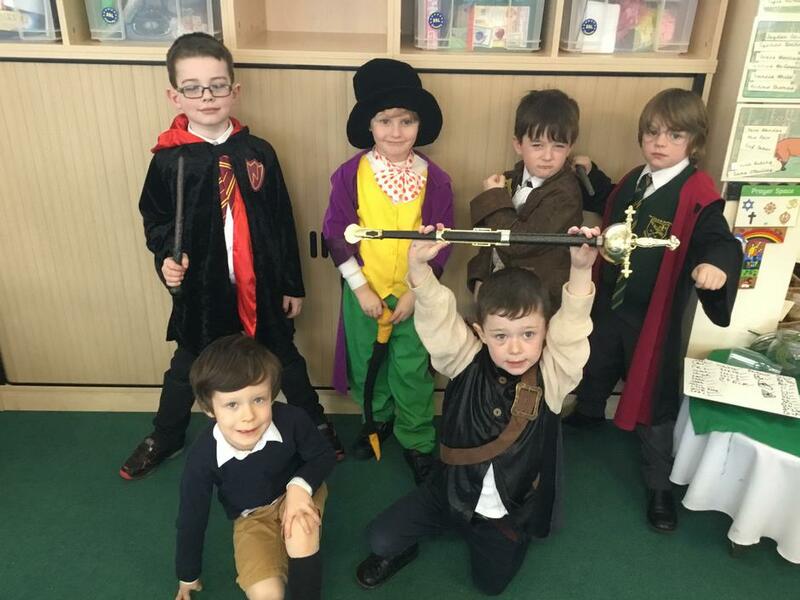 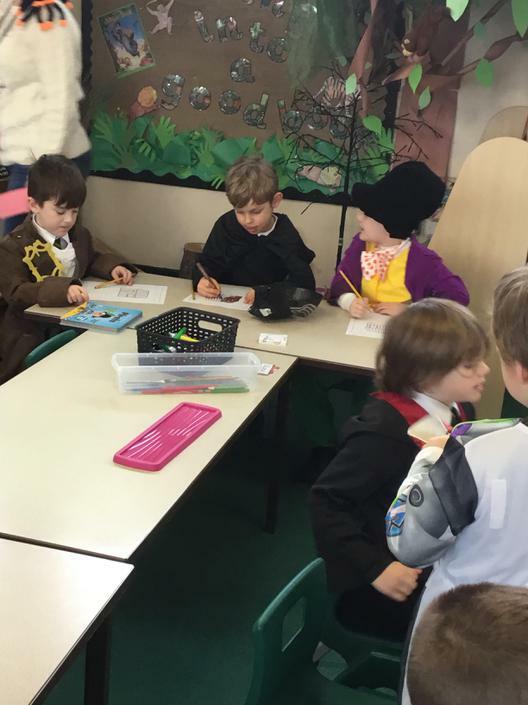 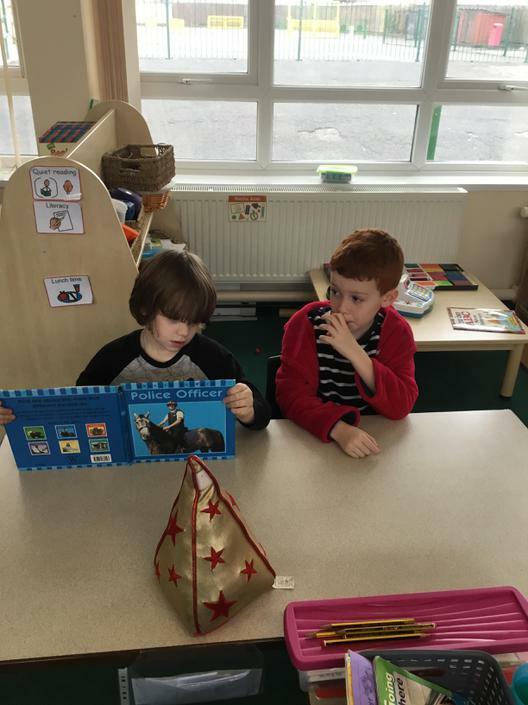 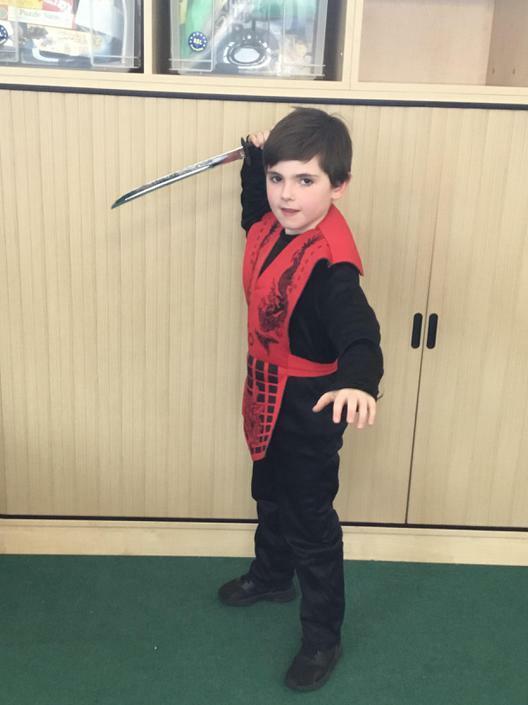 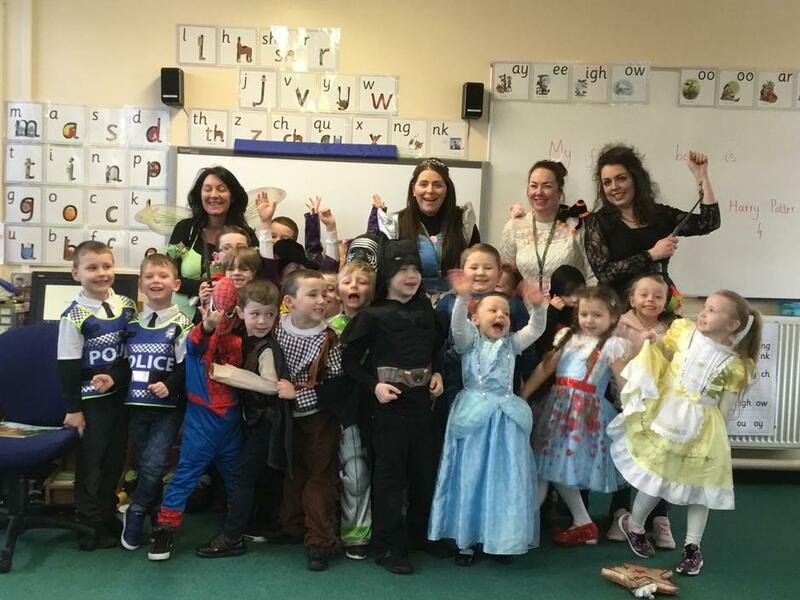 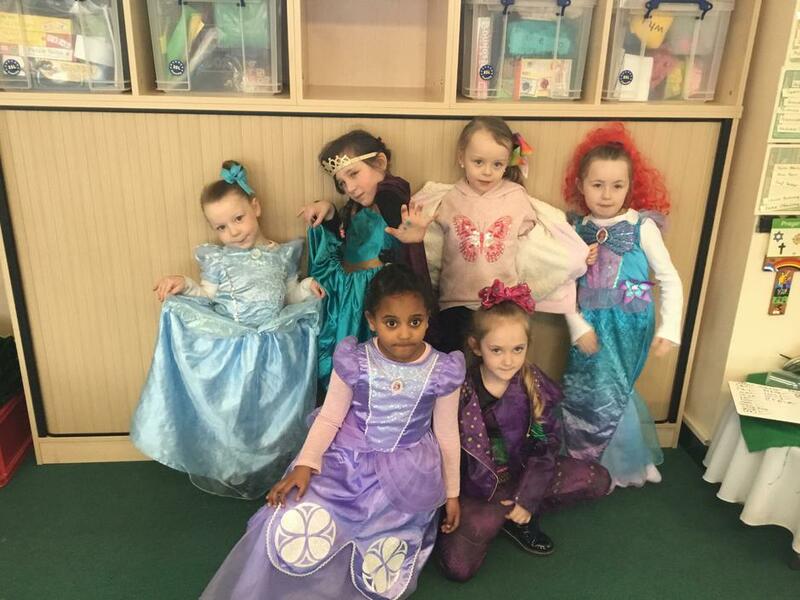 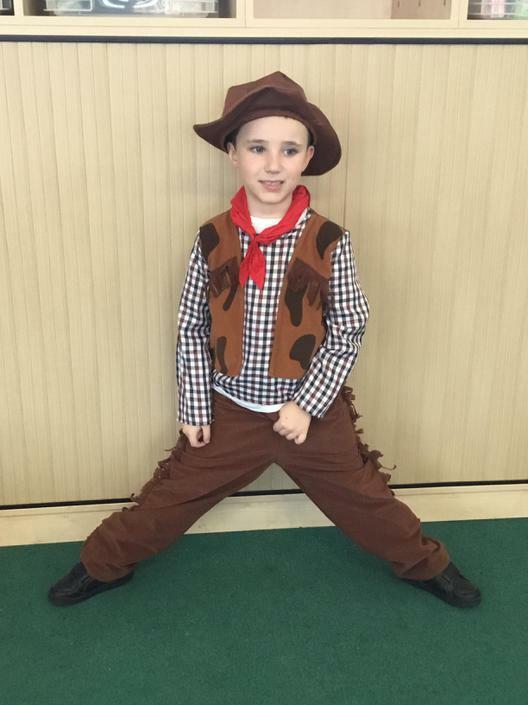 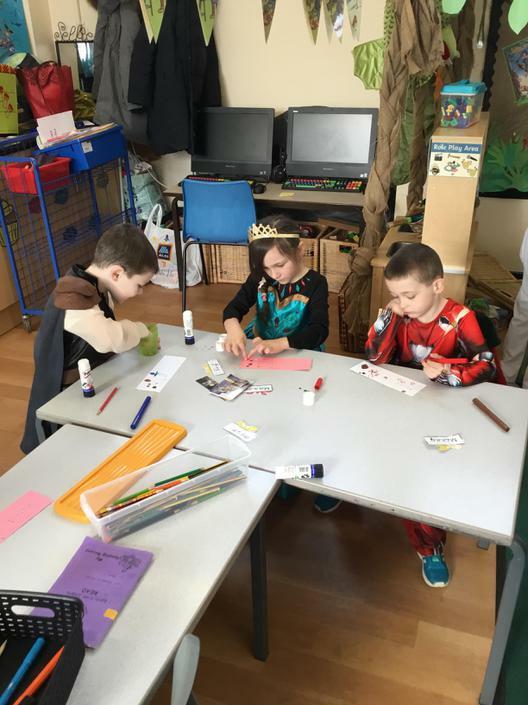 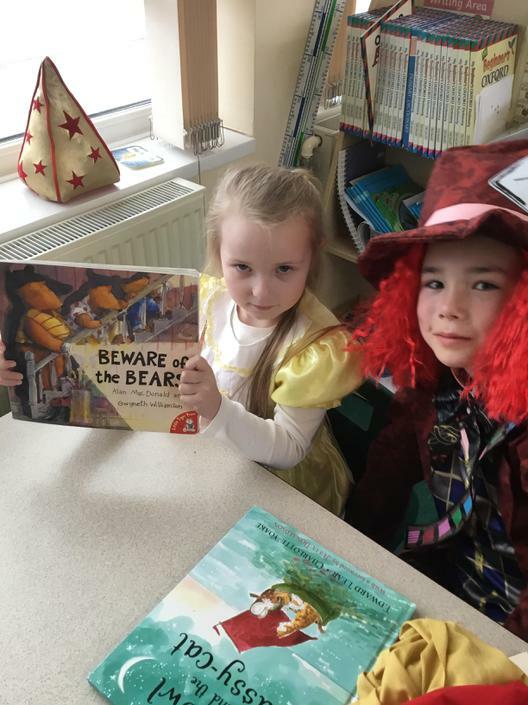 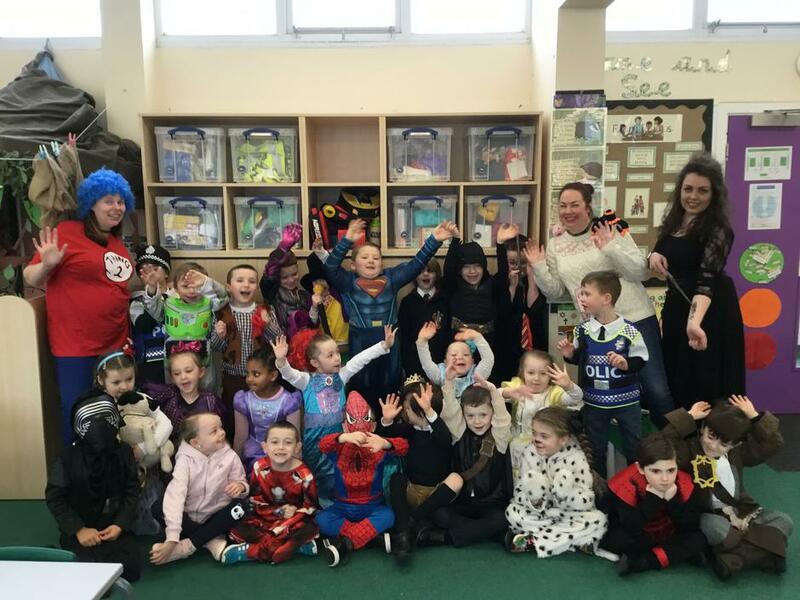 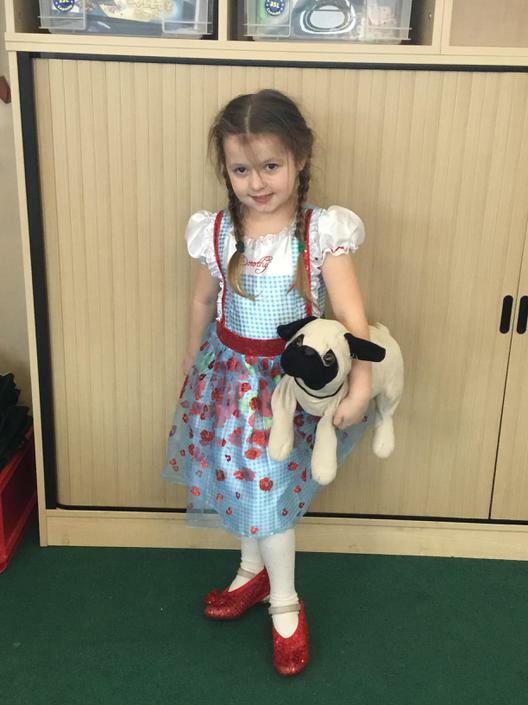 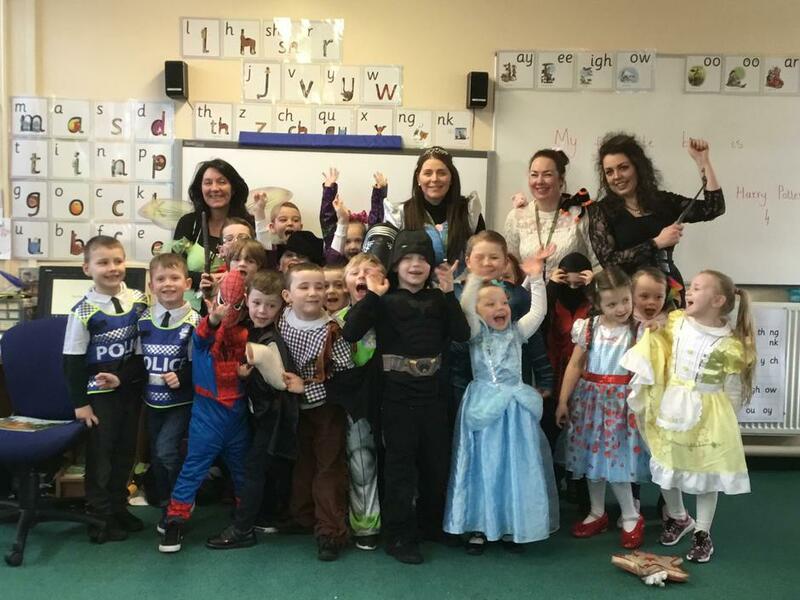 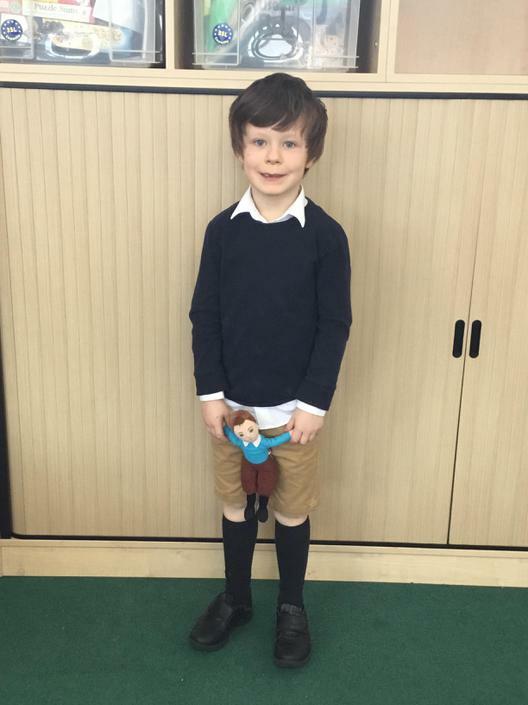 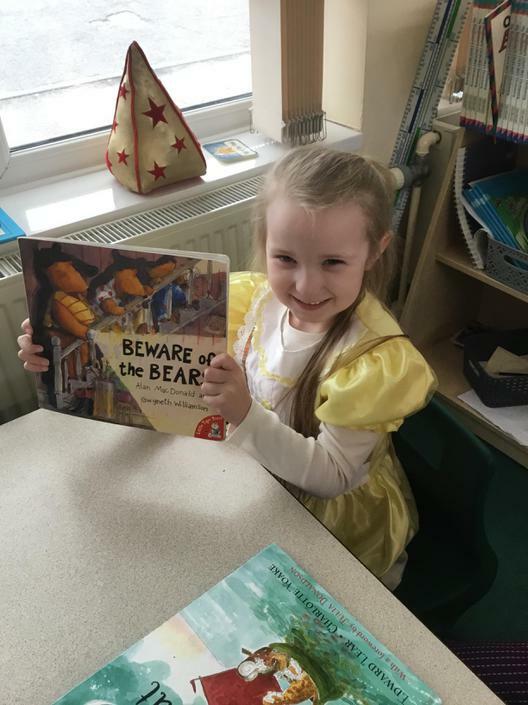 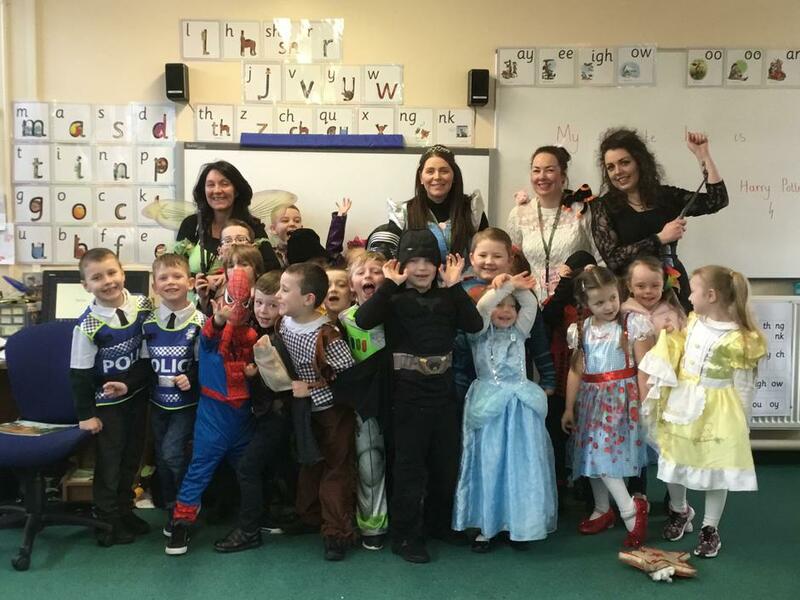 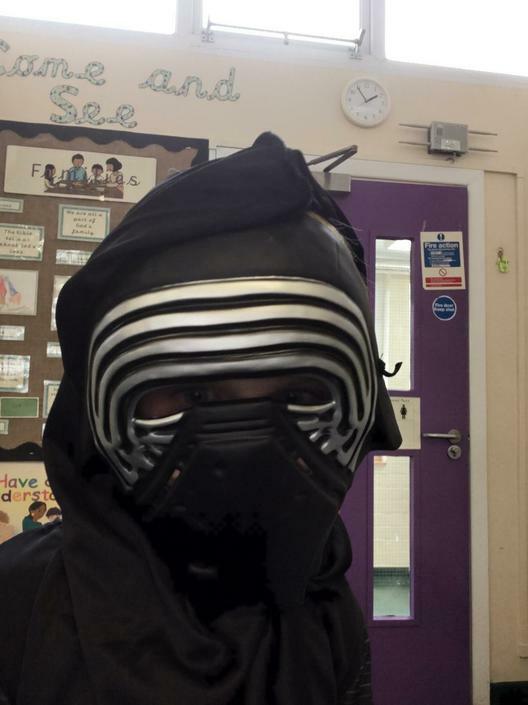 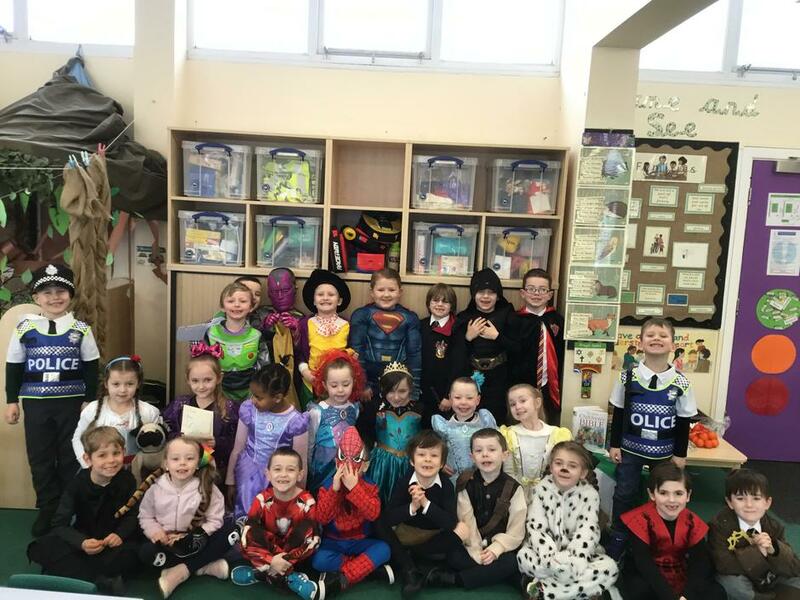 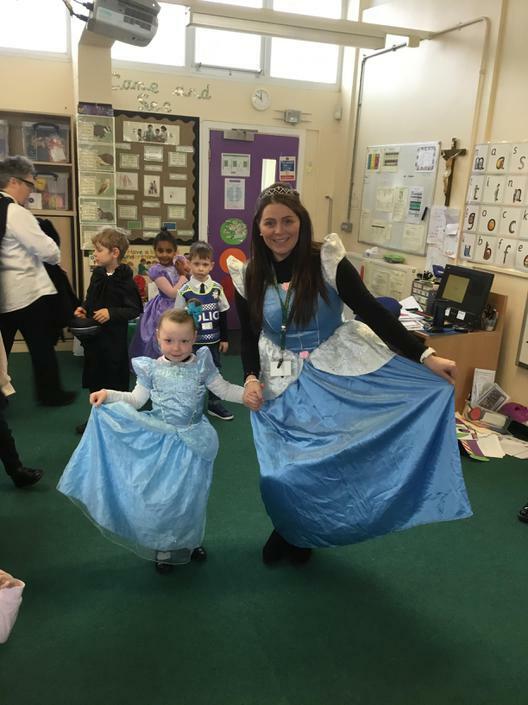 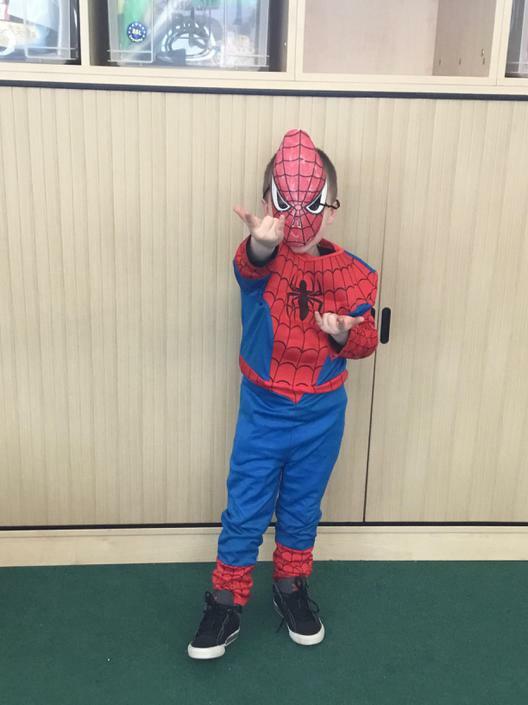 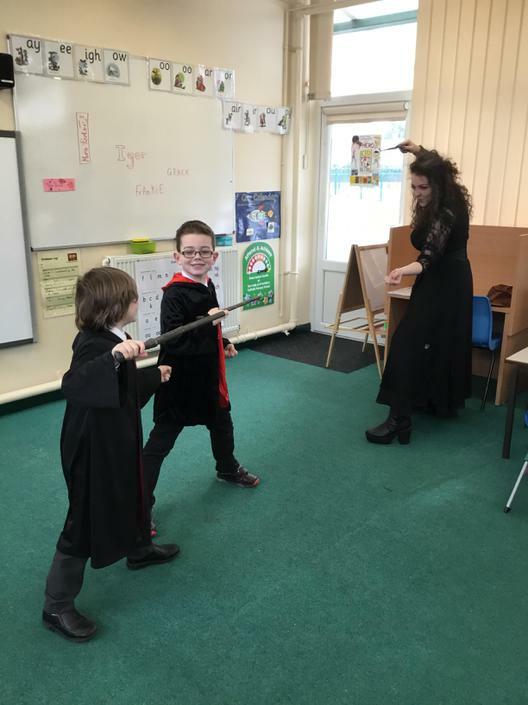 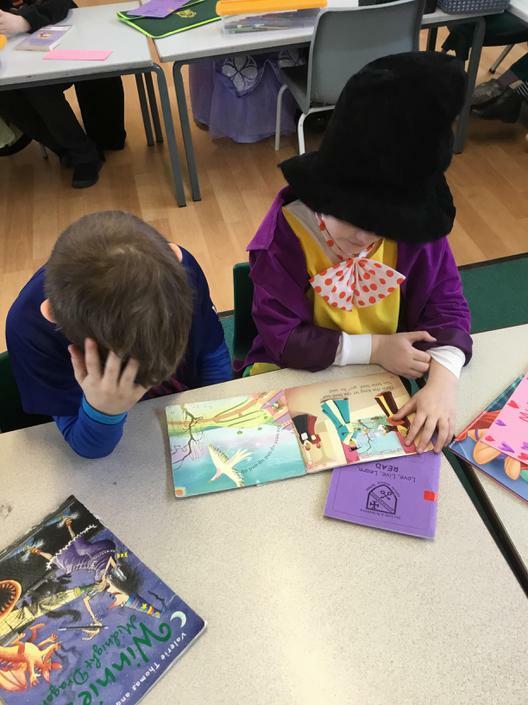 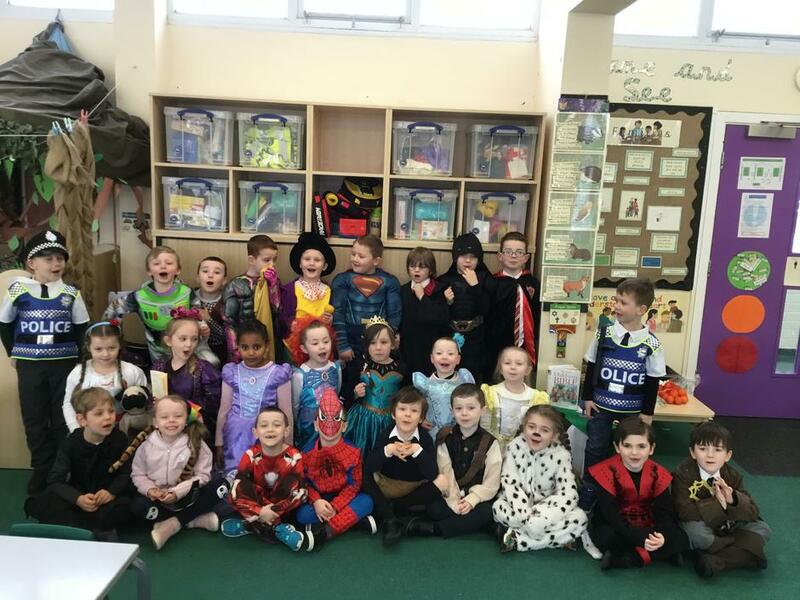 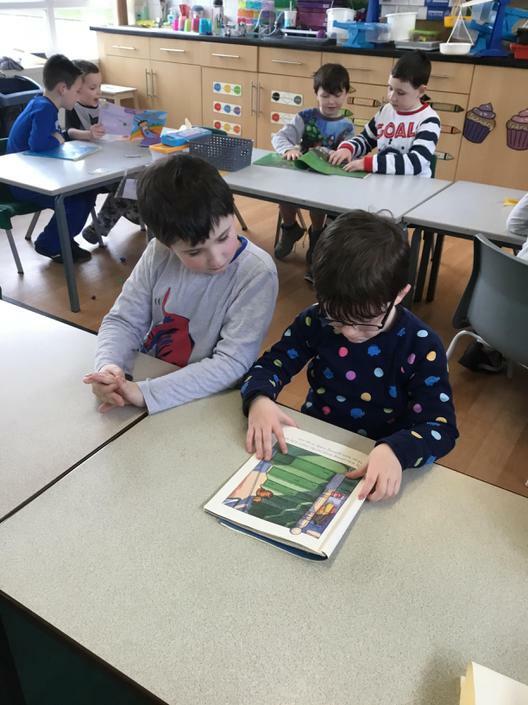 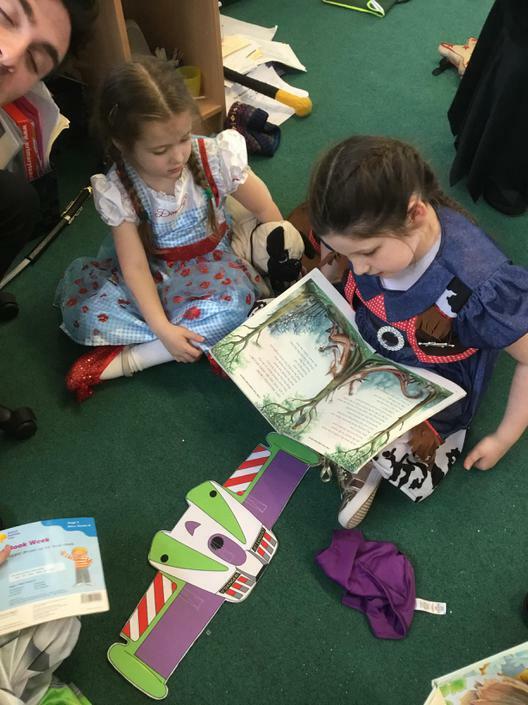 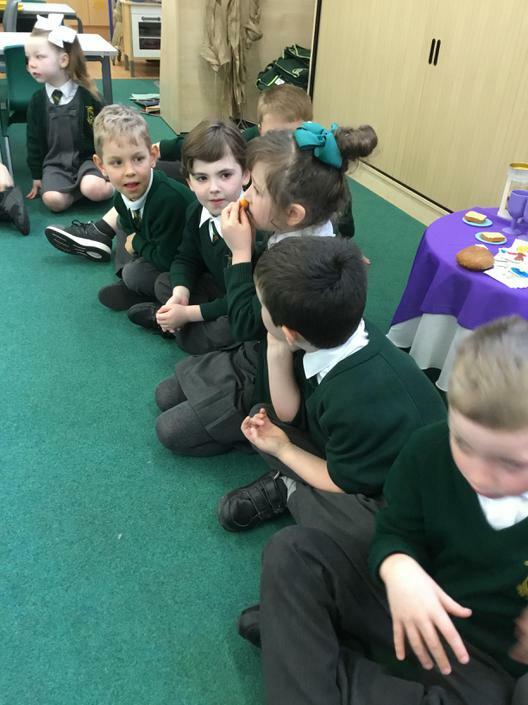 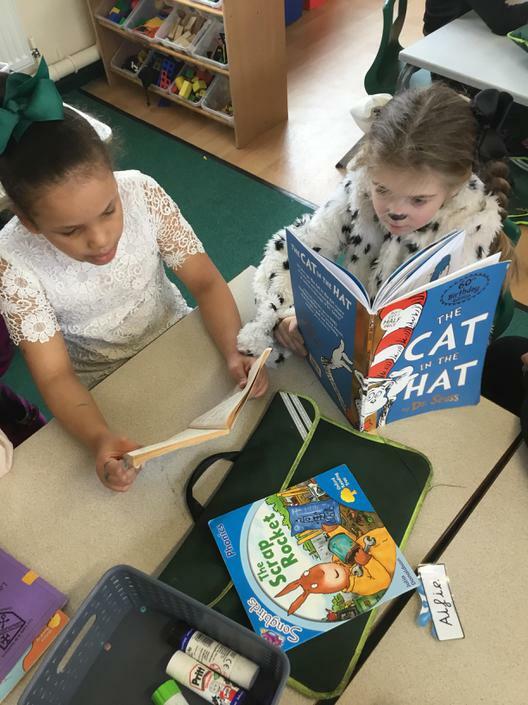 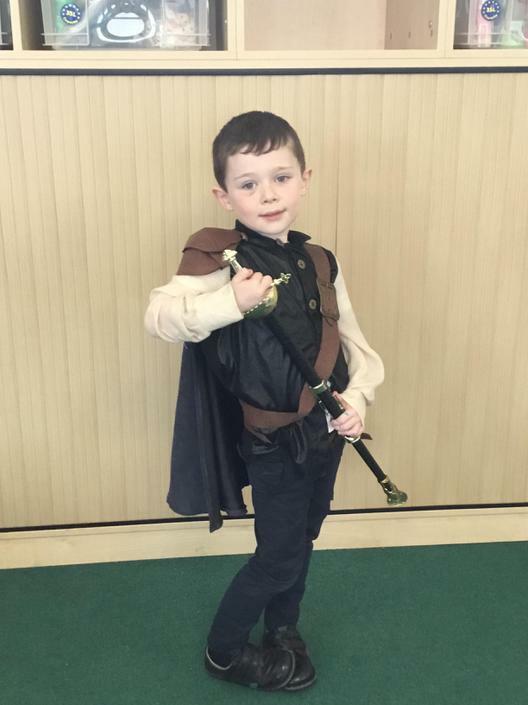 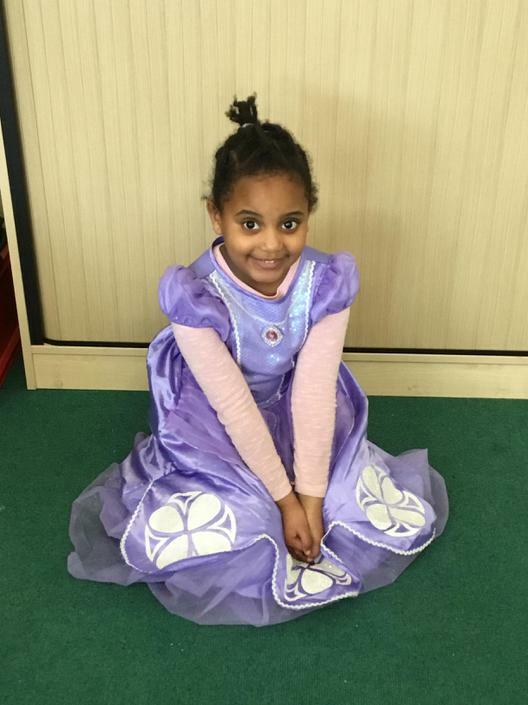 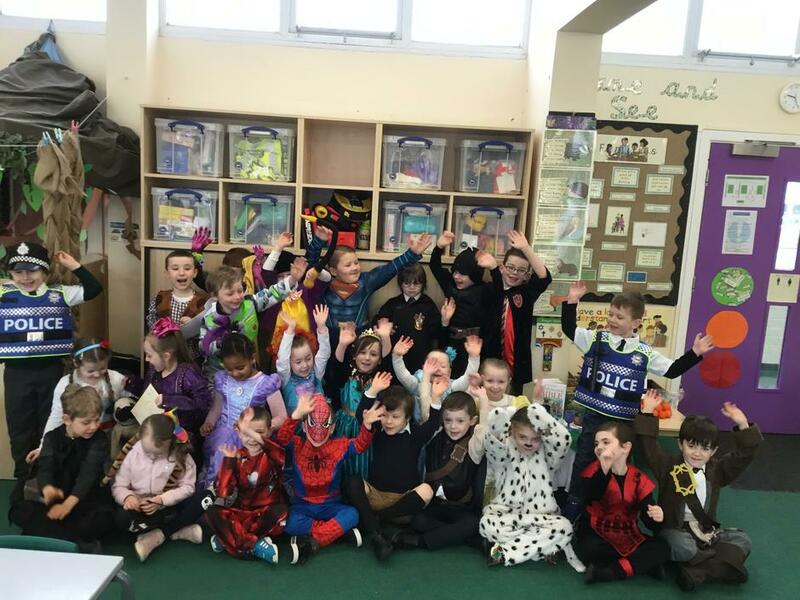 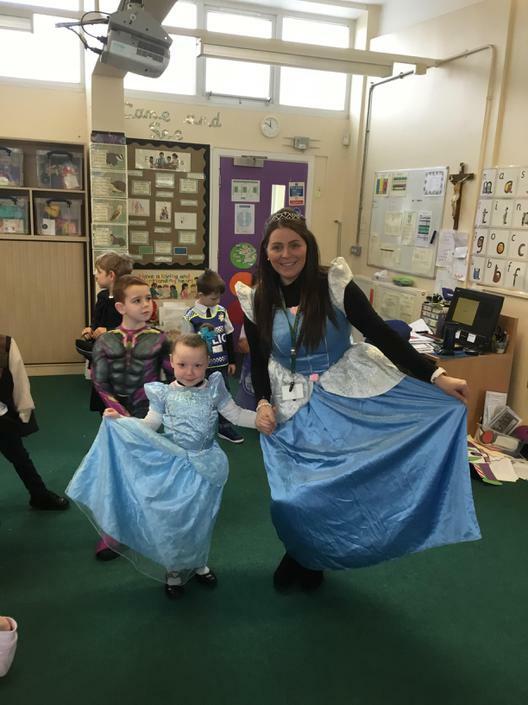 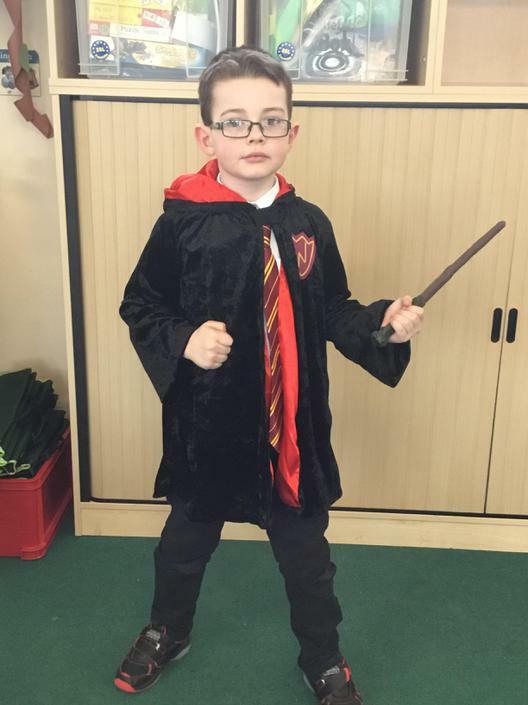 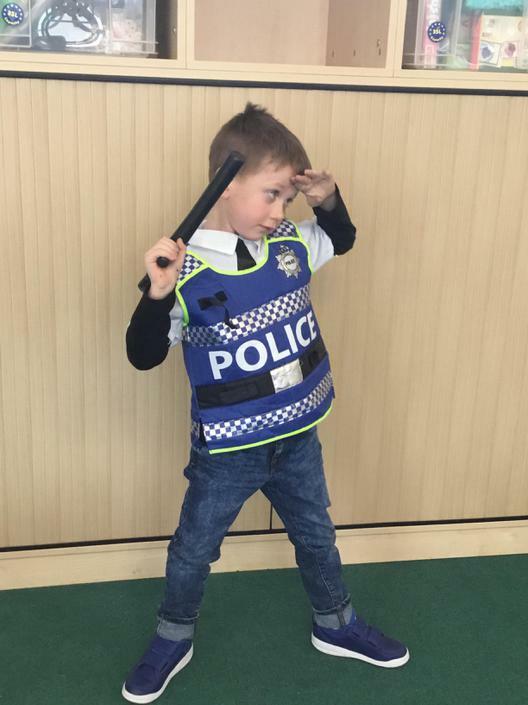 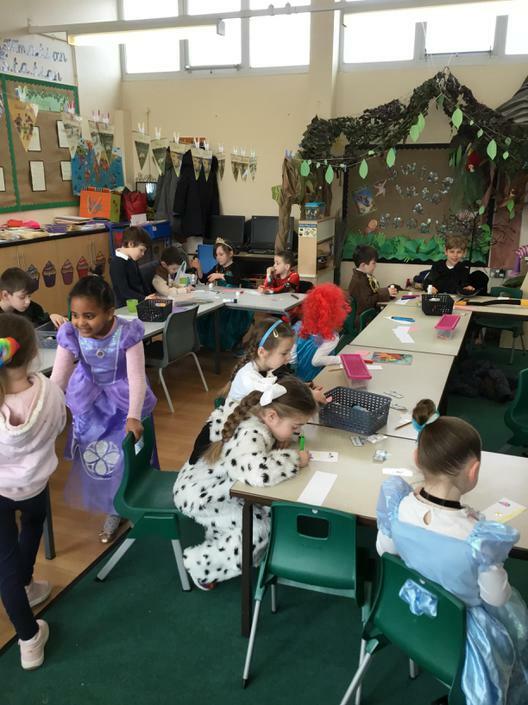 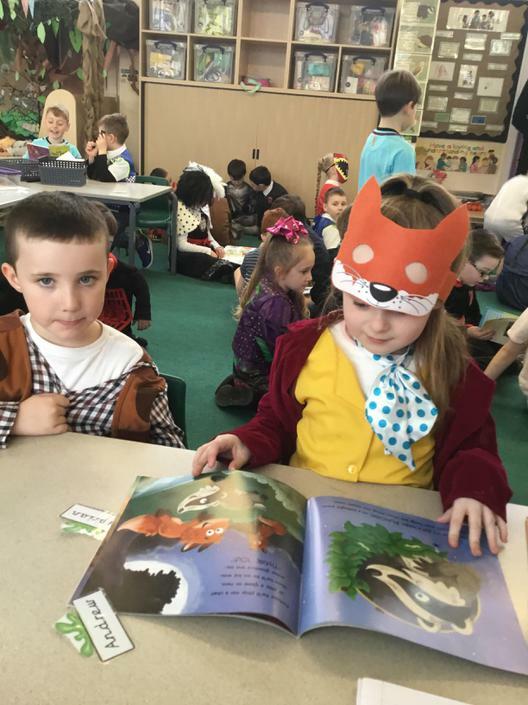 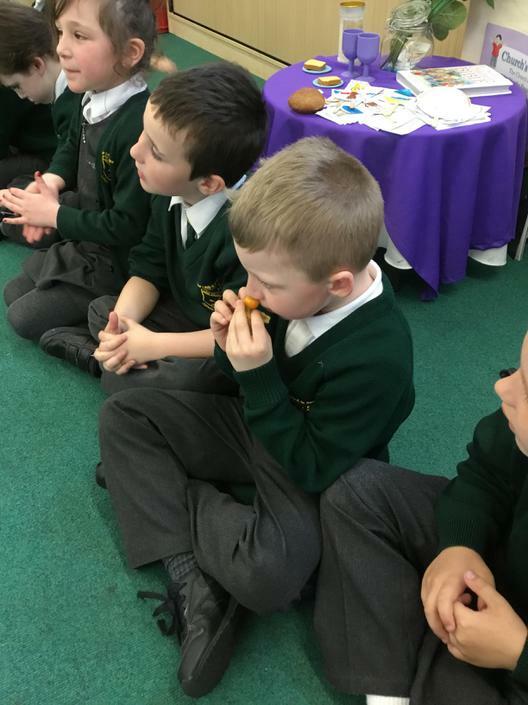 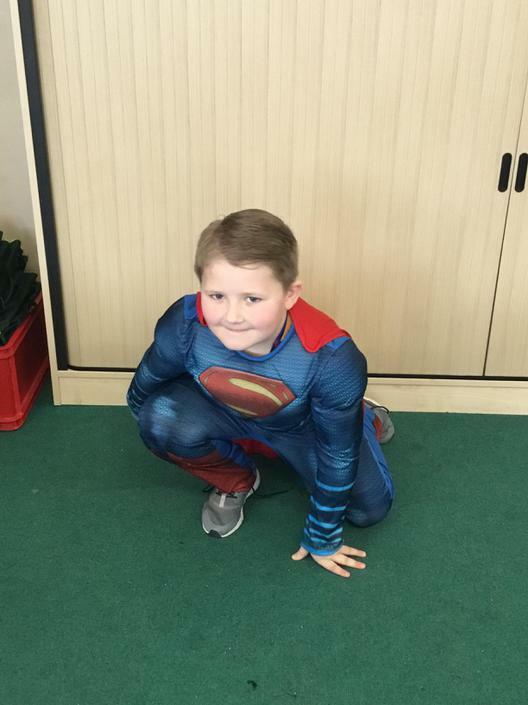 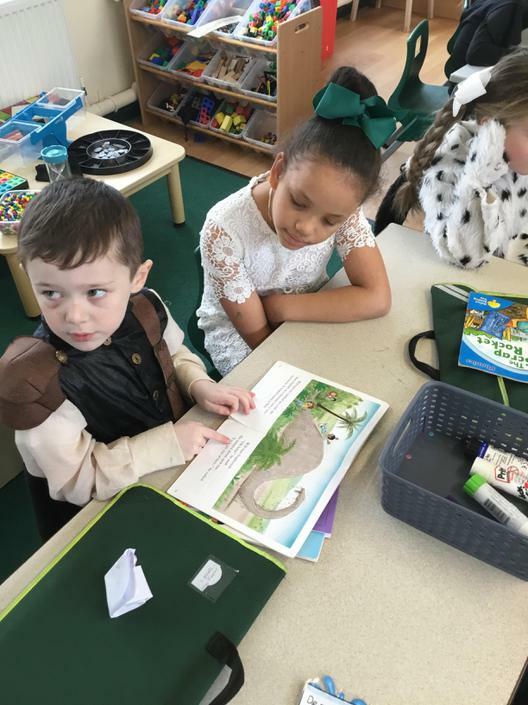 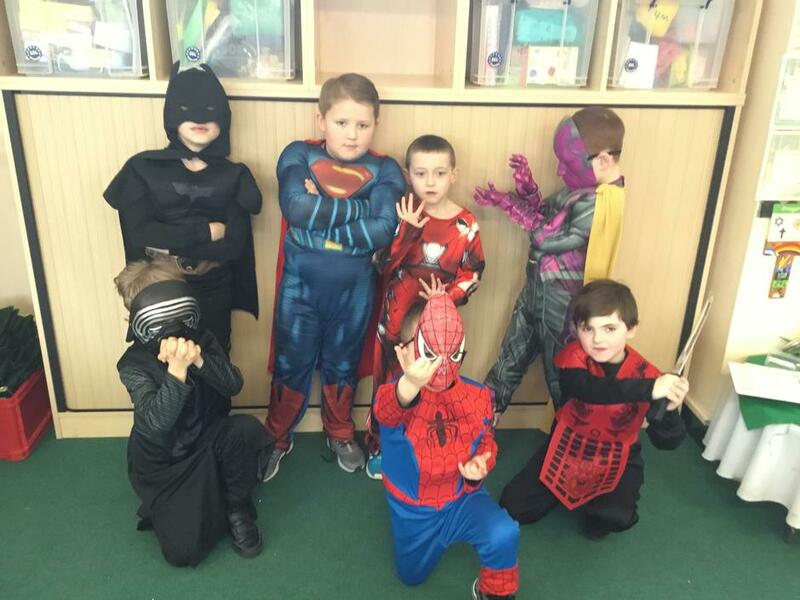 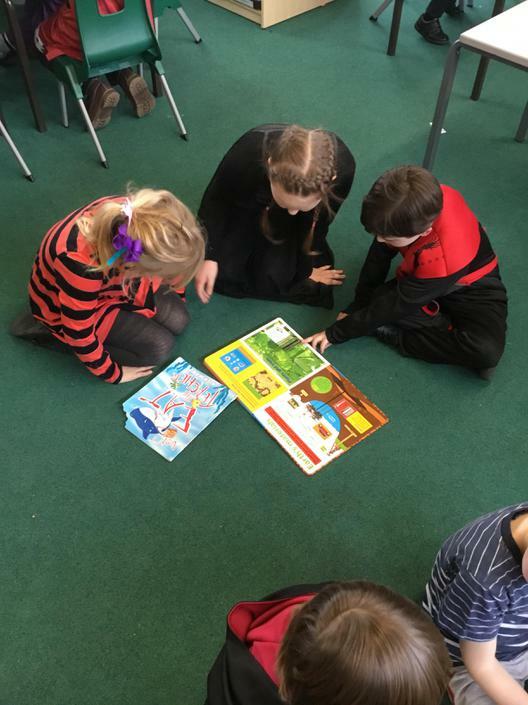 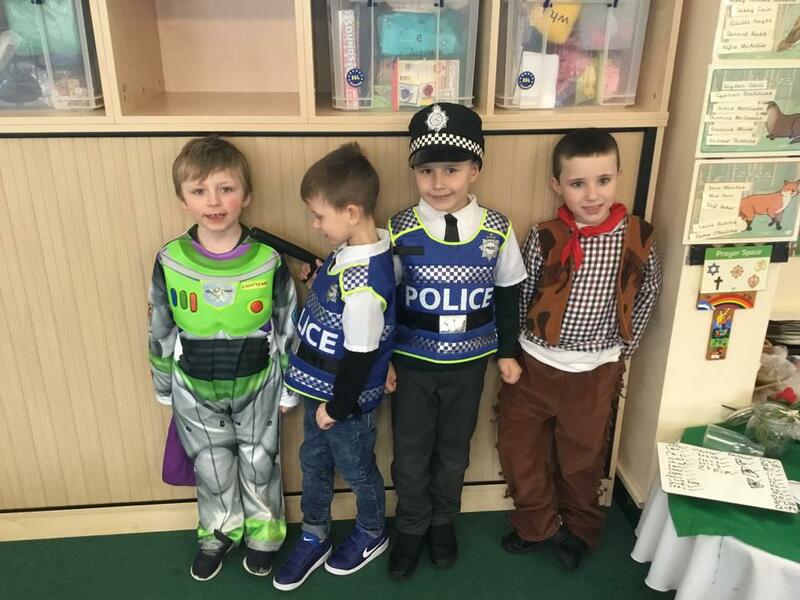 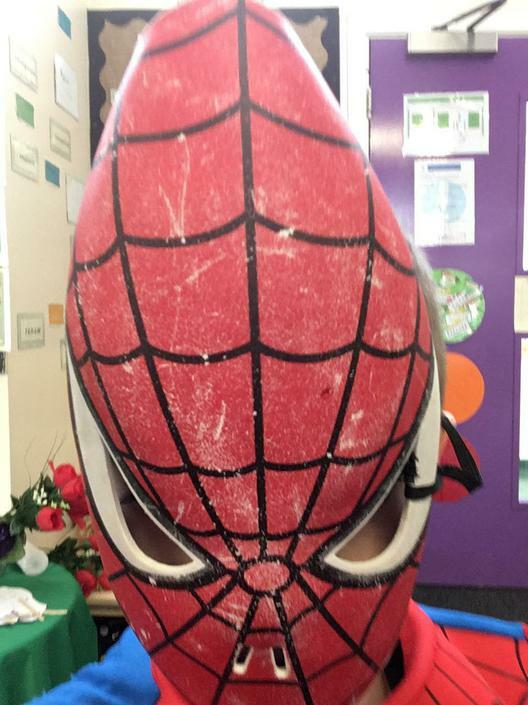 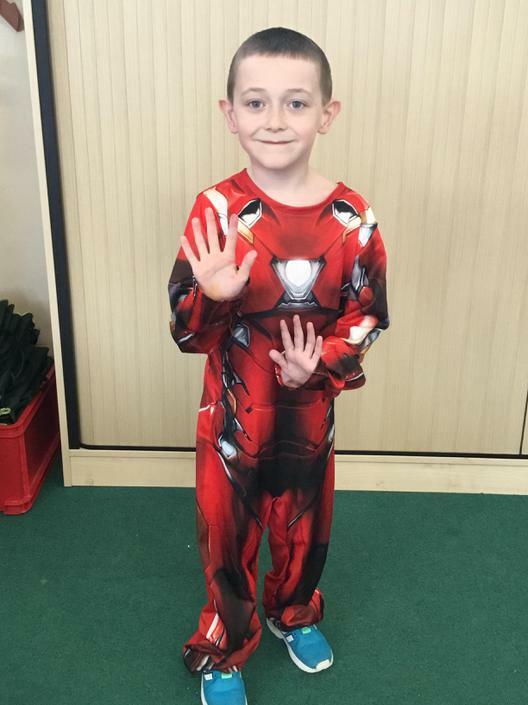 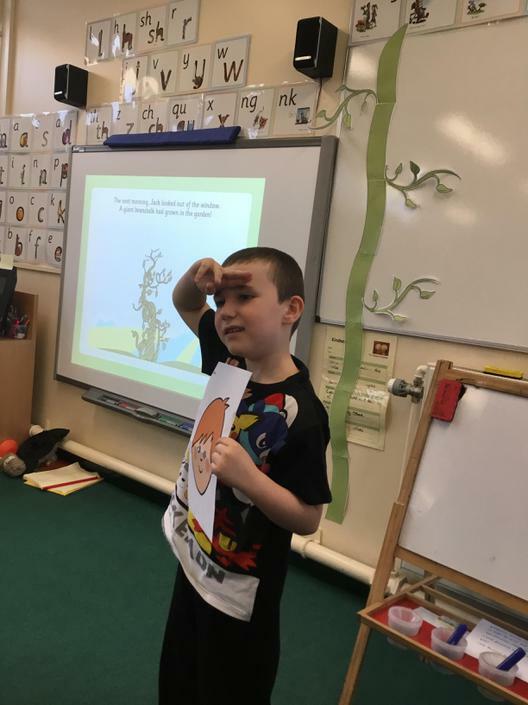 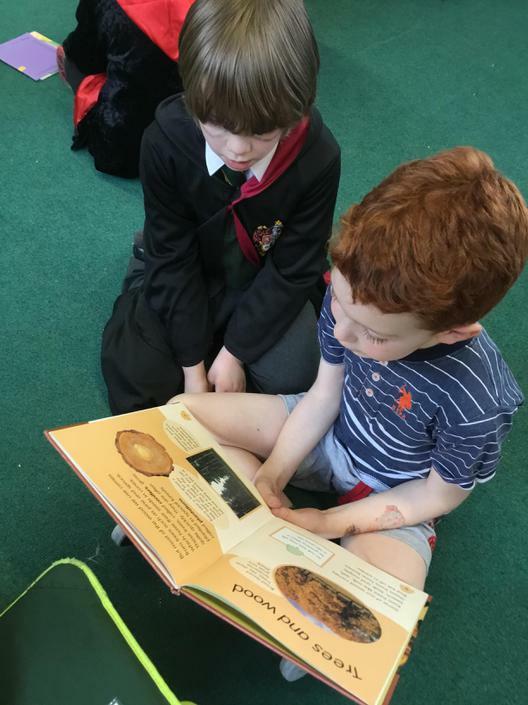 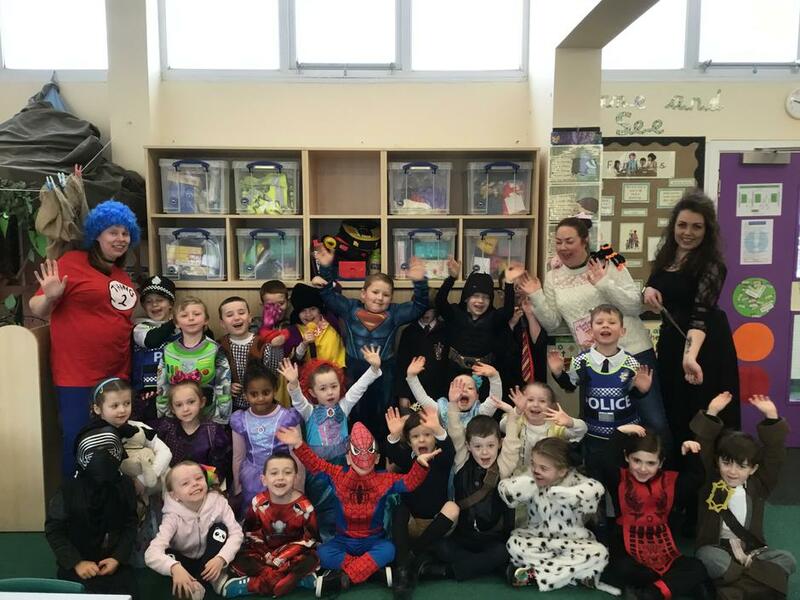 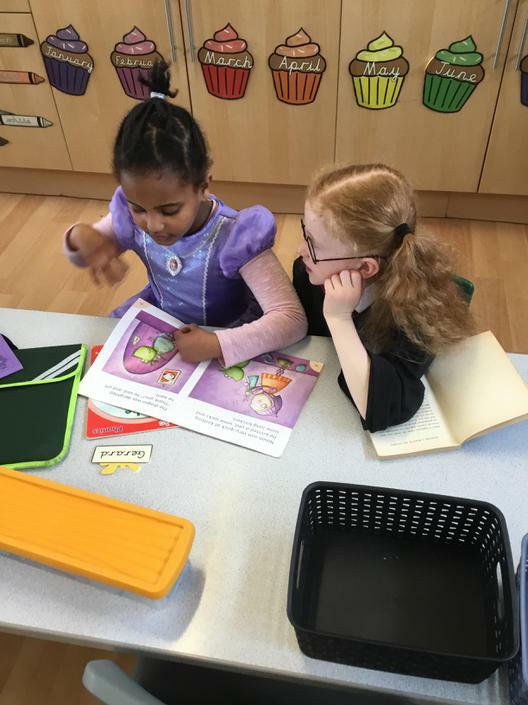 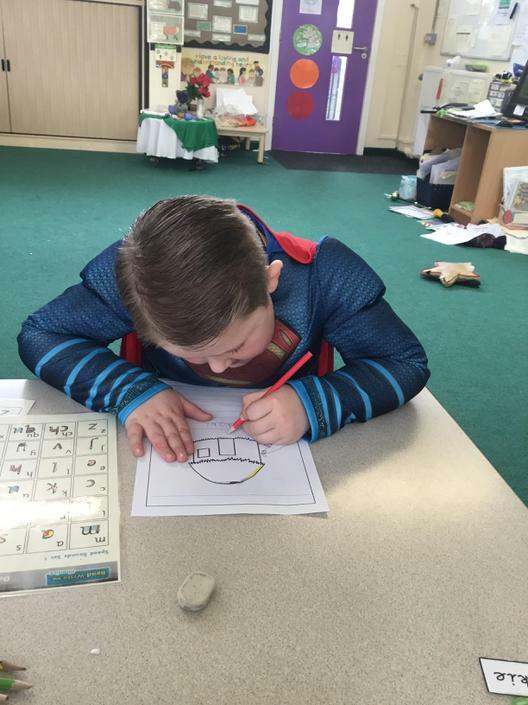 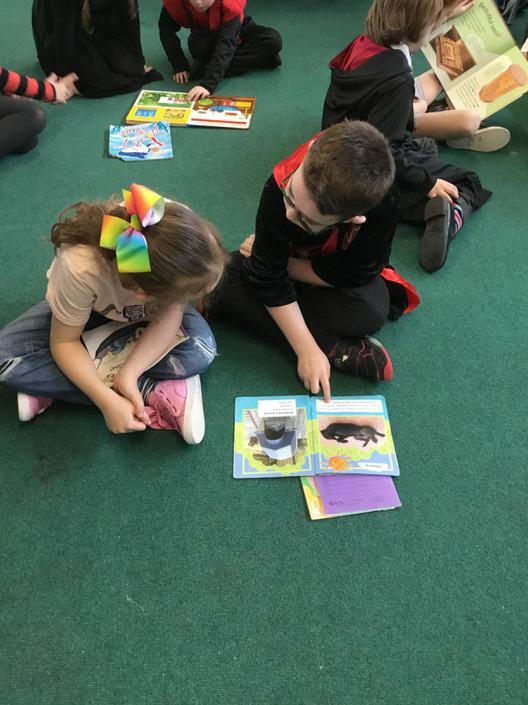 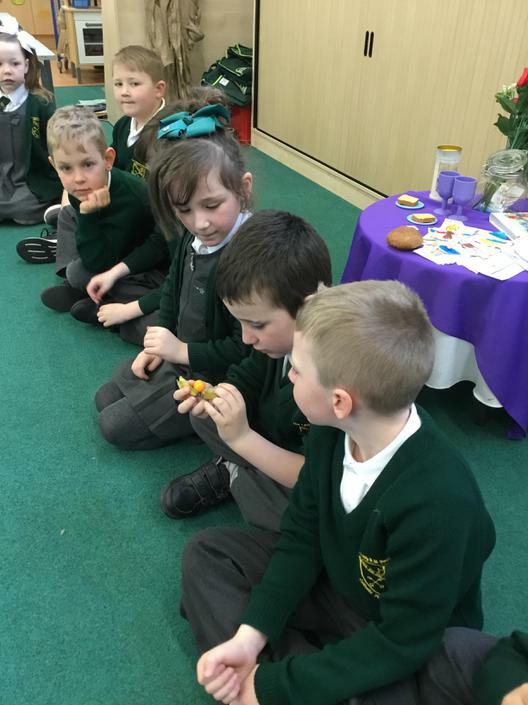 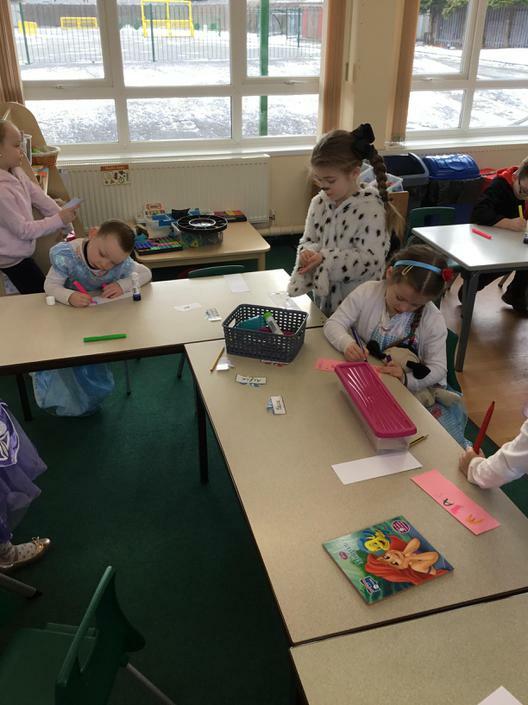 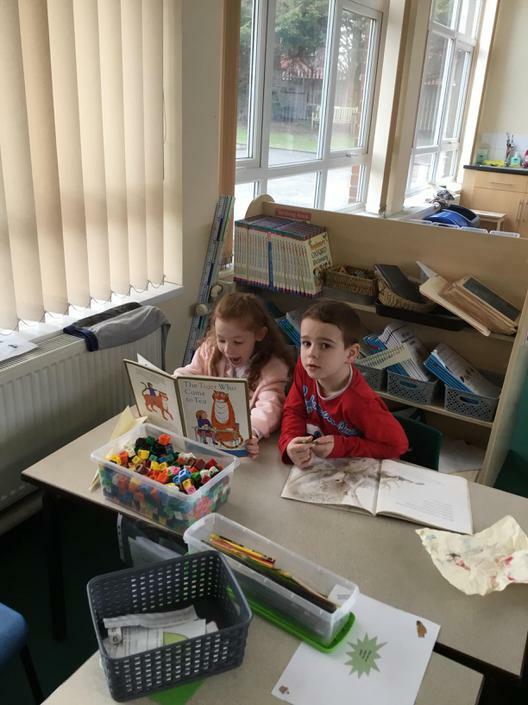 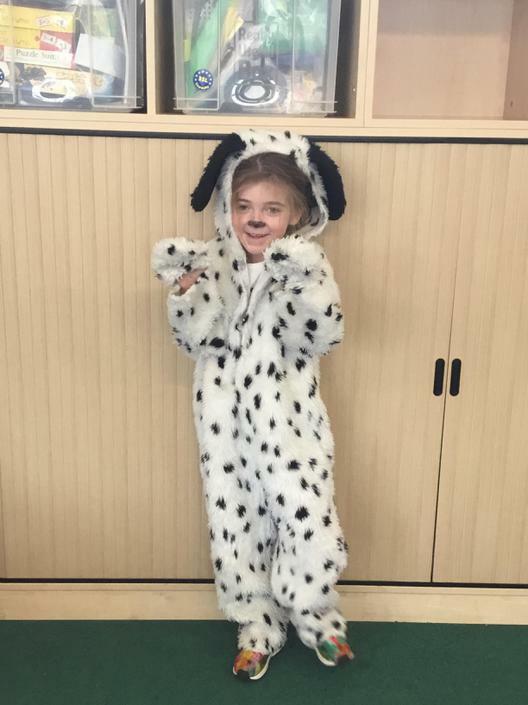 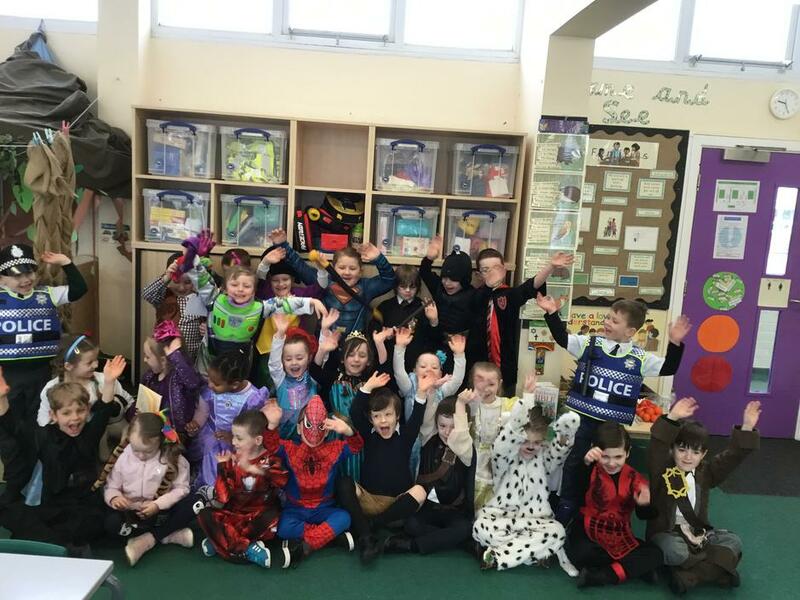 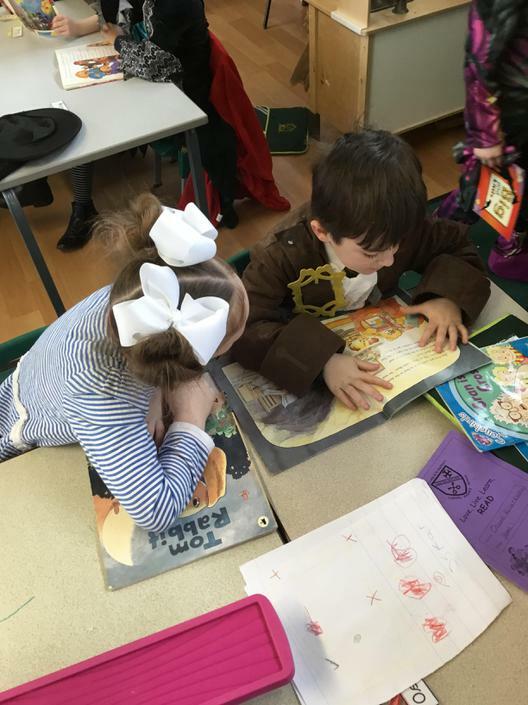 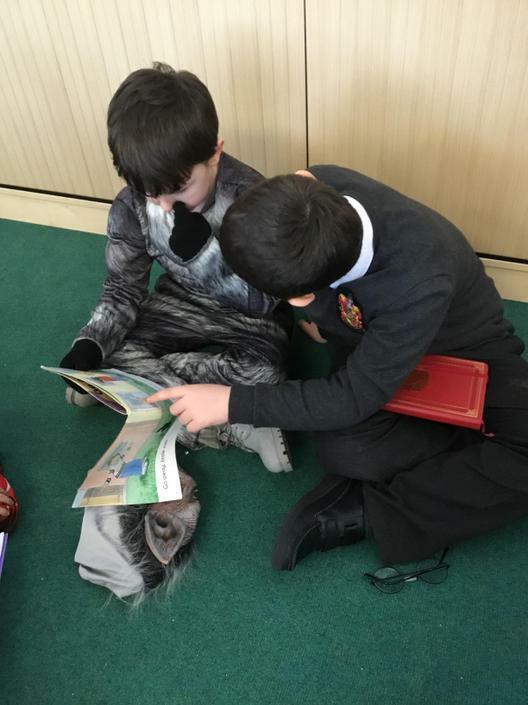 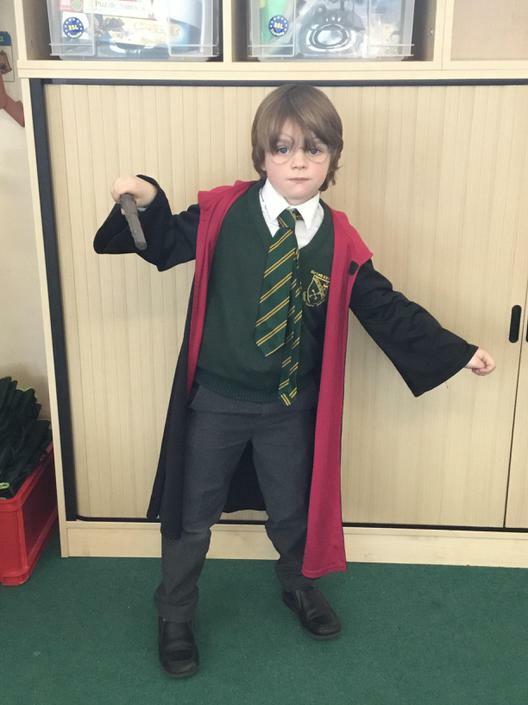 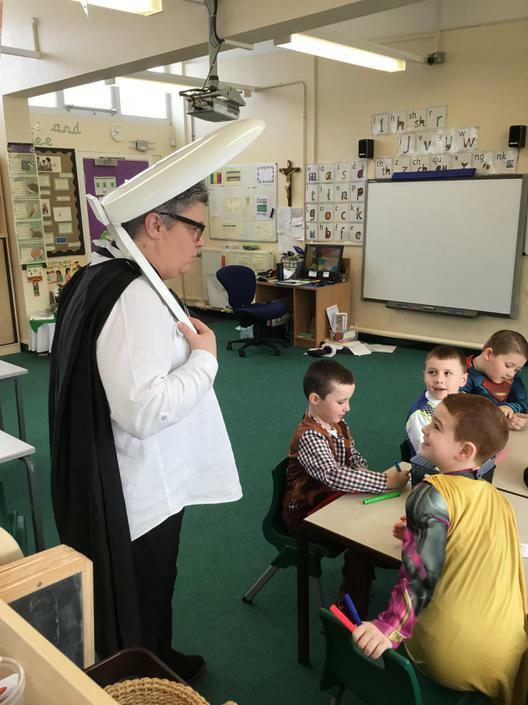 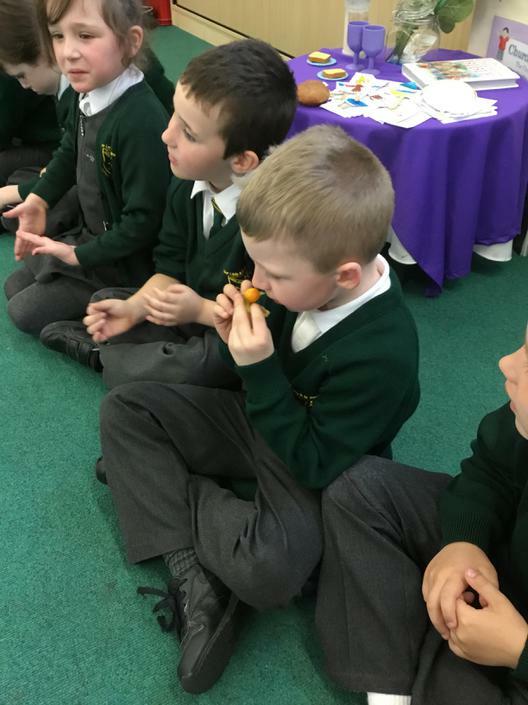 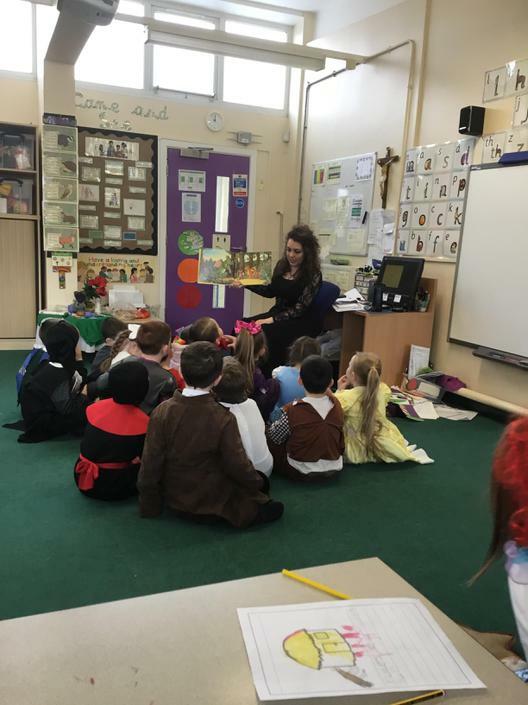 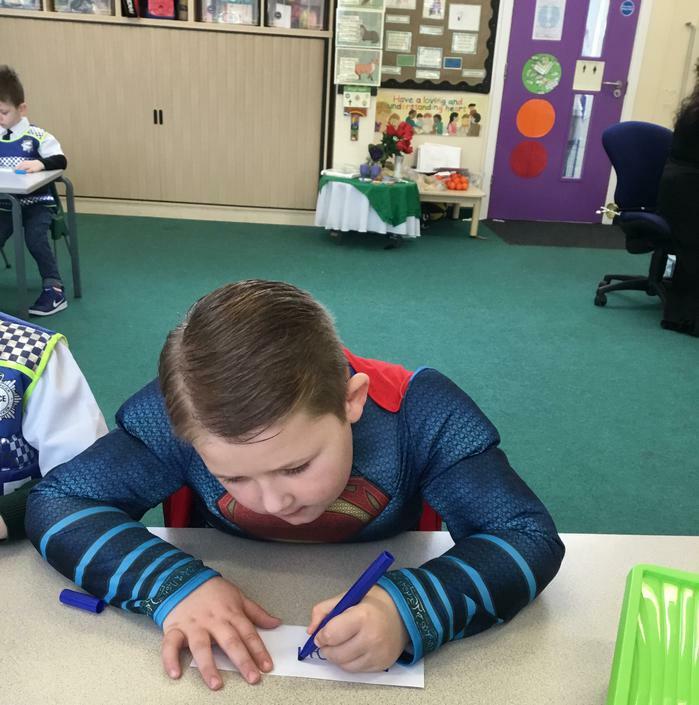 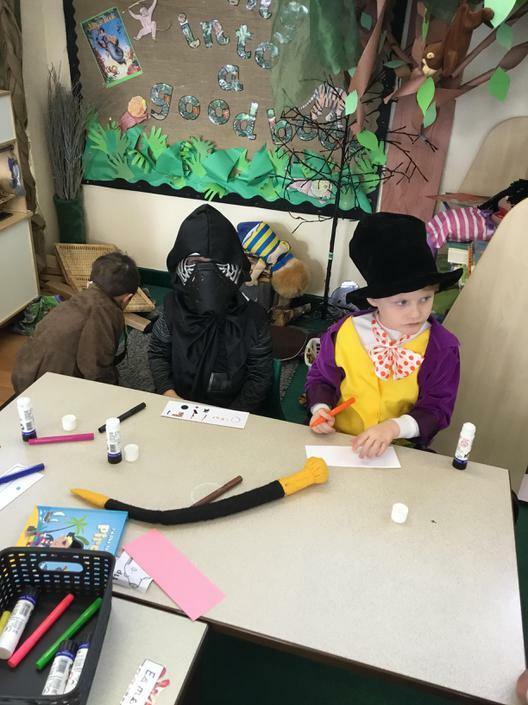 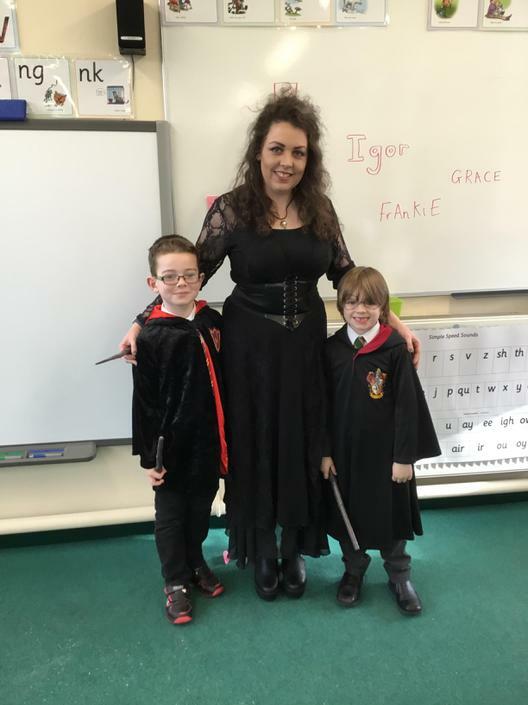 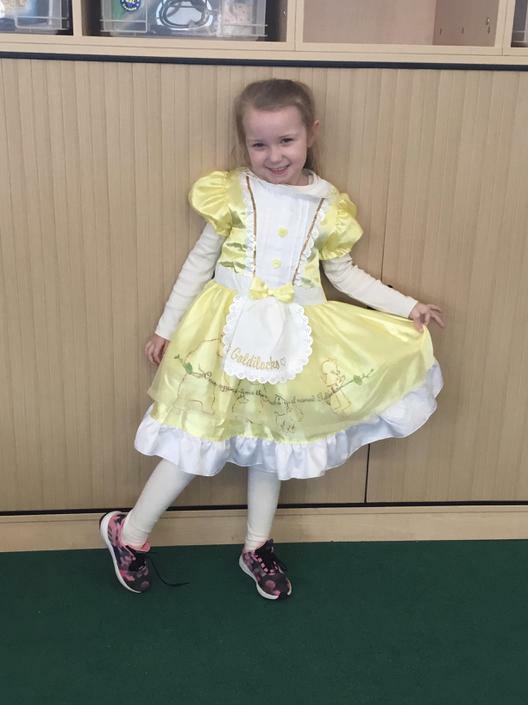 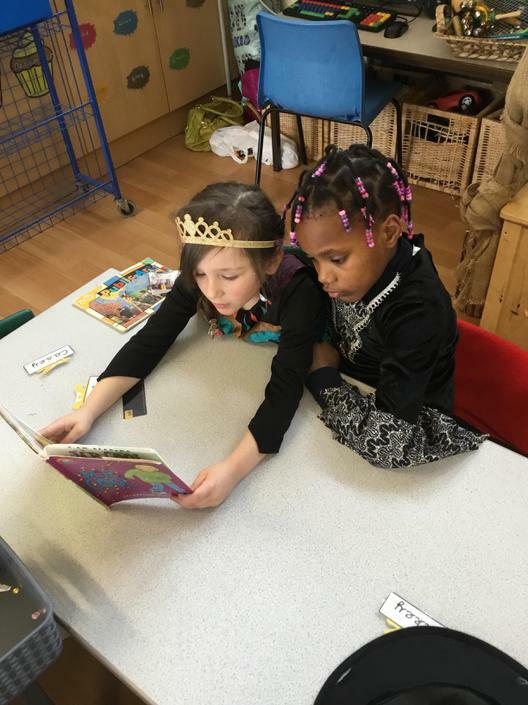 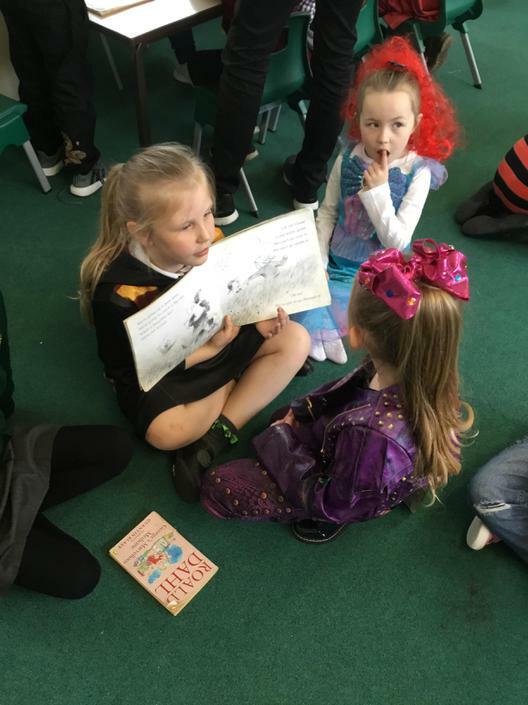 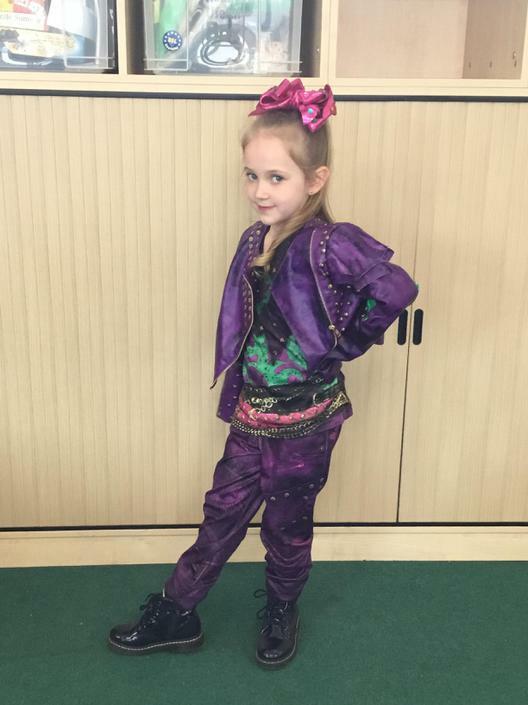 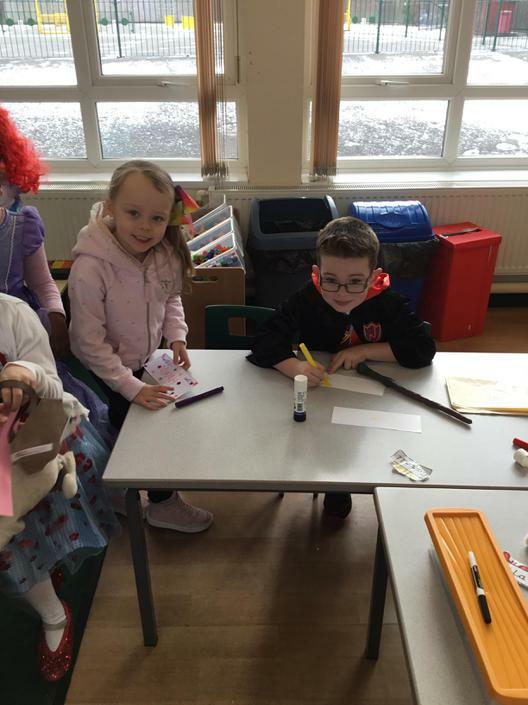 We celebrated World Book Day! 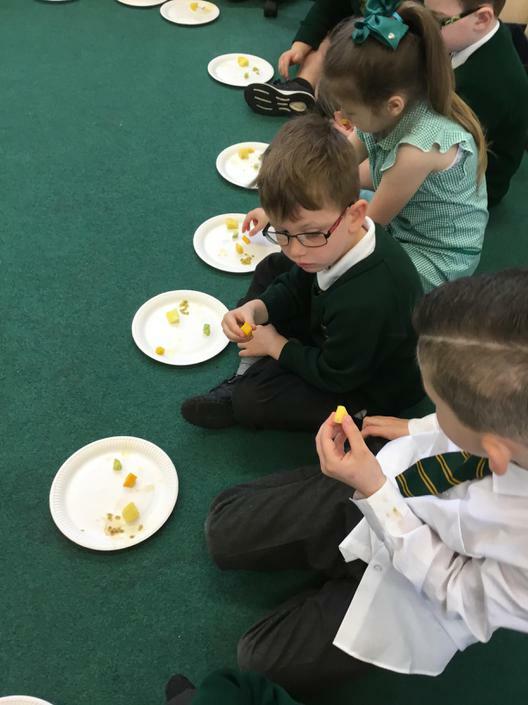 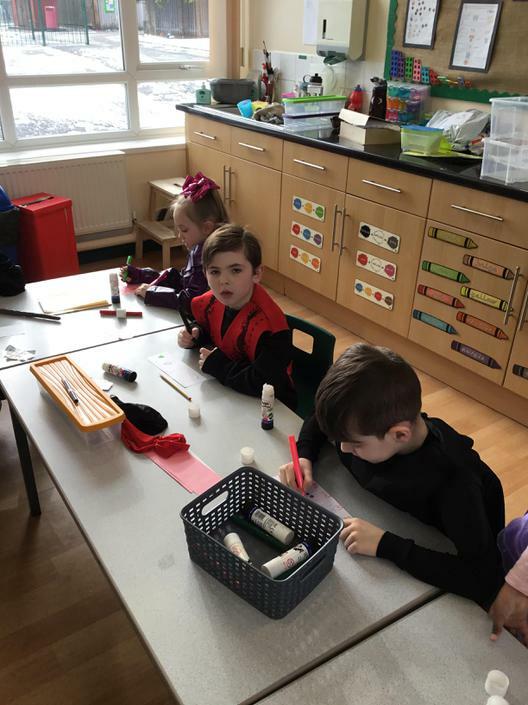 We enjoyed lots of interesting activities. 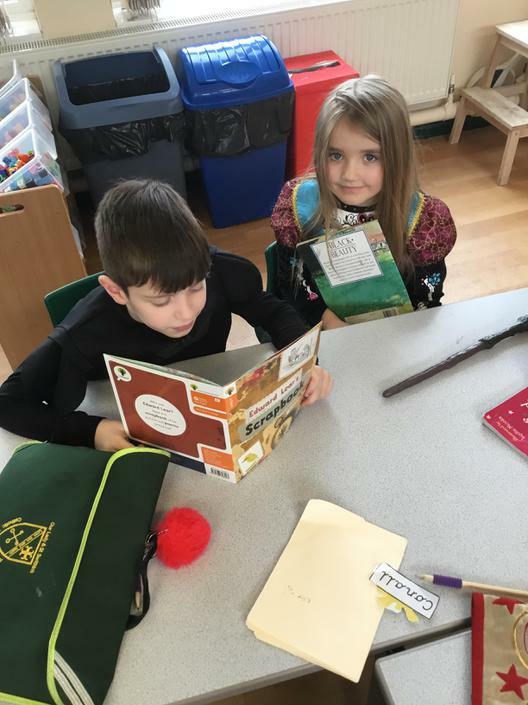 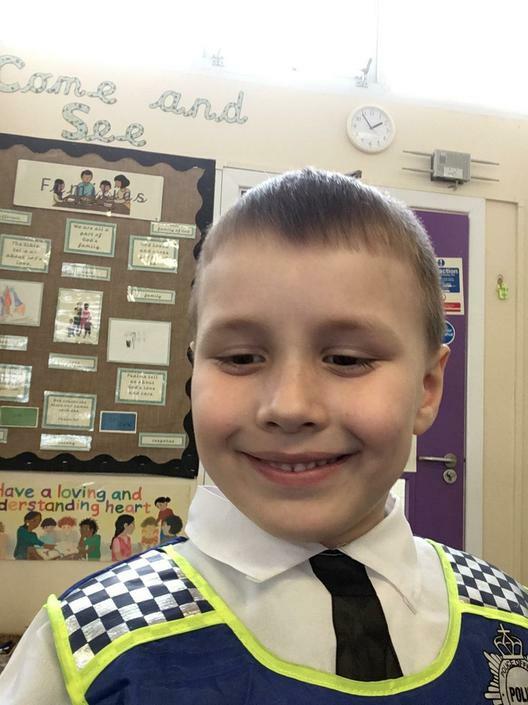 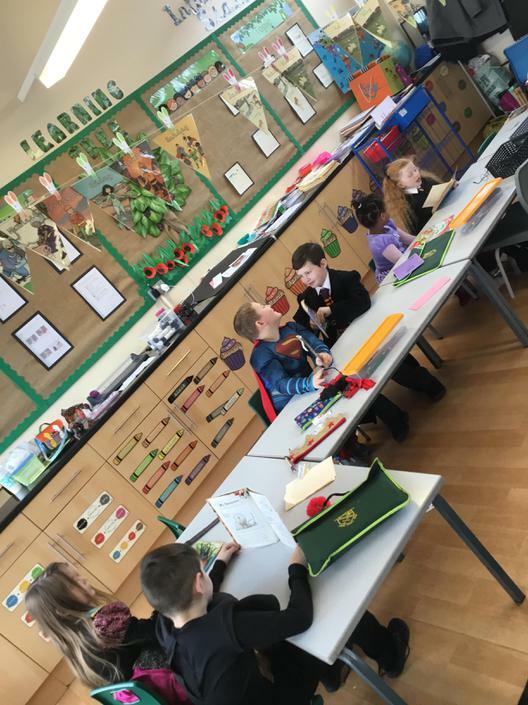 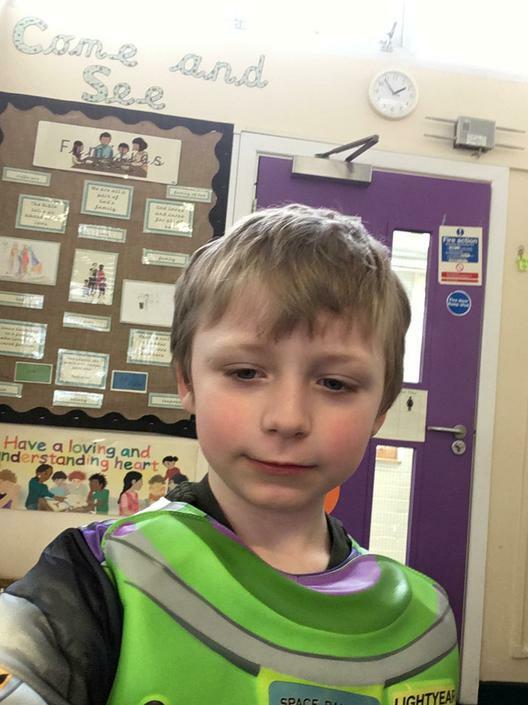 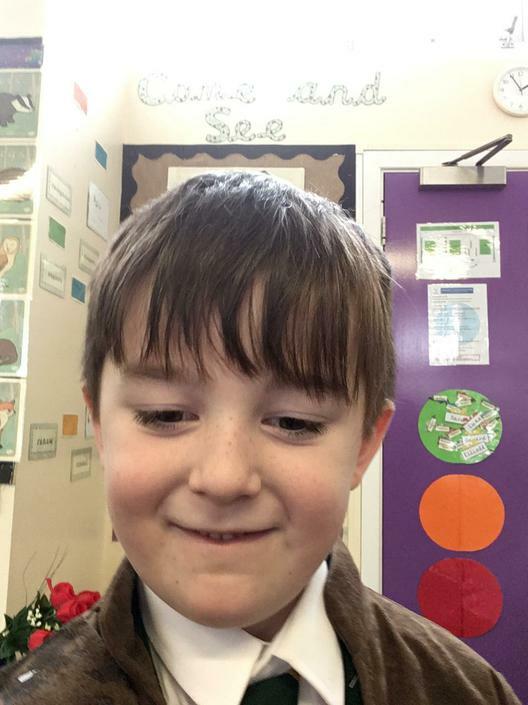 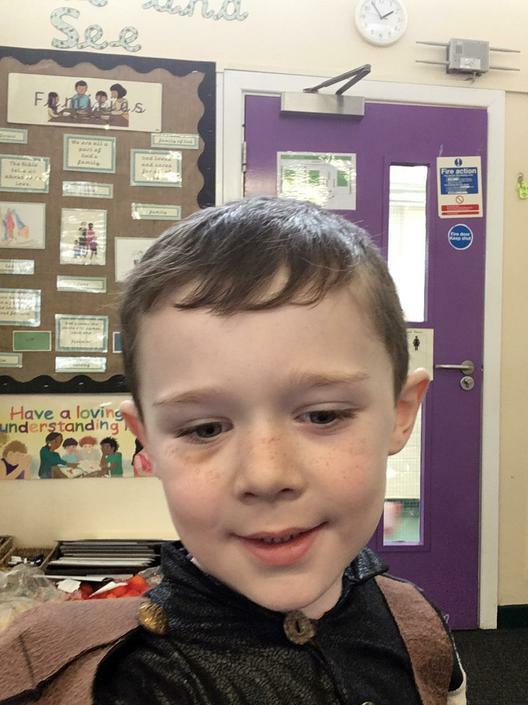 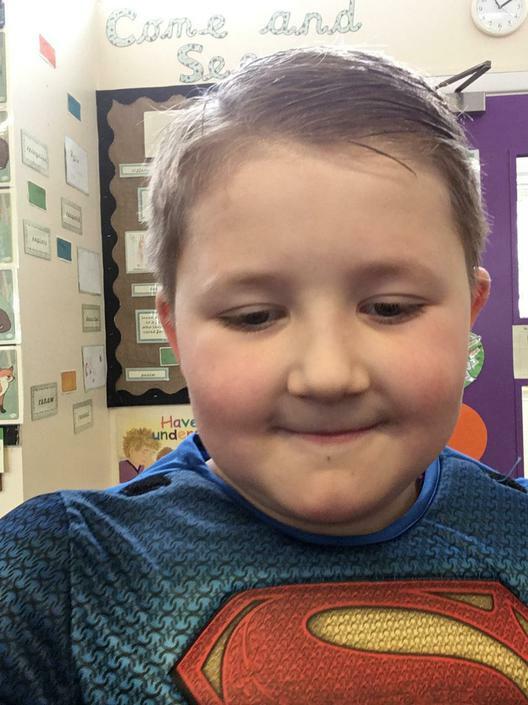 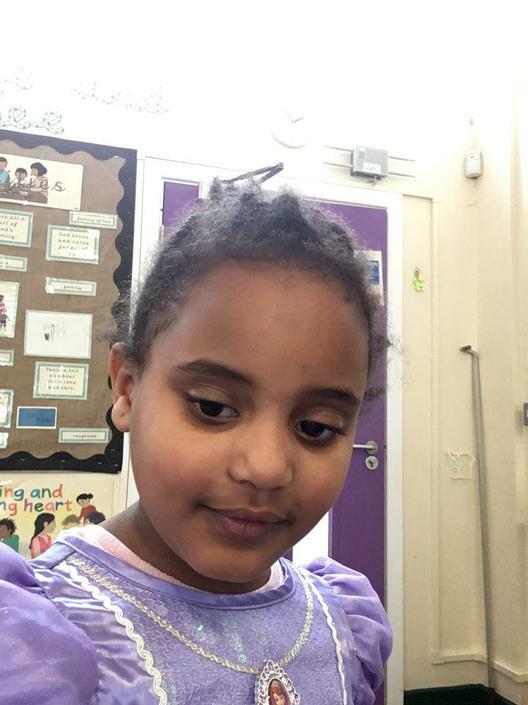 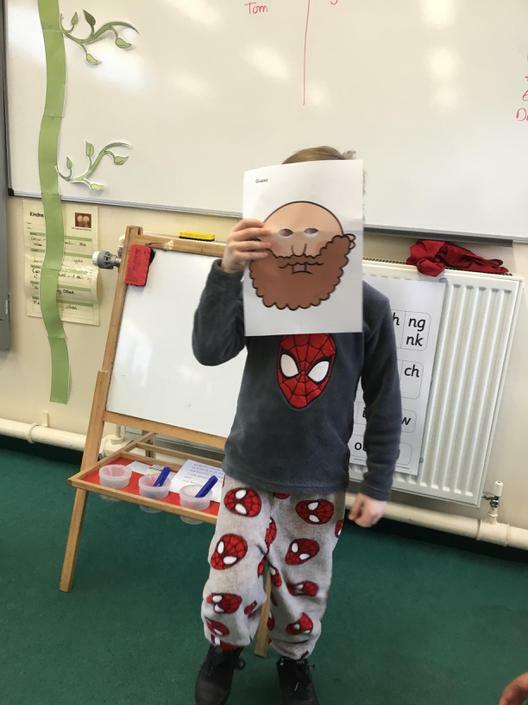 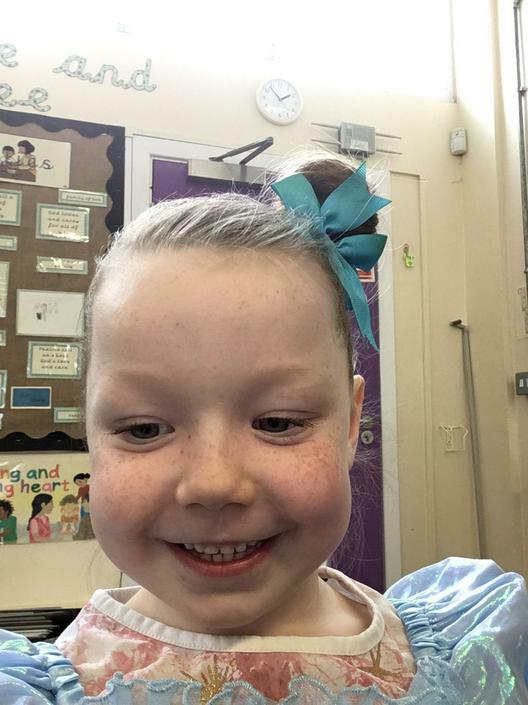 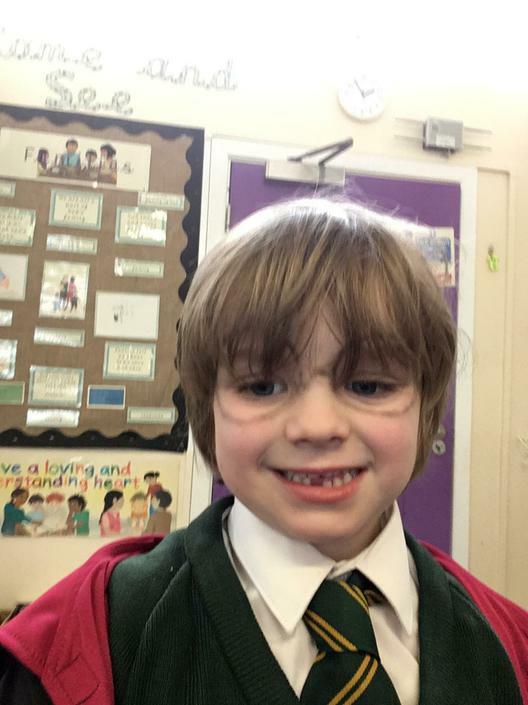 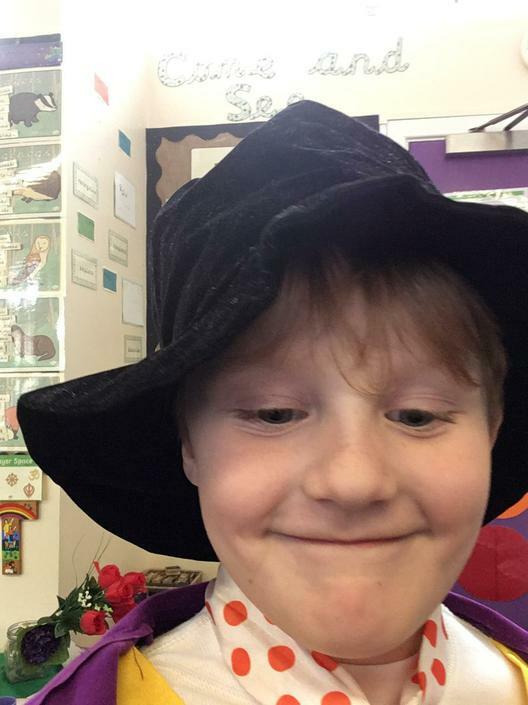 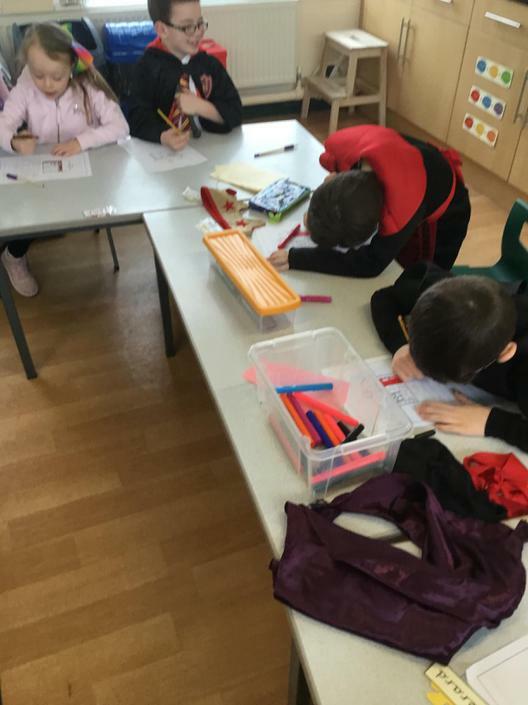 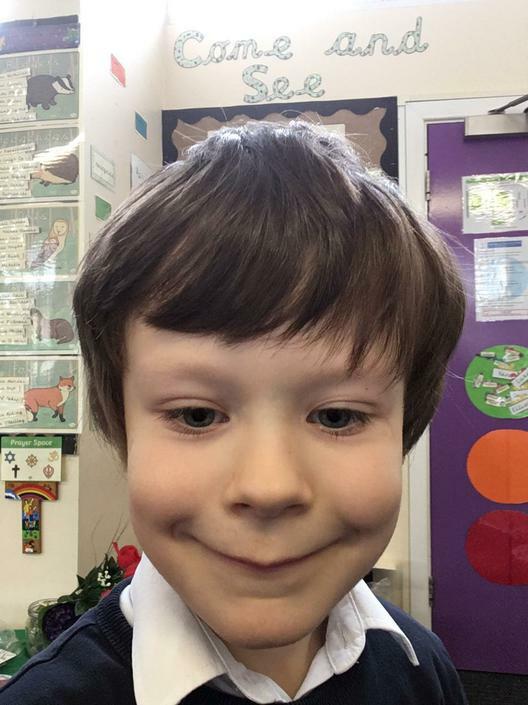 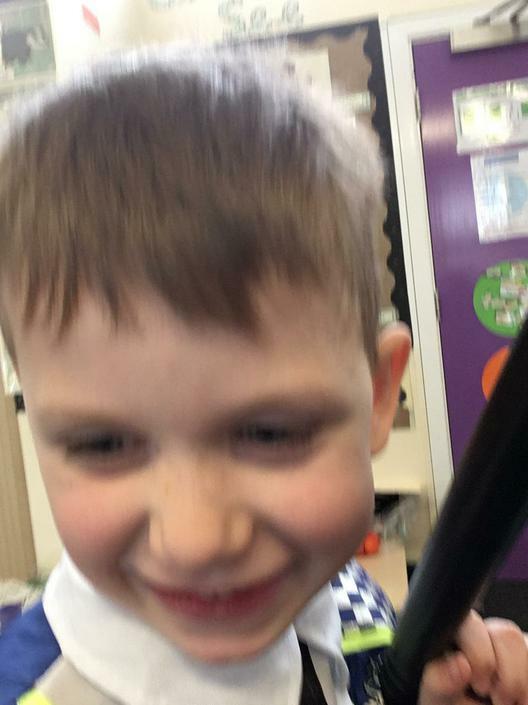 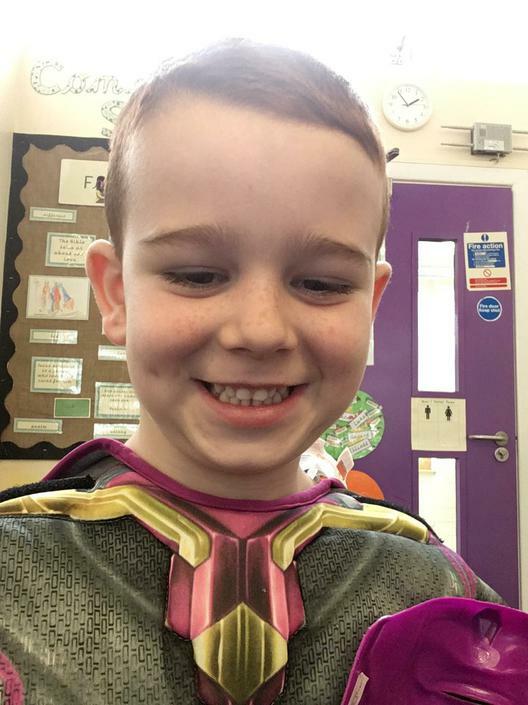 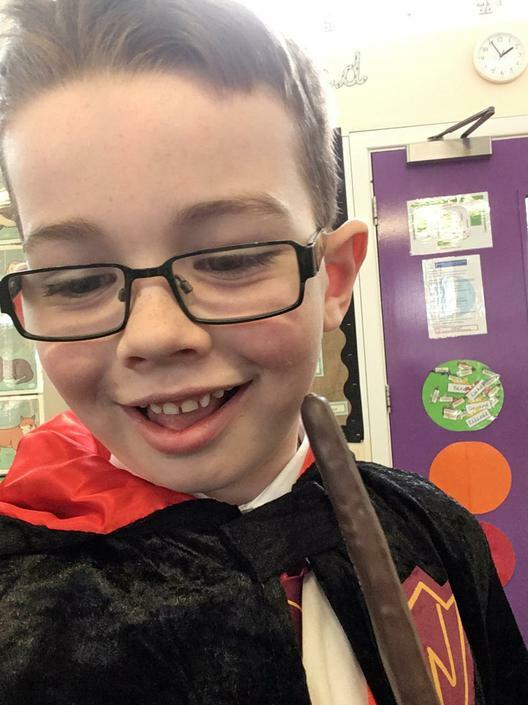 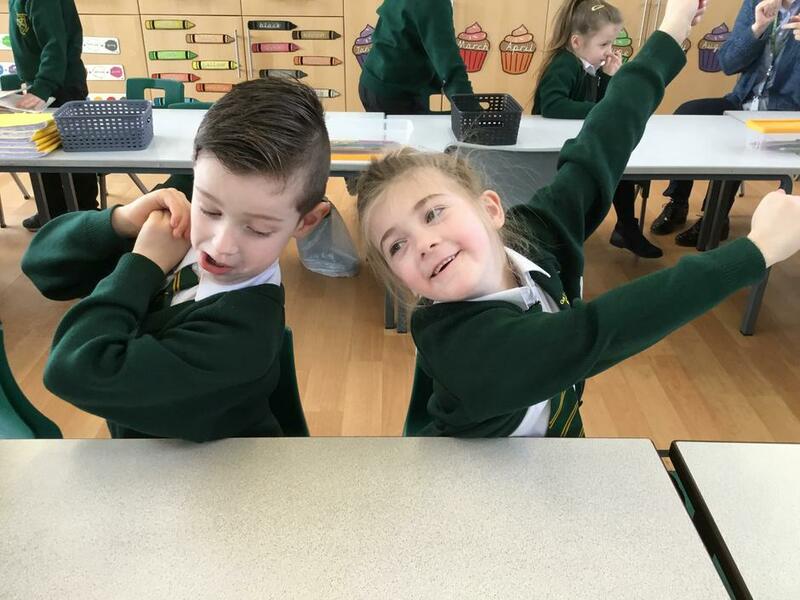 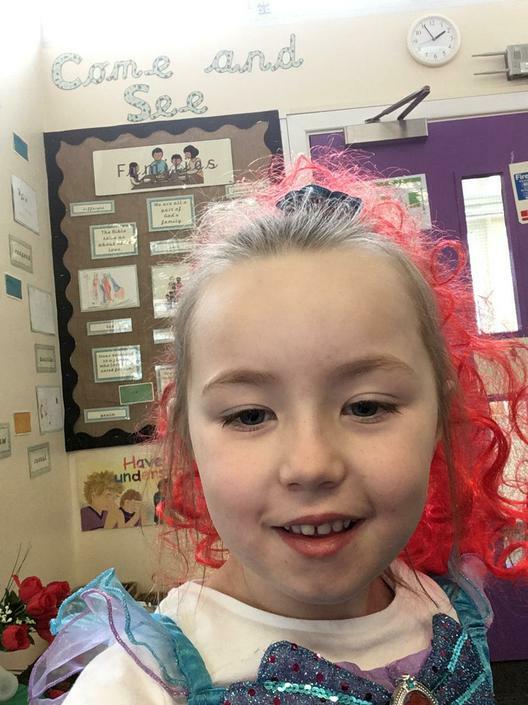 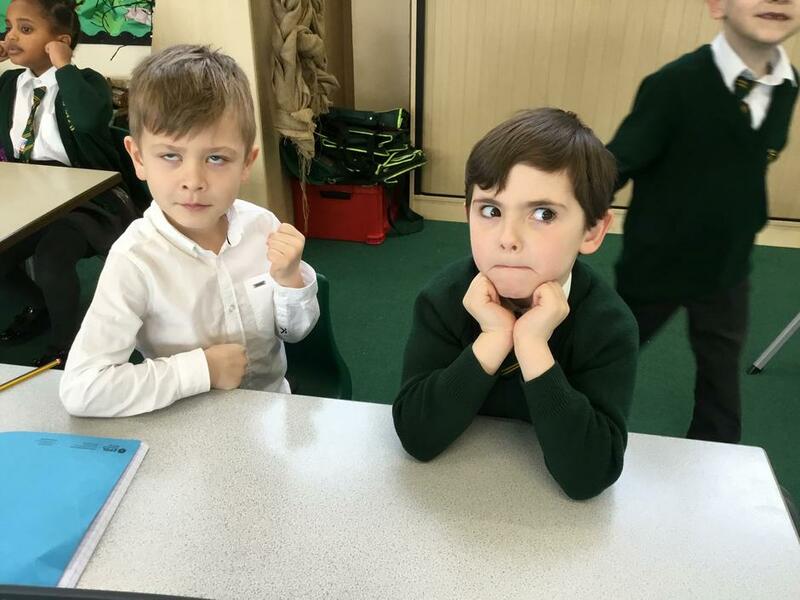 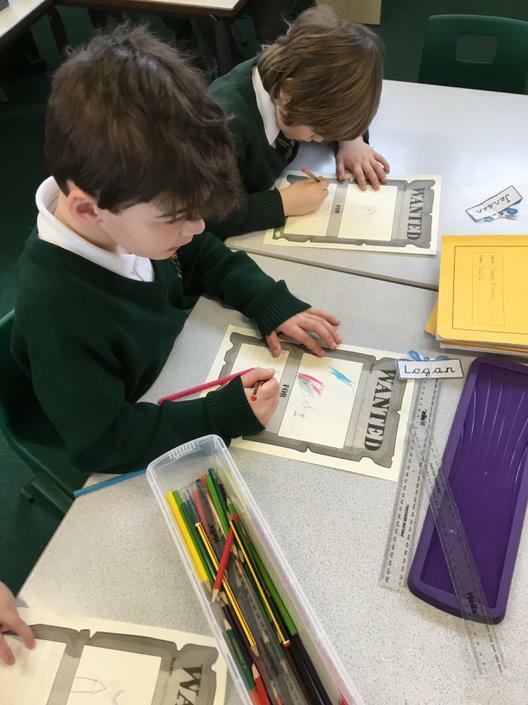 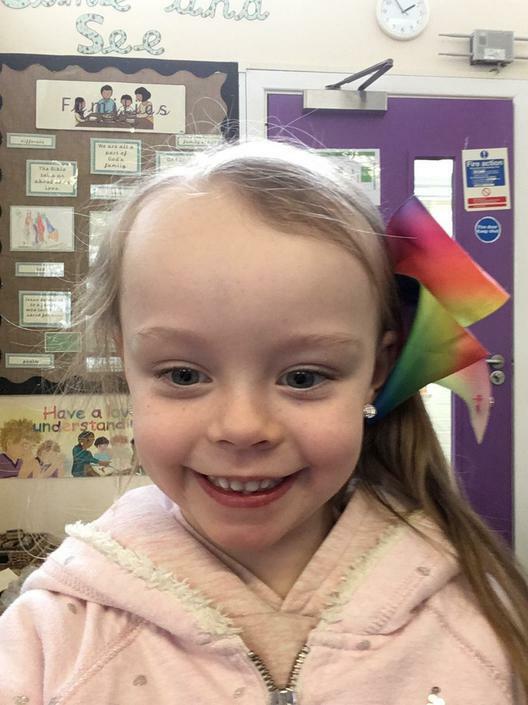 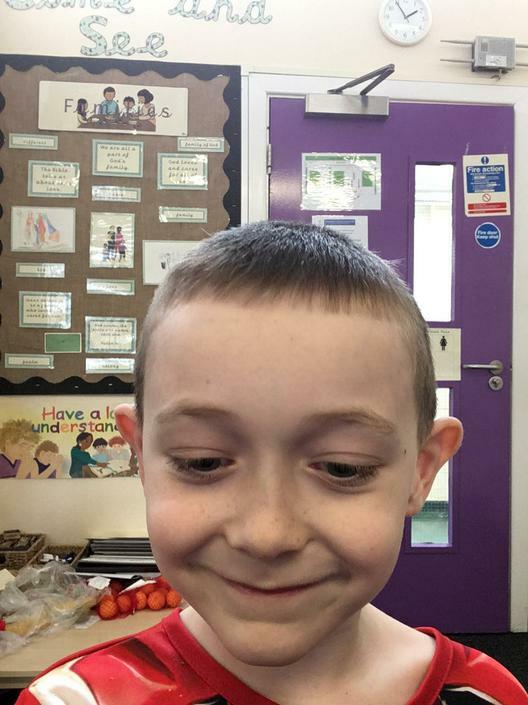 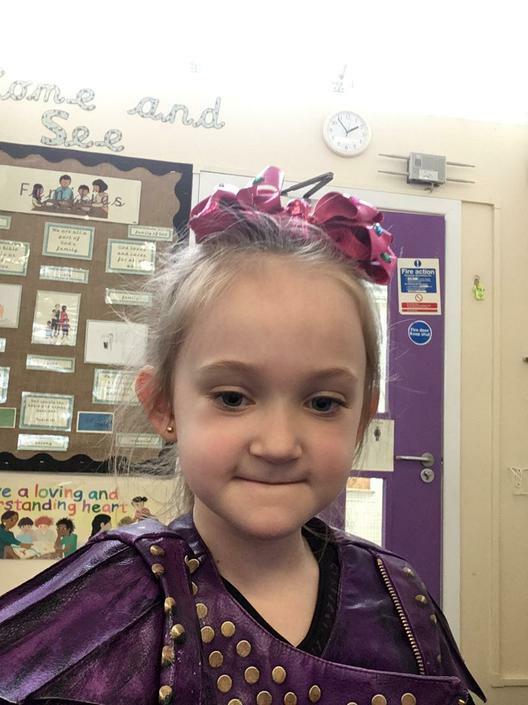 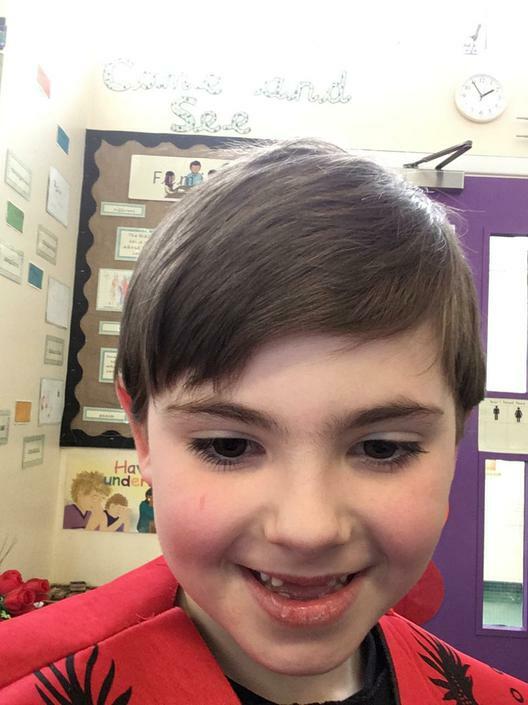 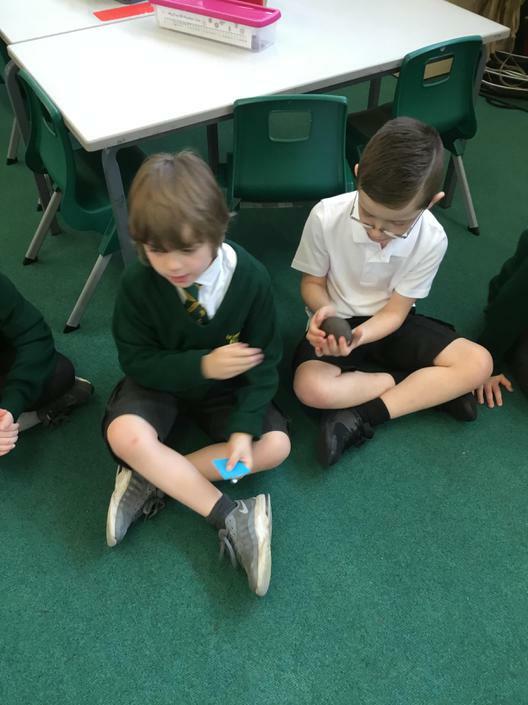 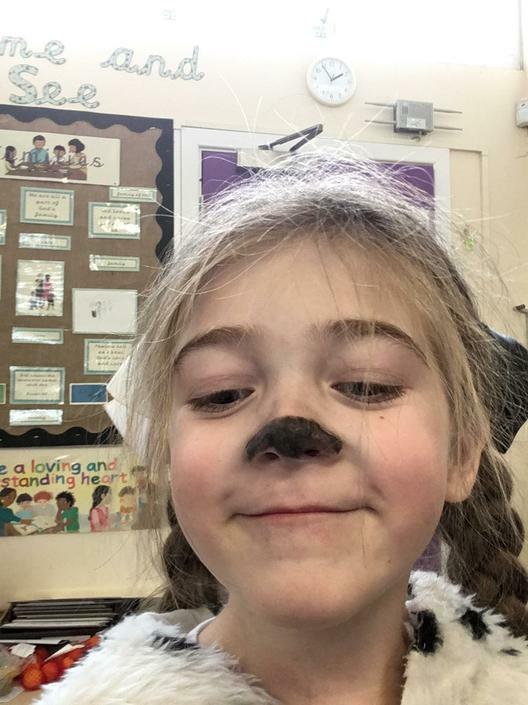 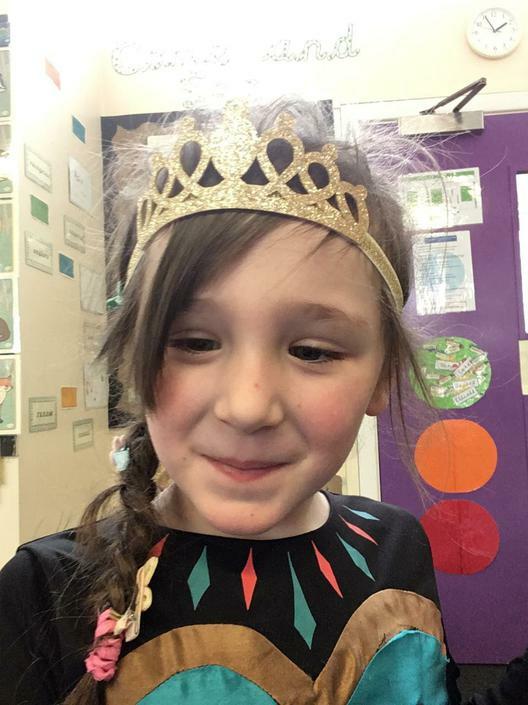 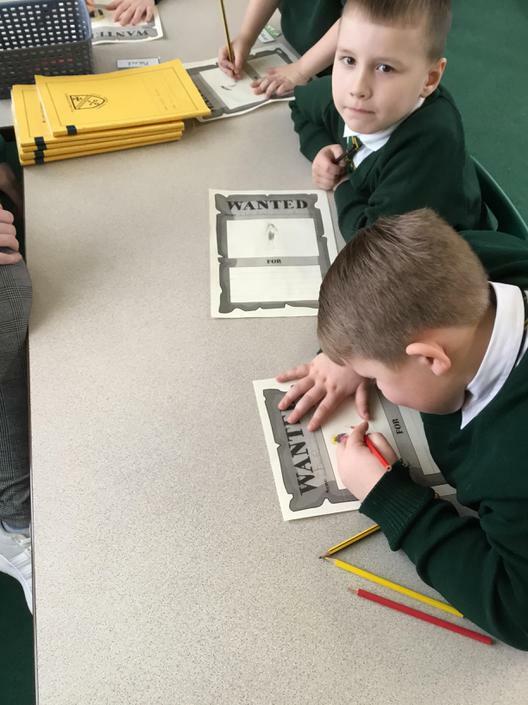 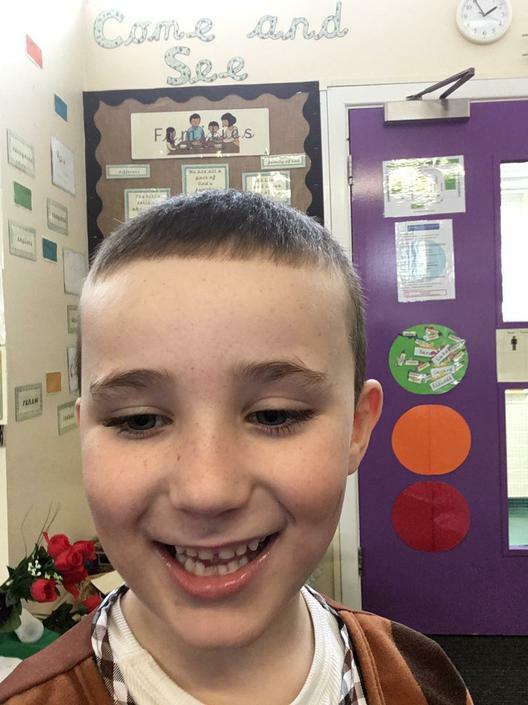 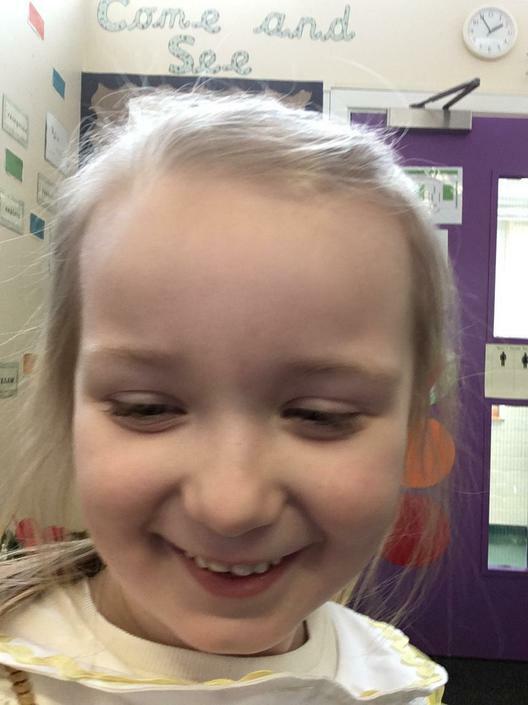 We made our own bookmarks for when we read our books at home, wrote about our favourite stories, shared books with children fro Year 3 and took selfies to help us create a self portrait of our characters. 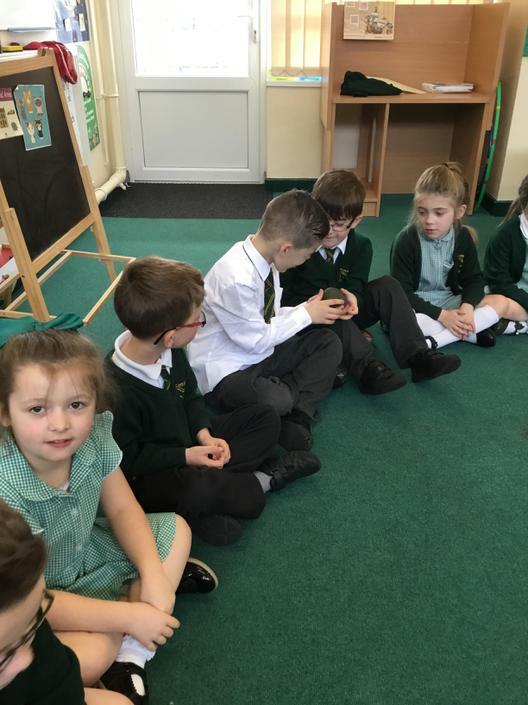 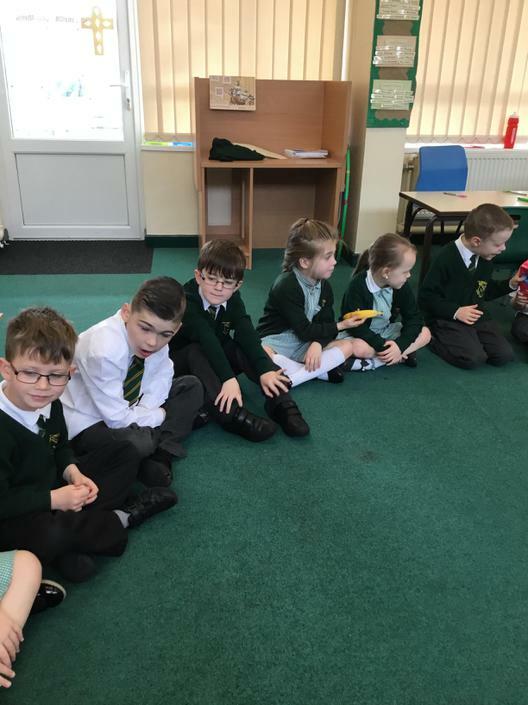 We shared the story of The Three Little Pigs and thought about the materials in the story and decided that bricks was the best choice to build a house from. 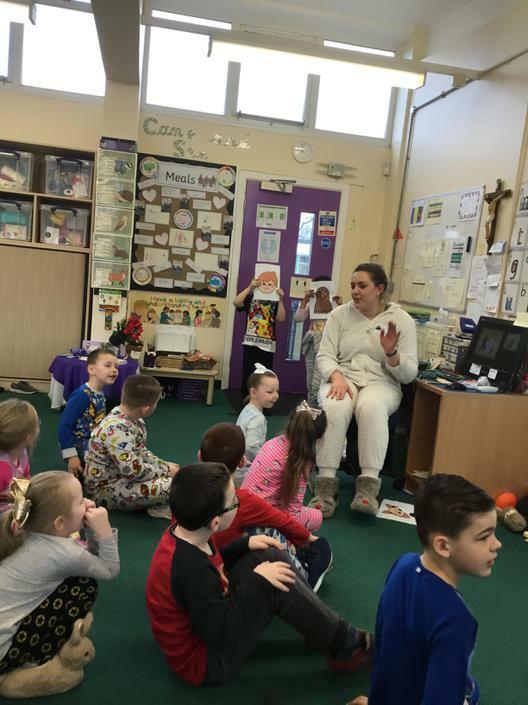 Mrs Porter read lots of stories to us throughout the day. 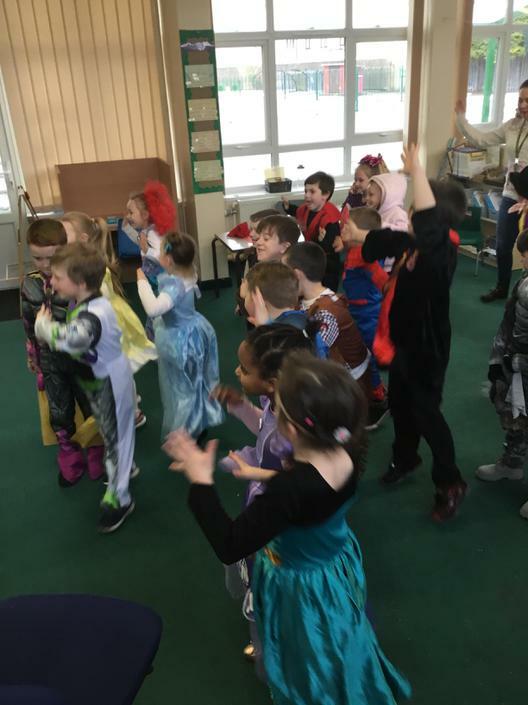 We had lots of fun!!! 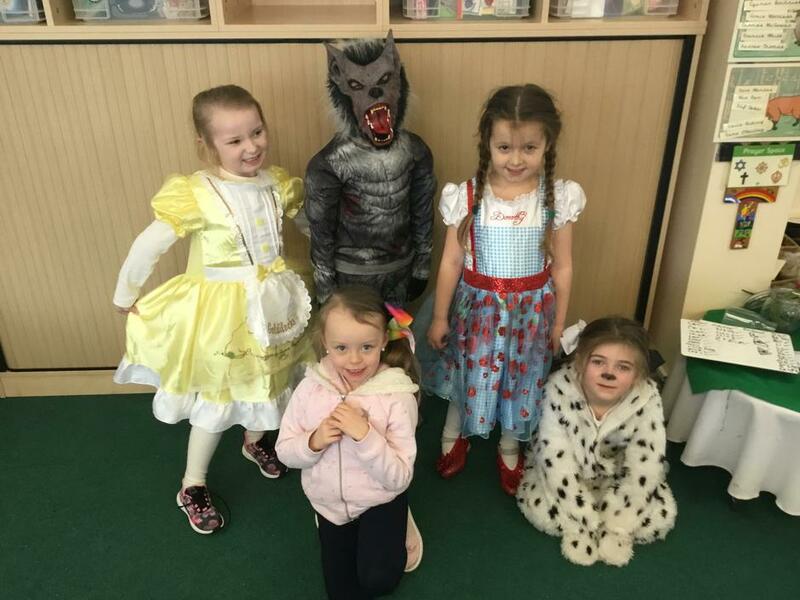 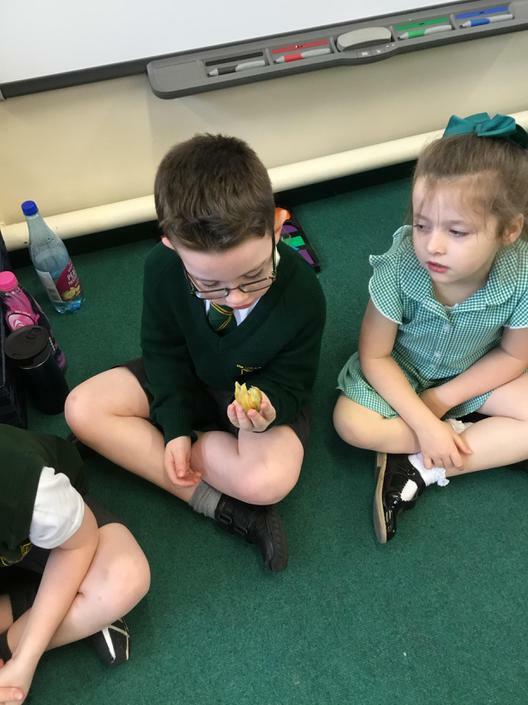 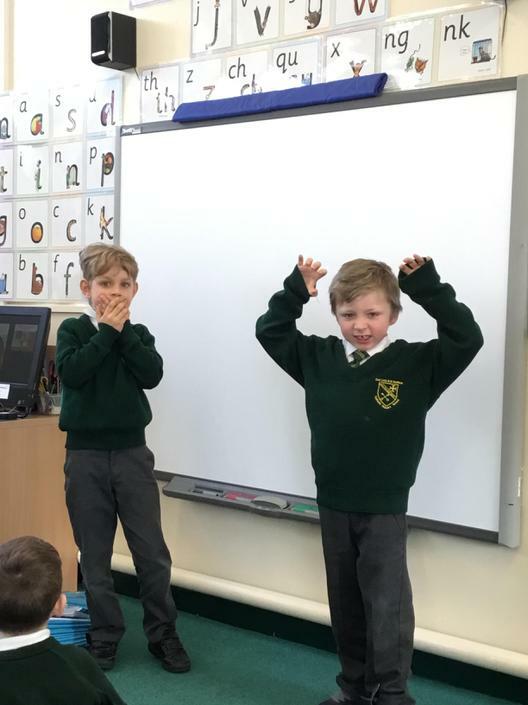 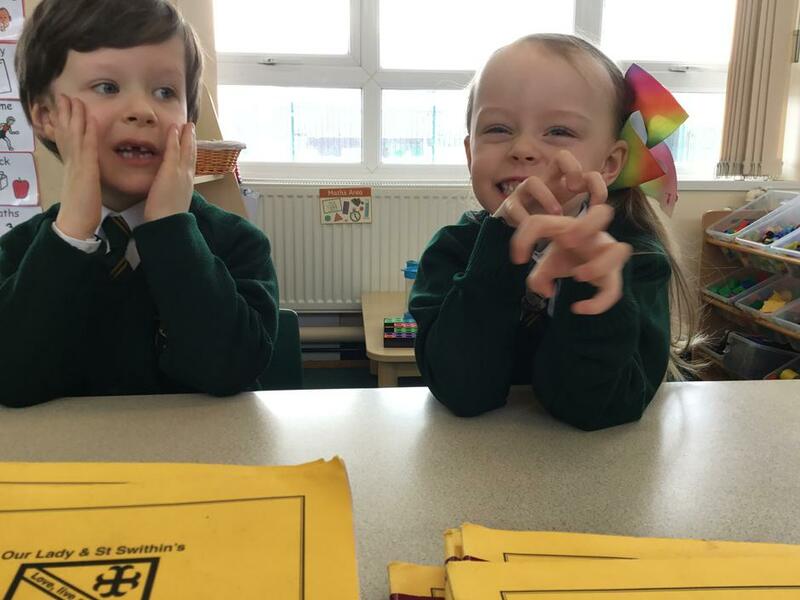 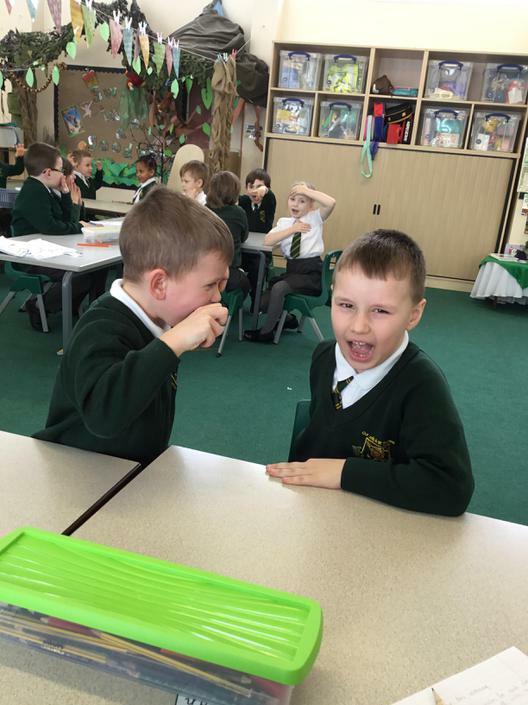 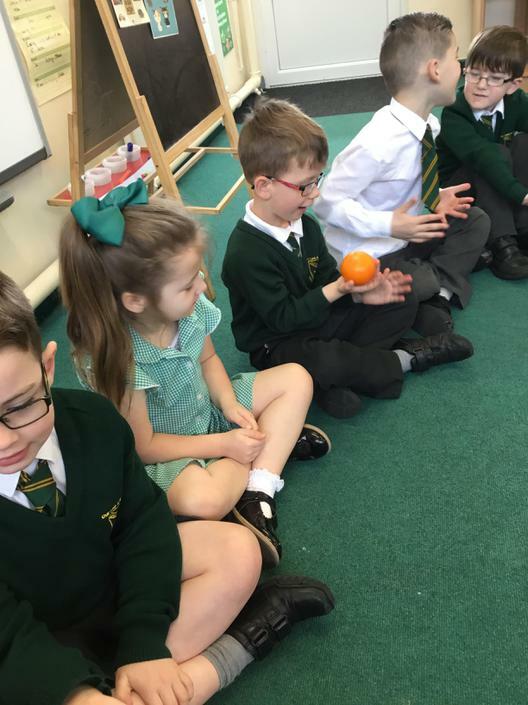 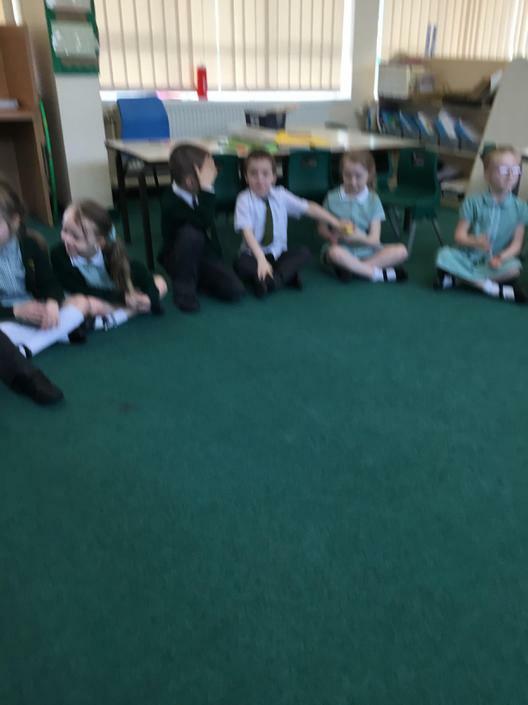 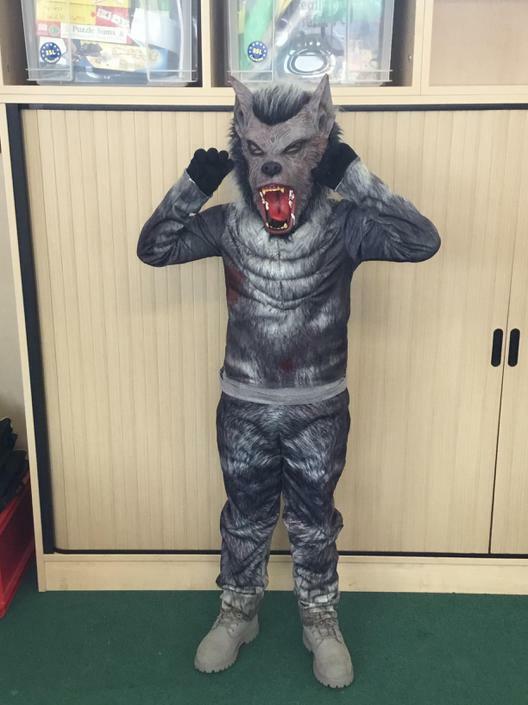 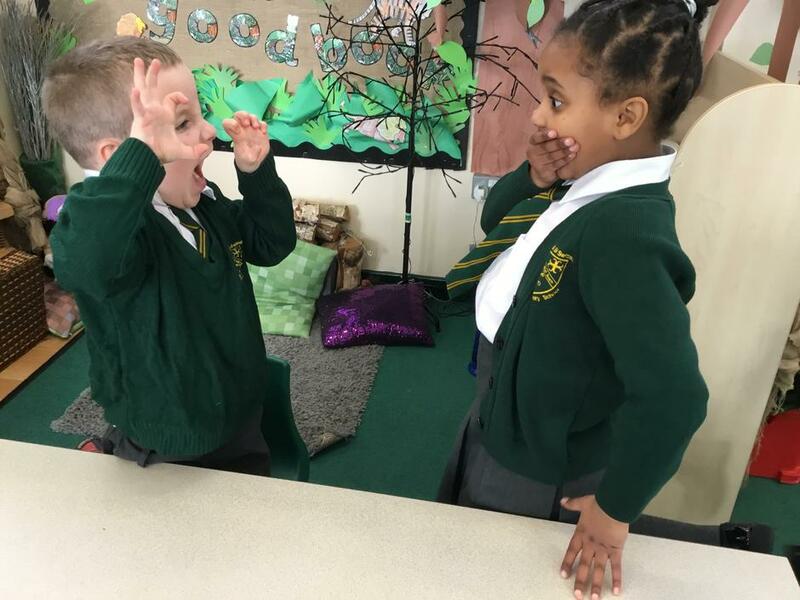 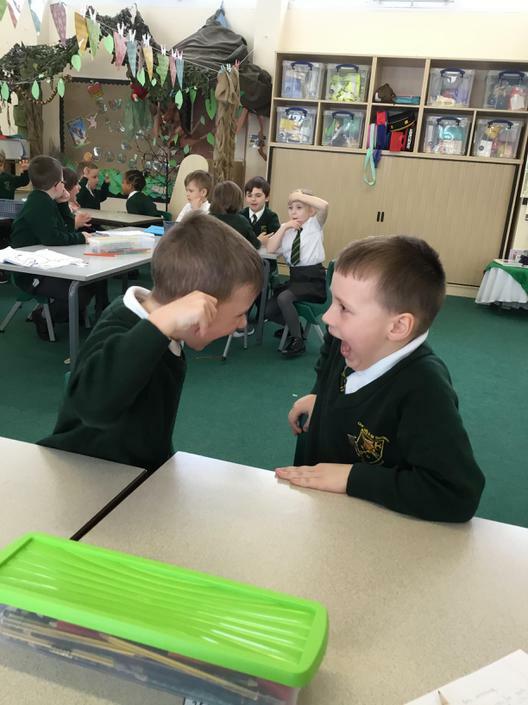 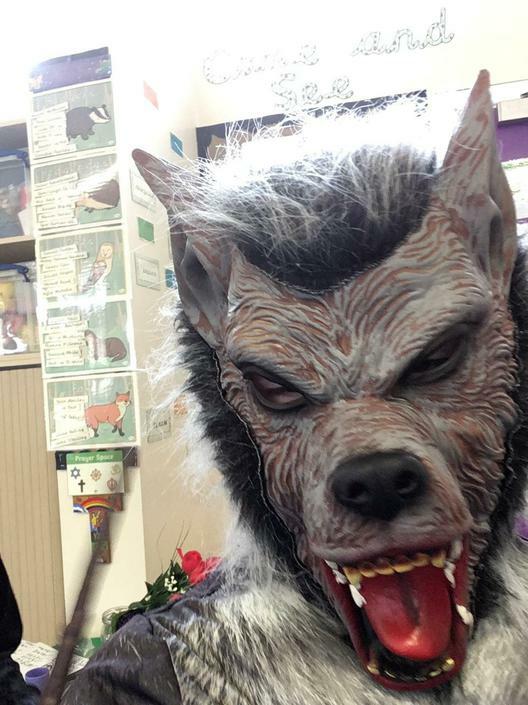 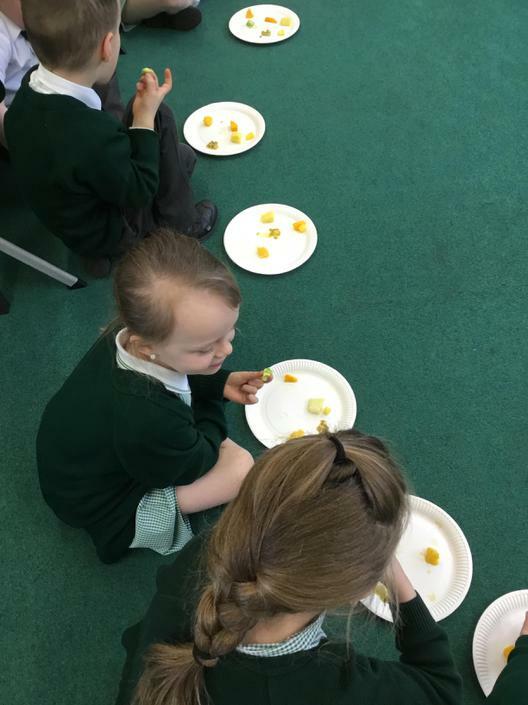 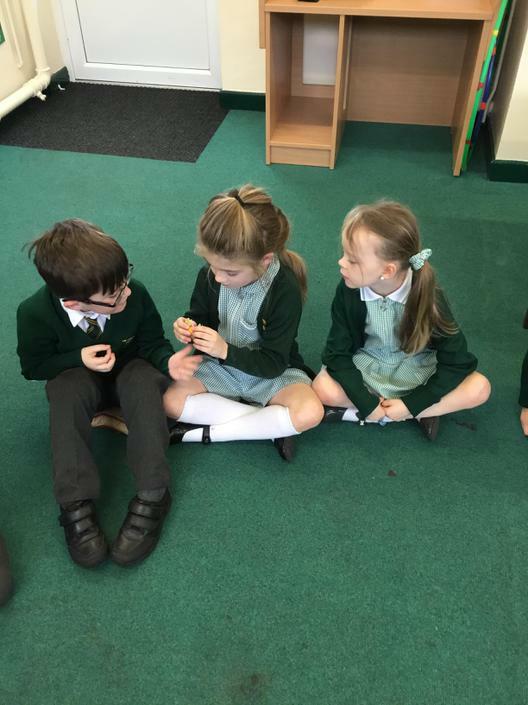 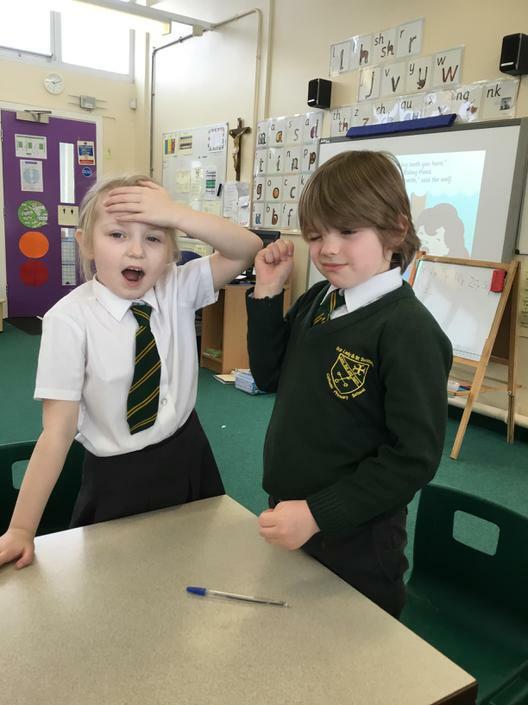 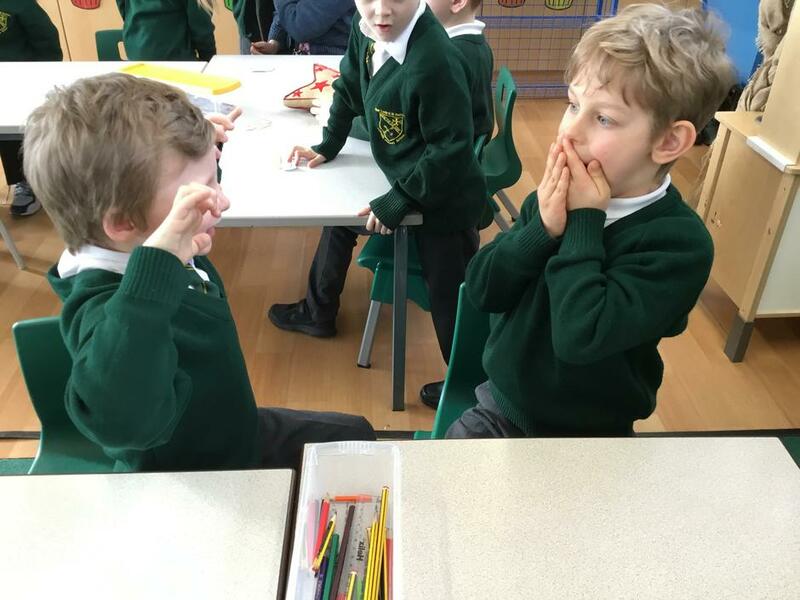 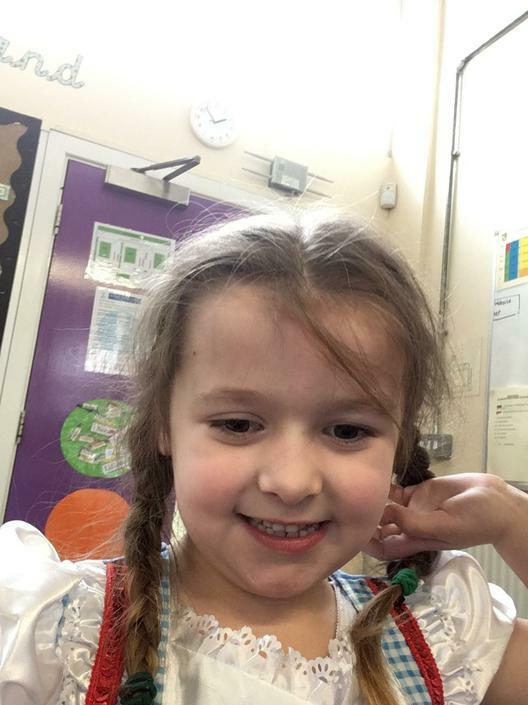 We have been learning about Little Red Riding Hood. 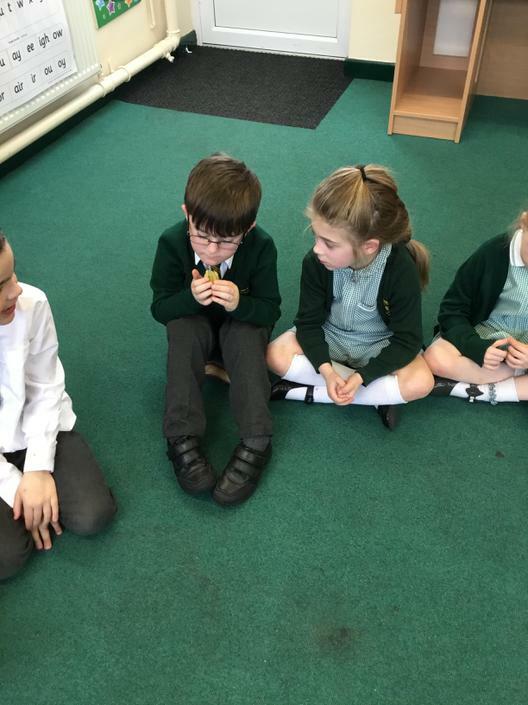 We have role played the story in small groups to think about how the characters are feeling and what they may say. 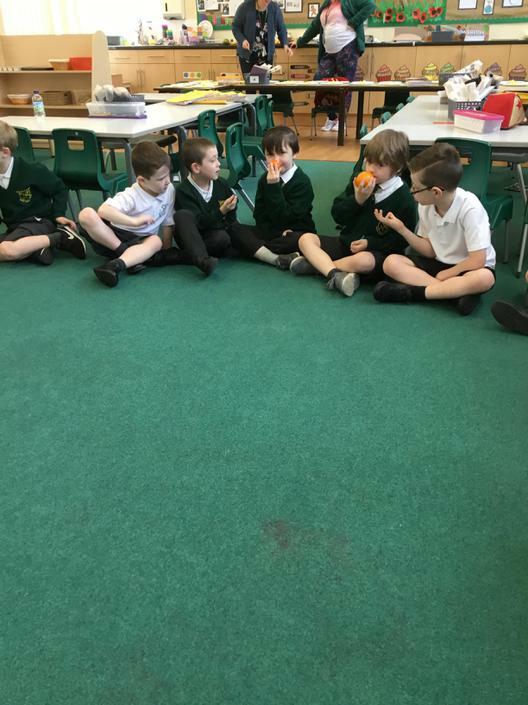 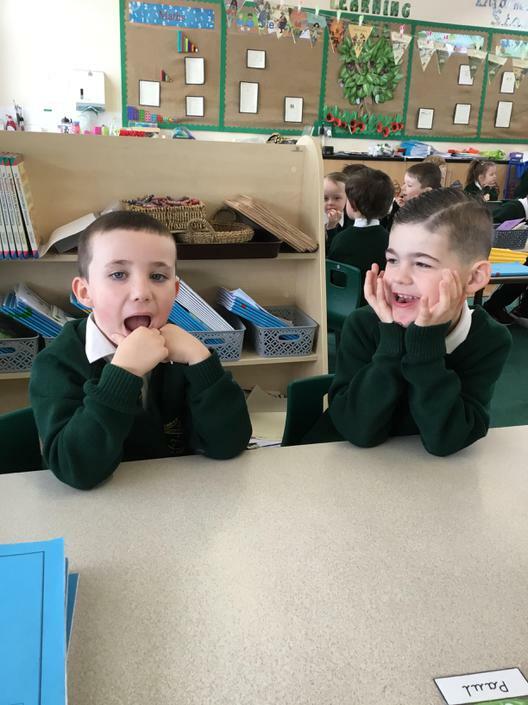 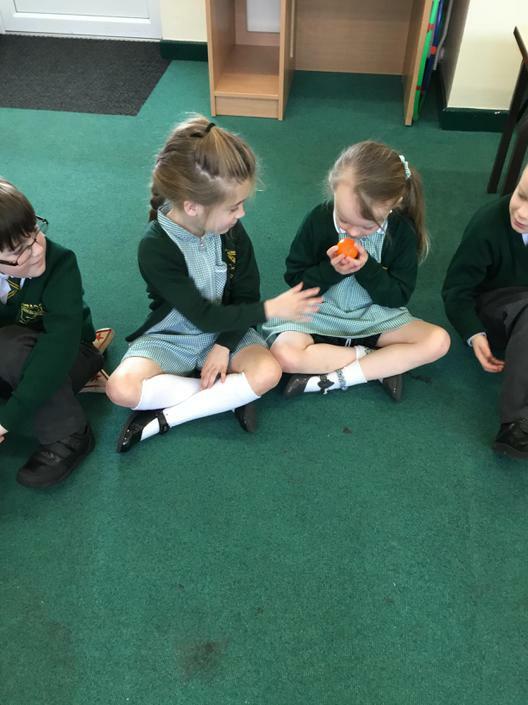 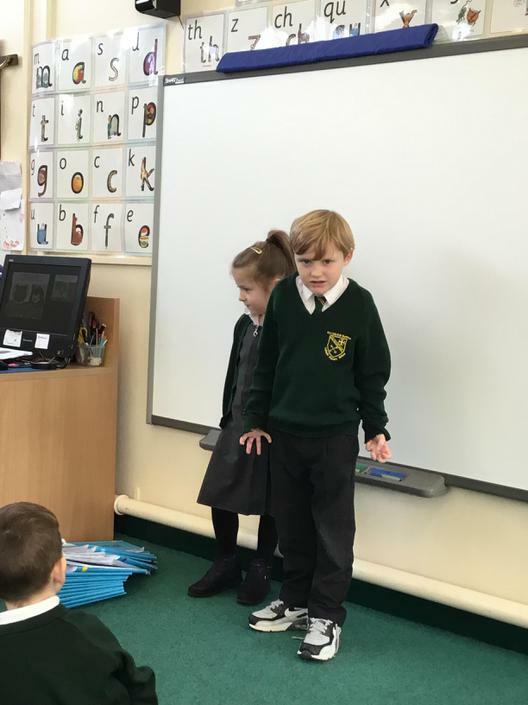 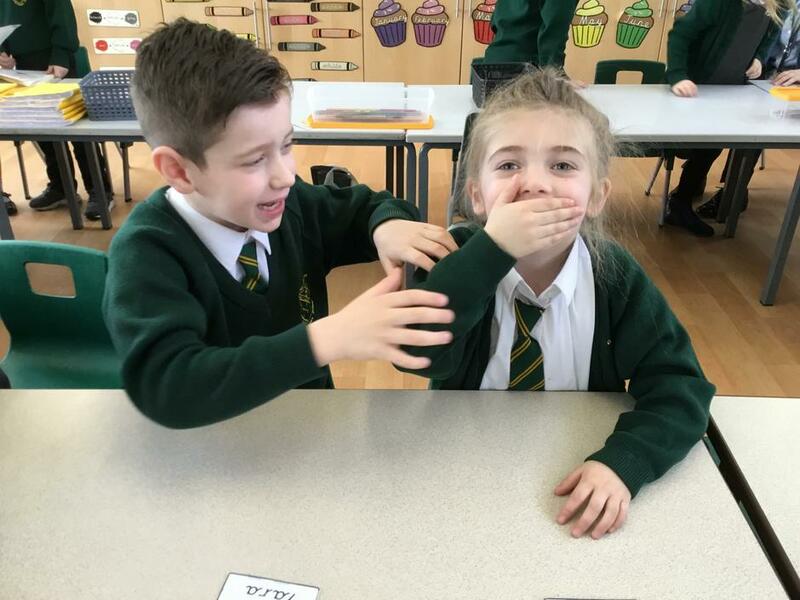 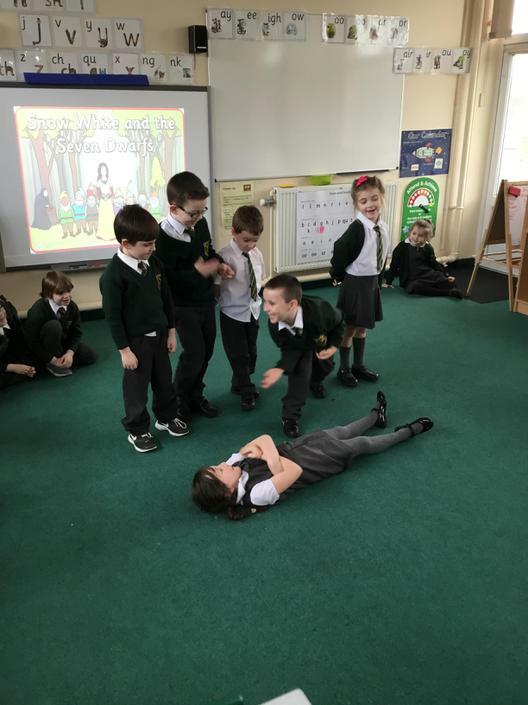 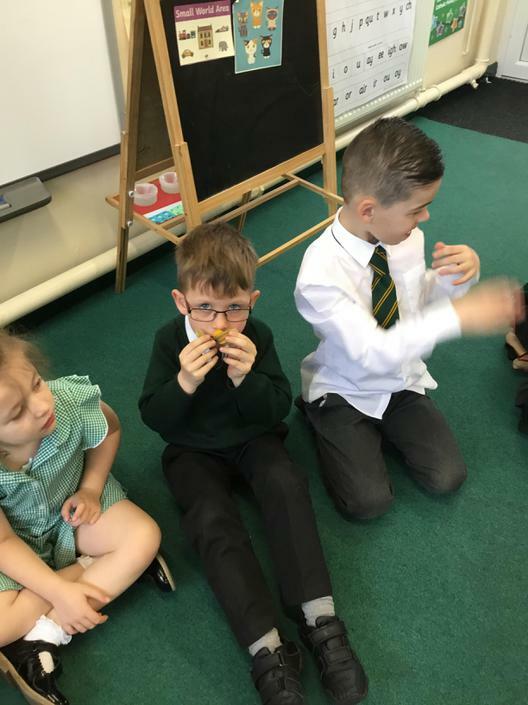 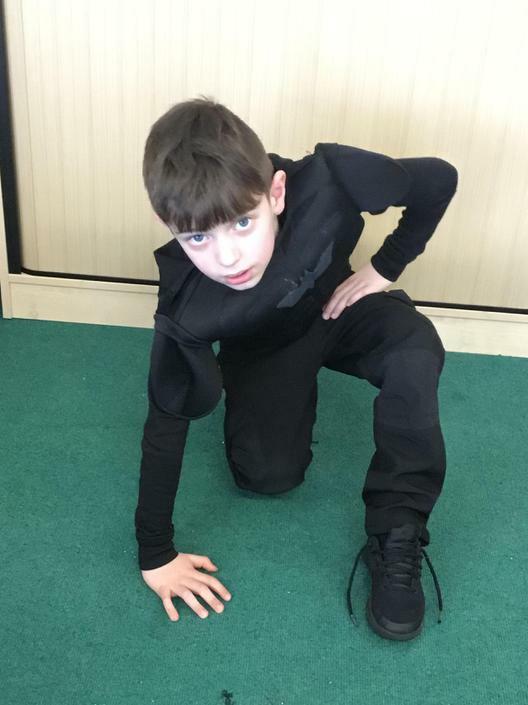 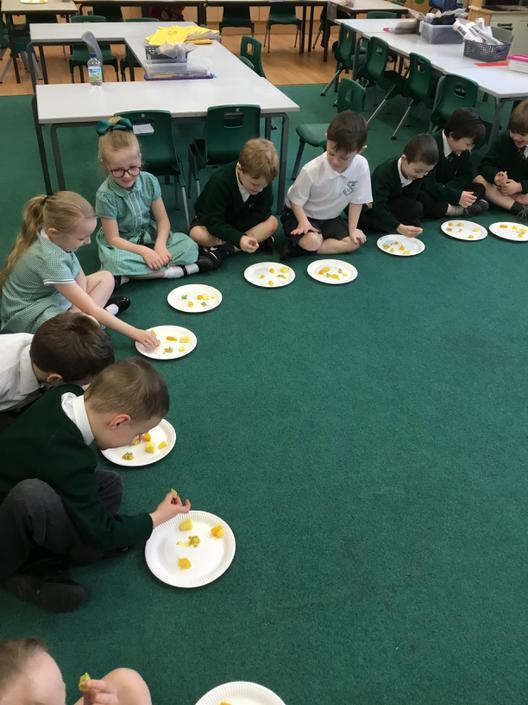 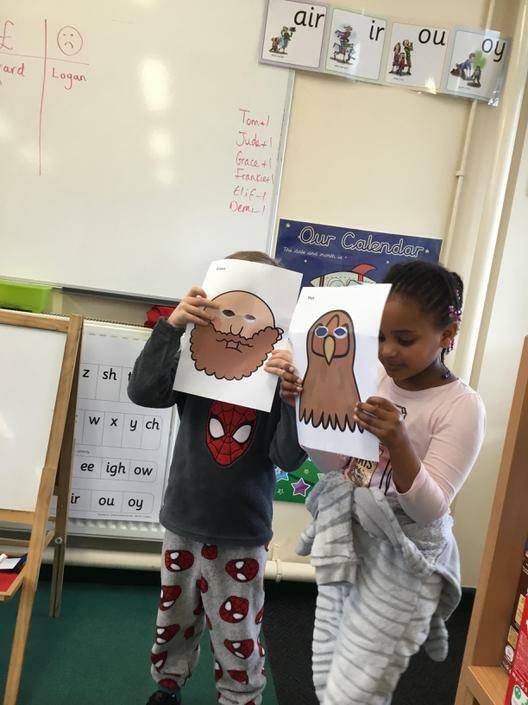 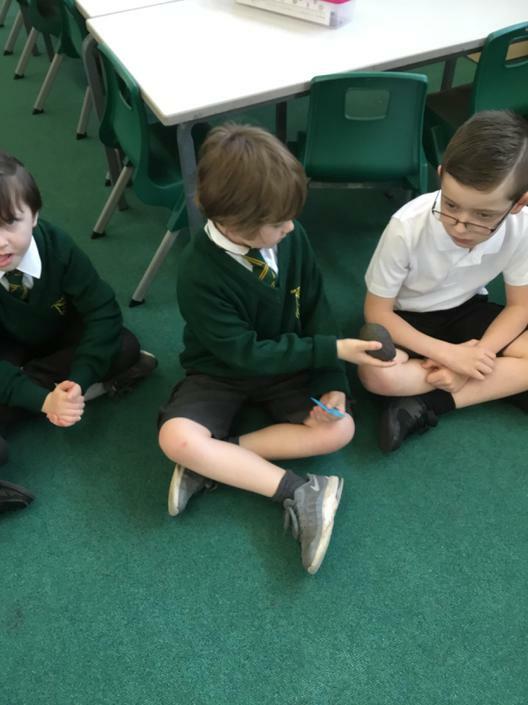 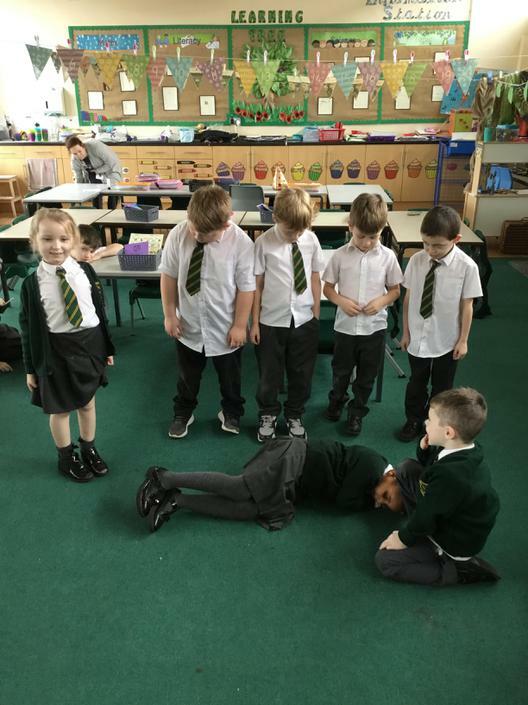 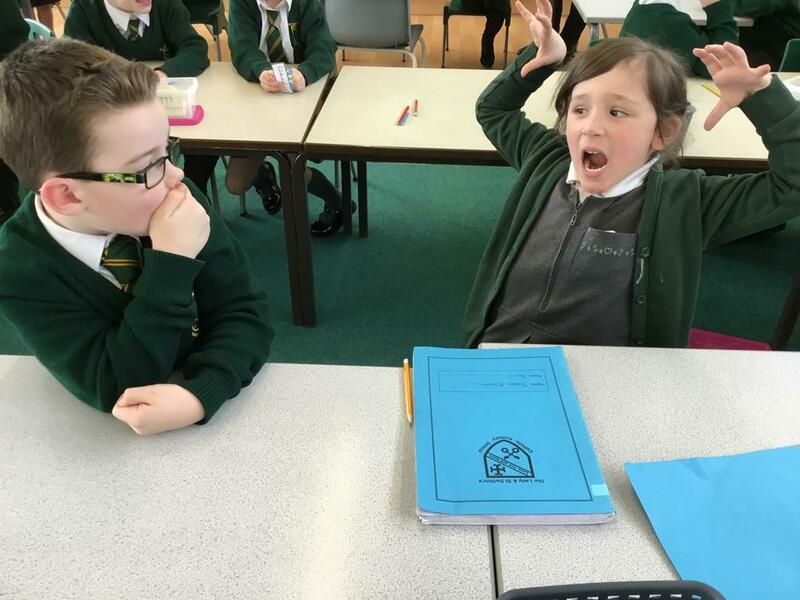 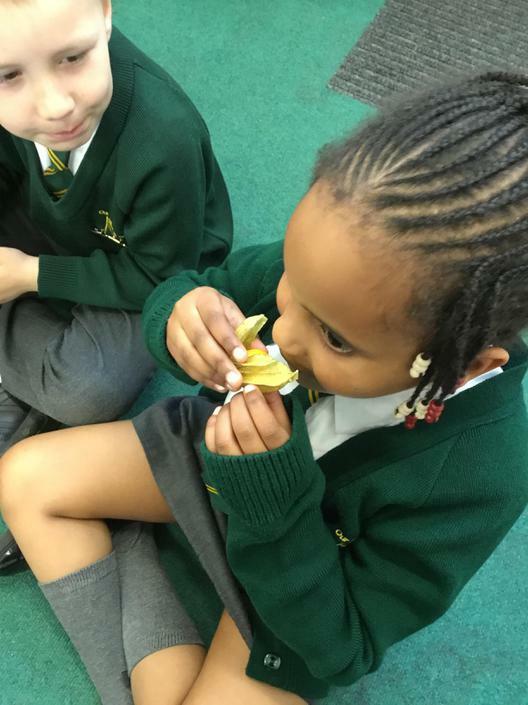 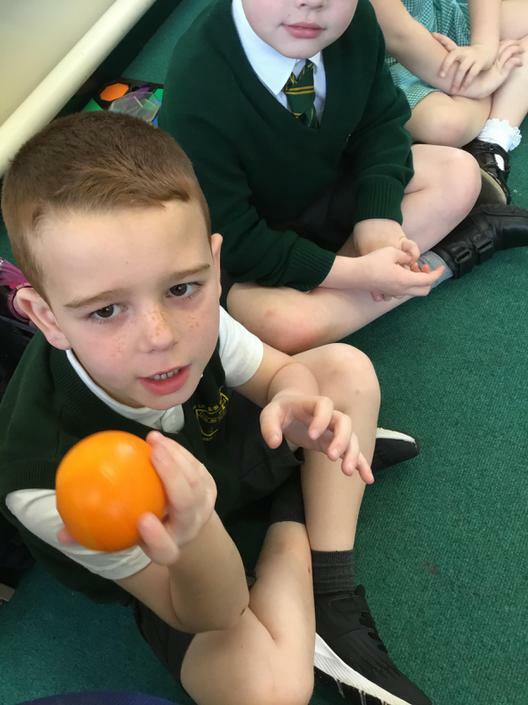 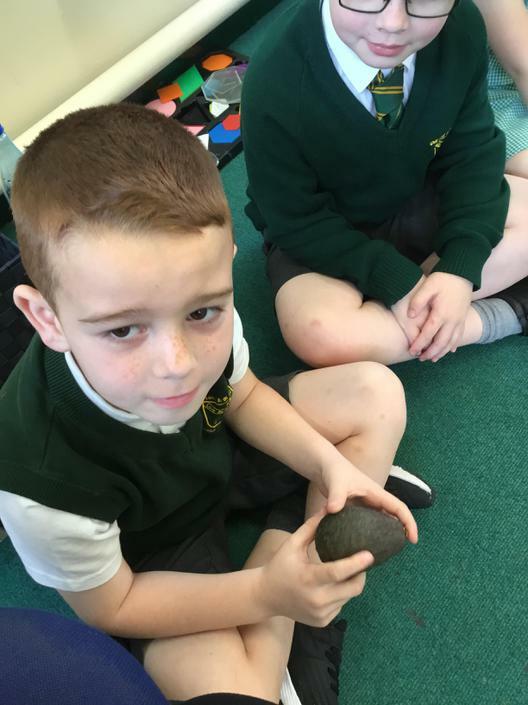 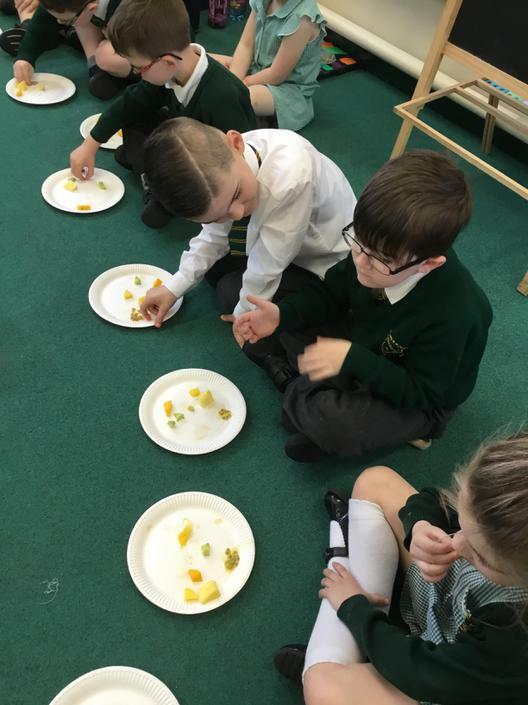 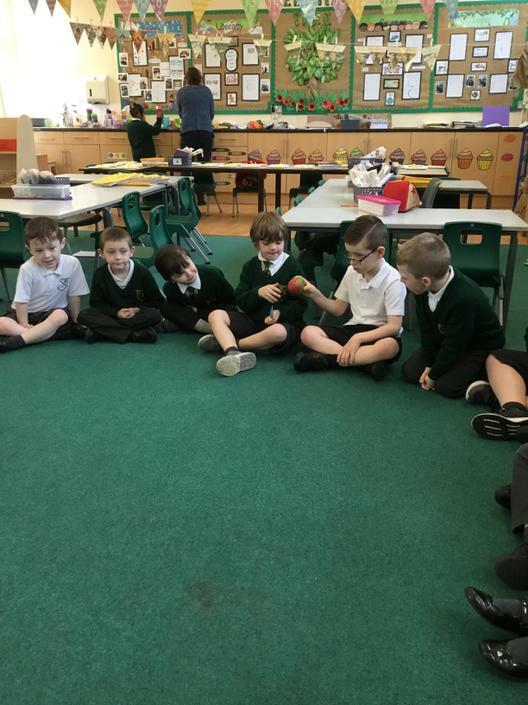 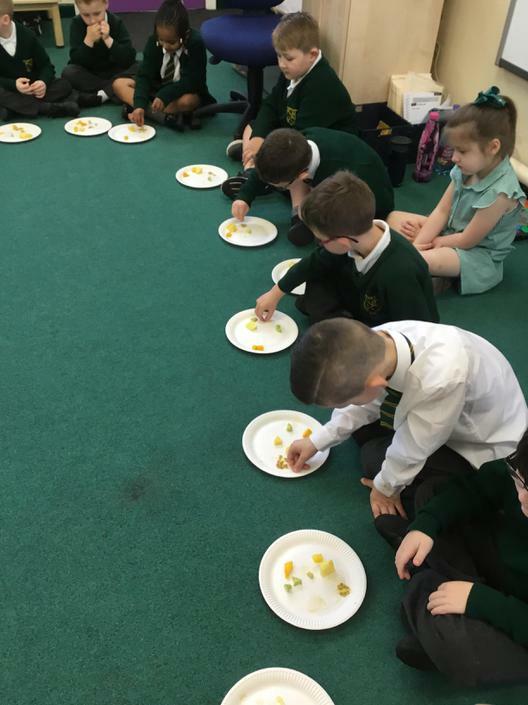 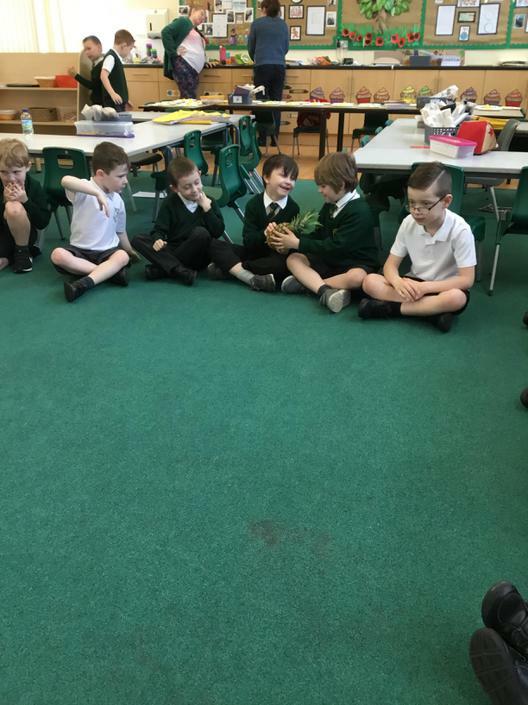 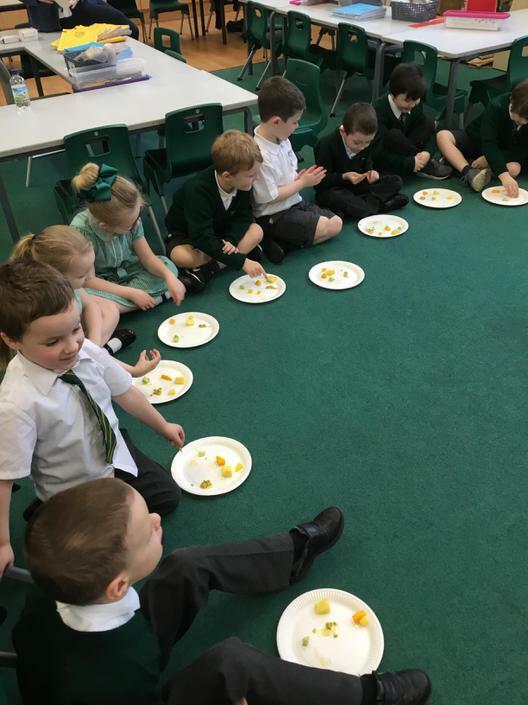 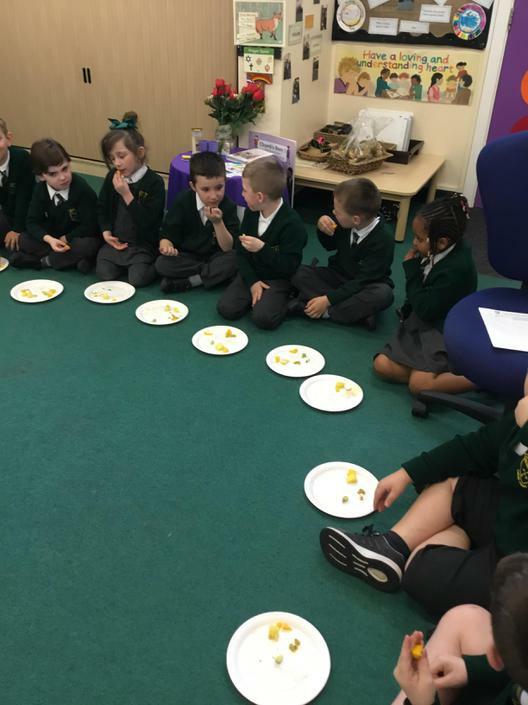 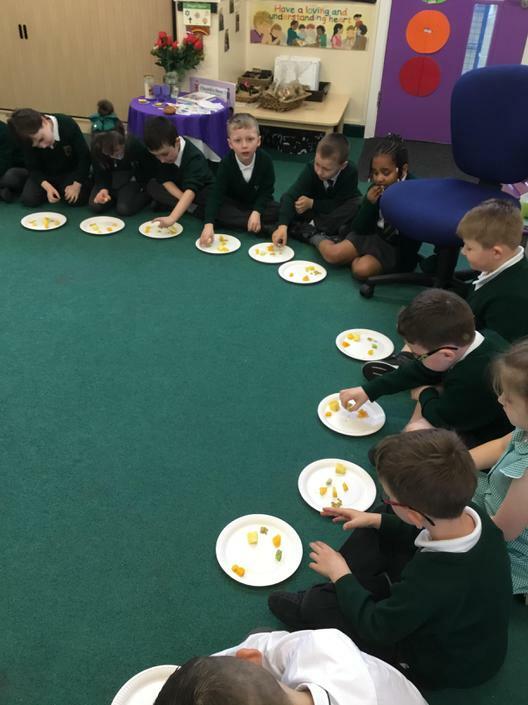 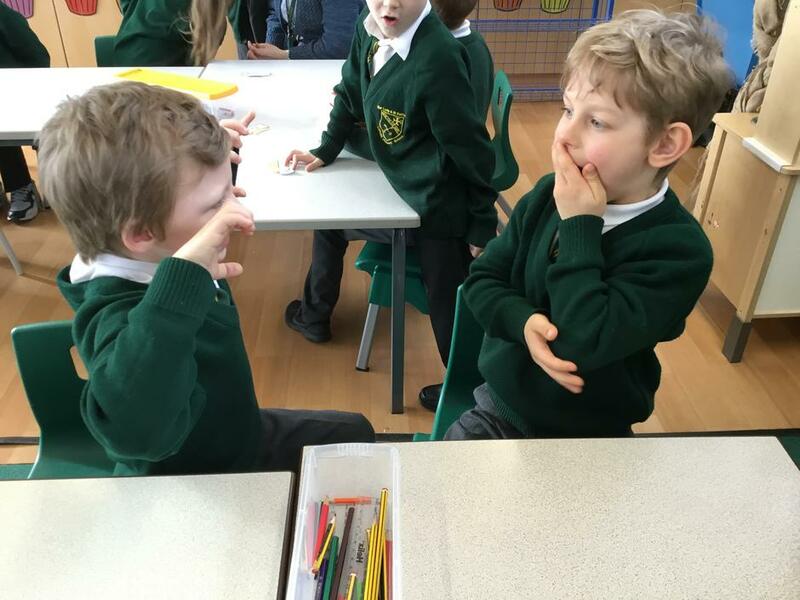 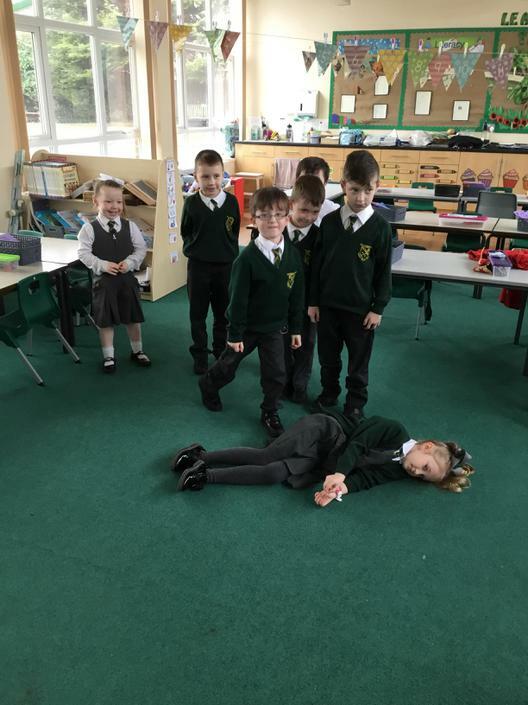 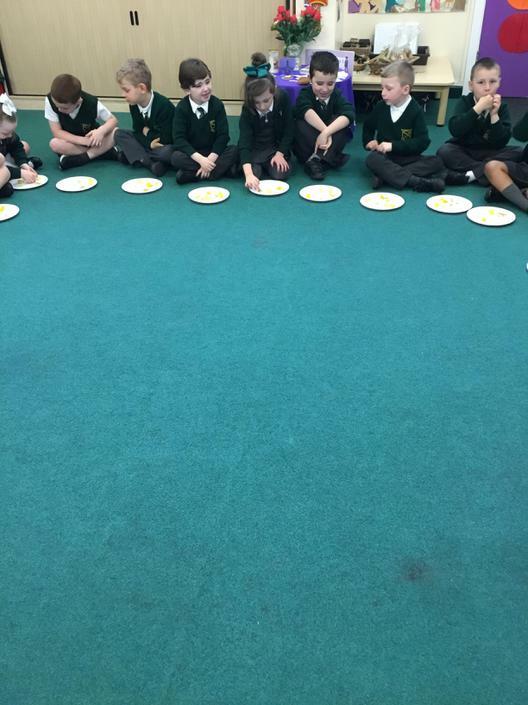 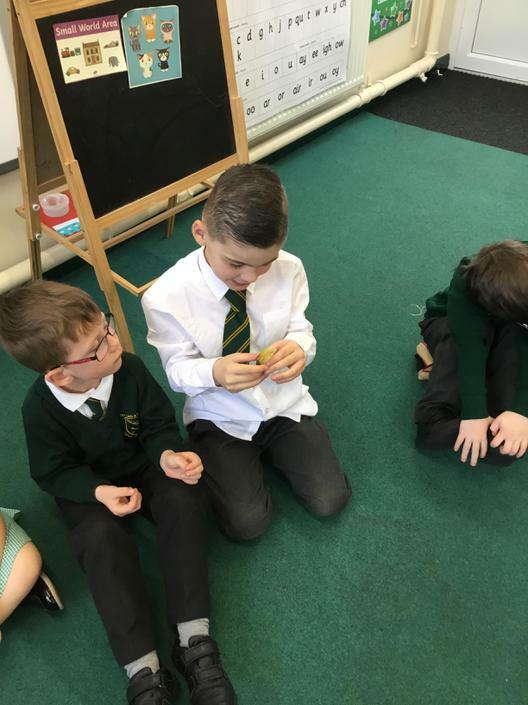 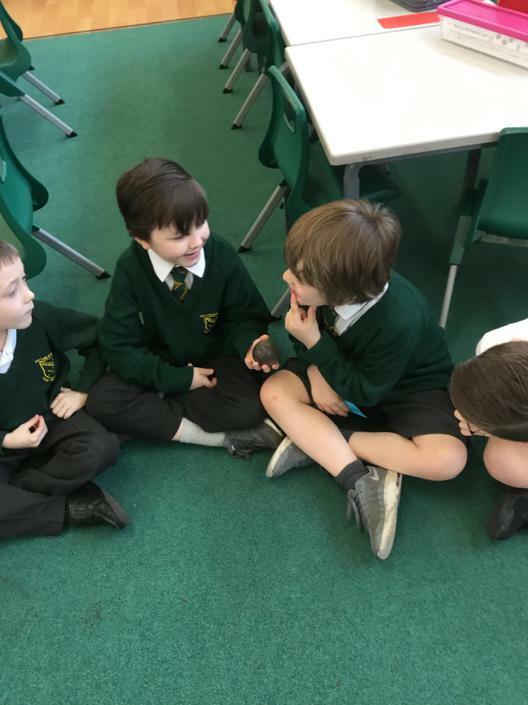 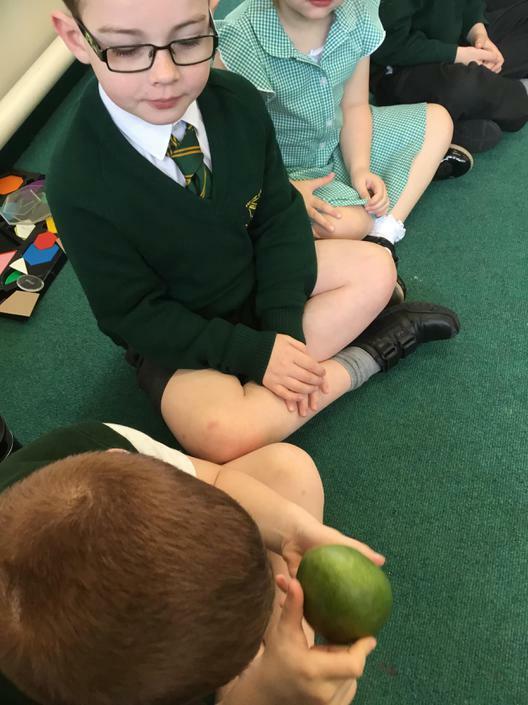 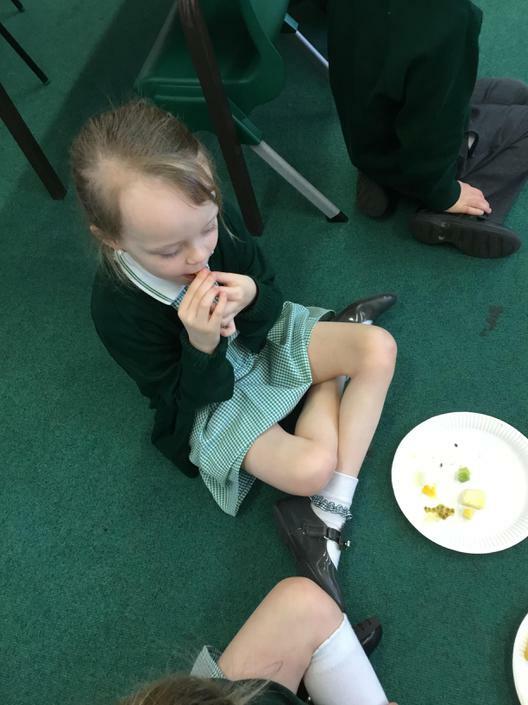 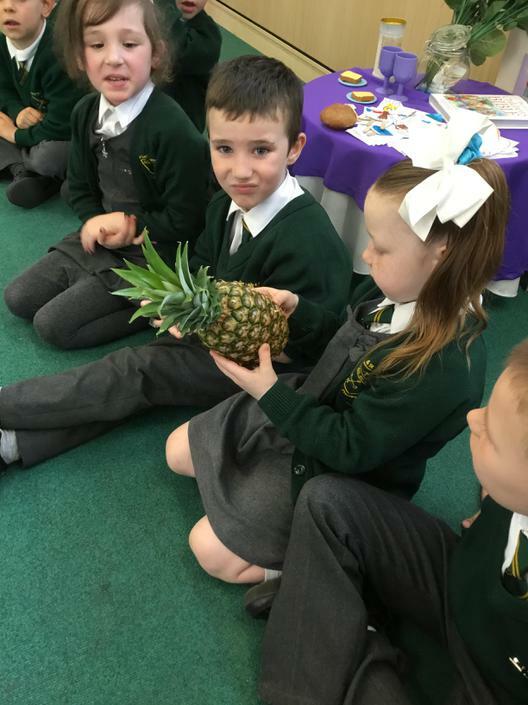 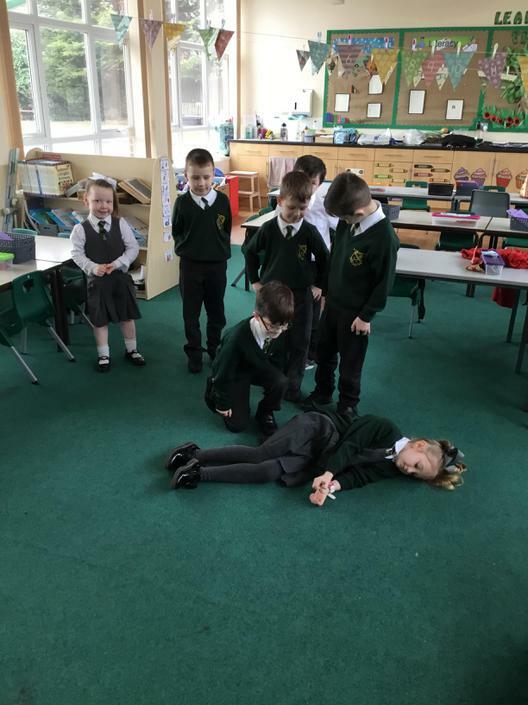 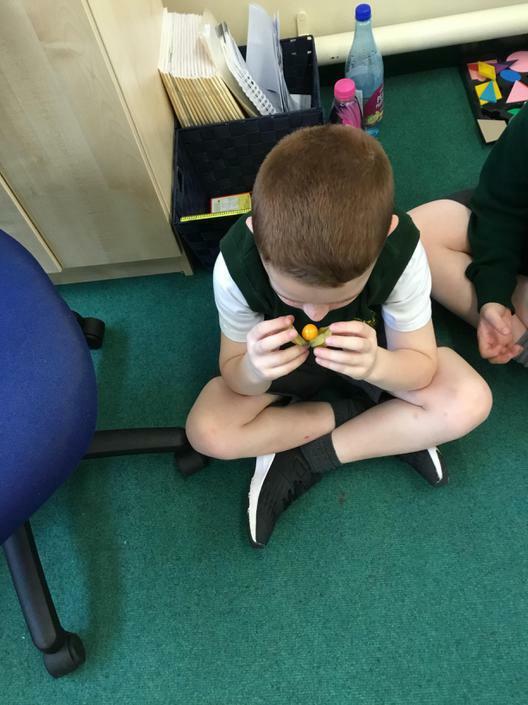 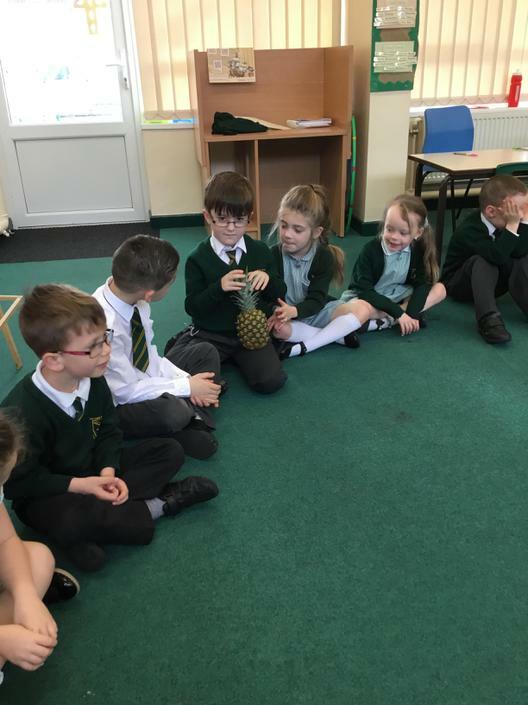 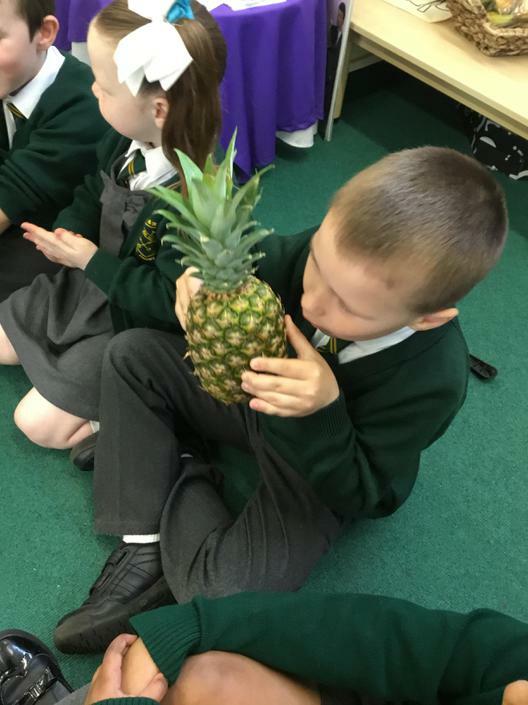 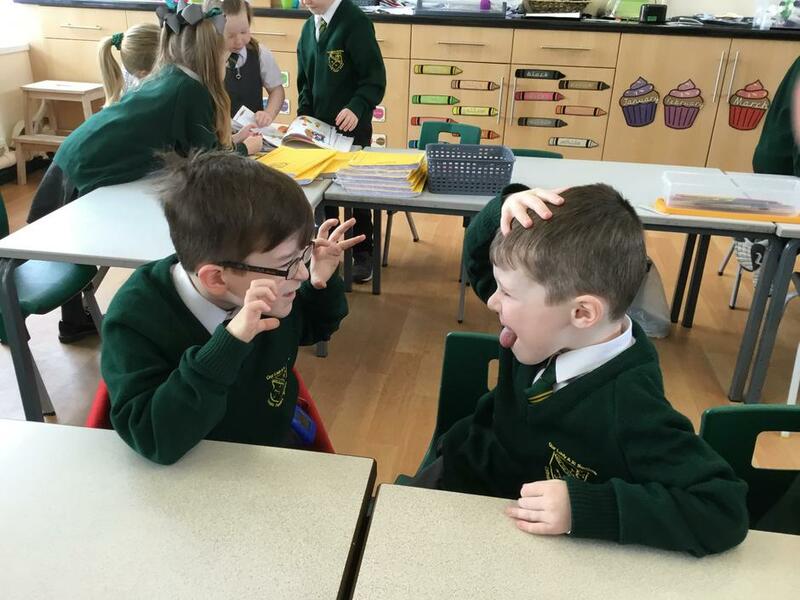 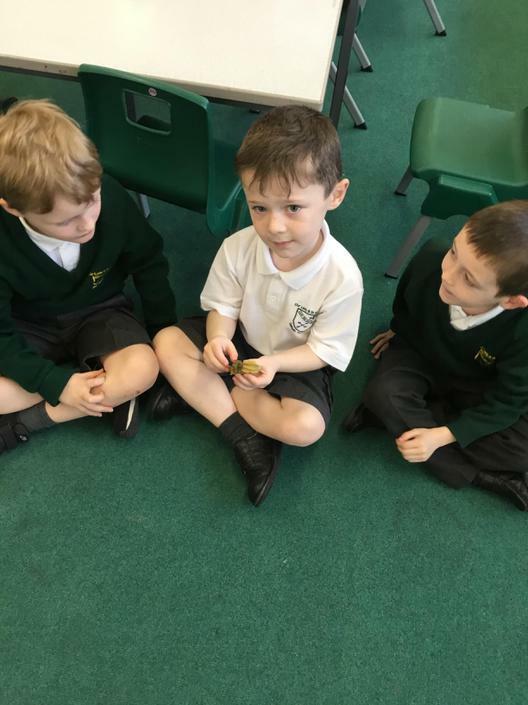 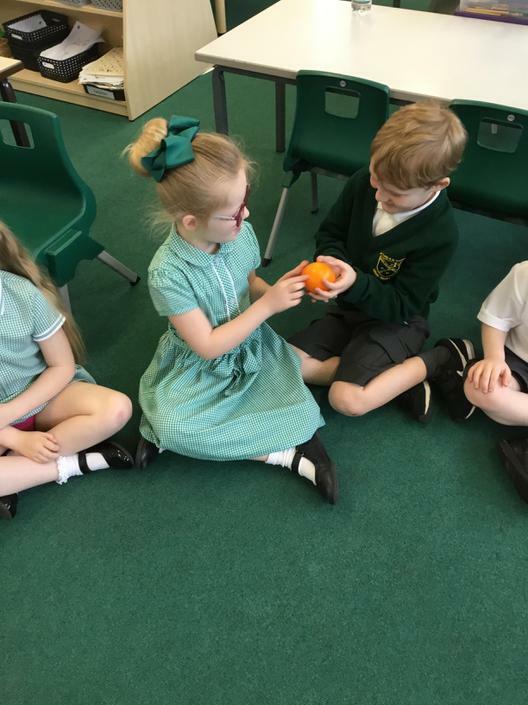 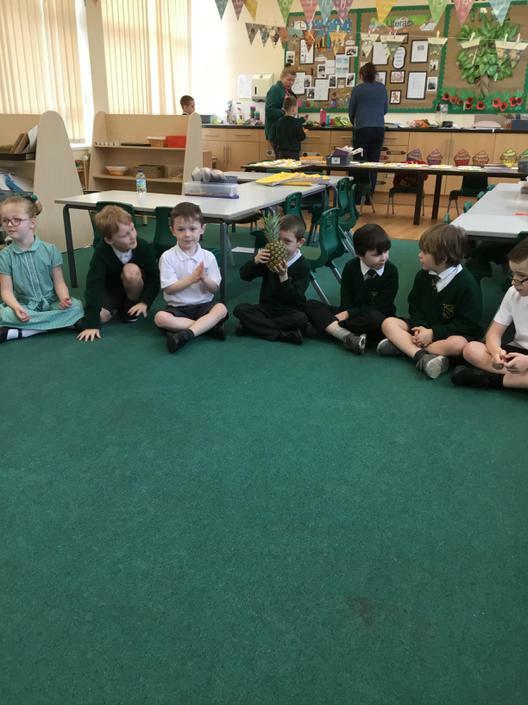 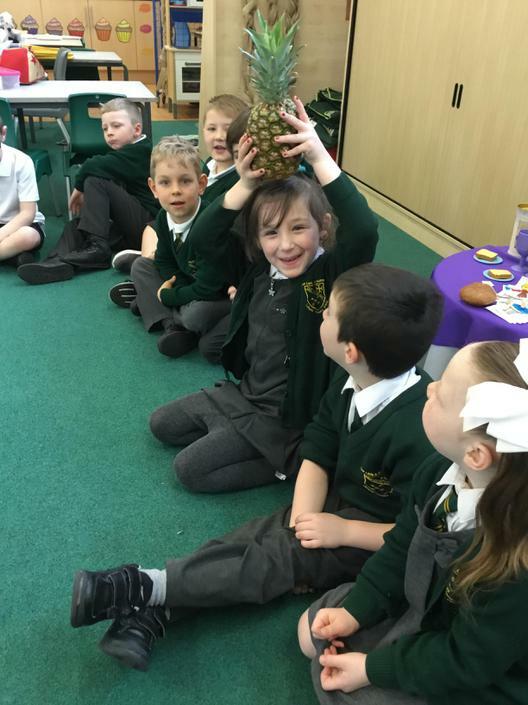 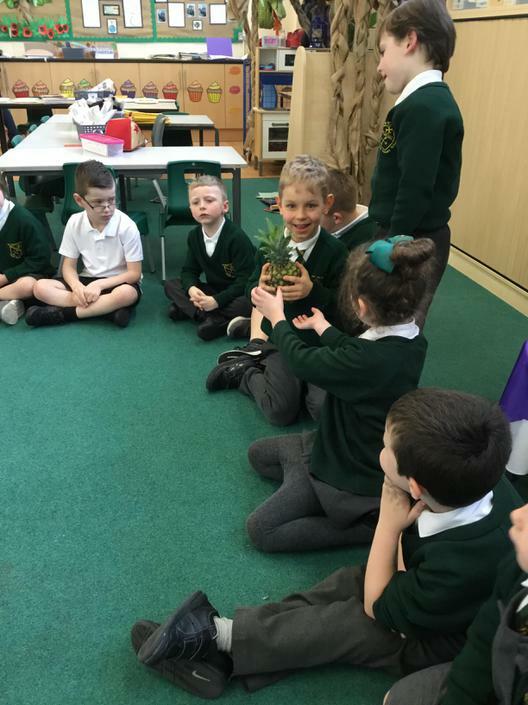 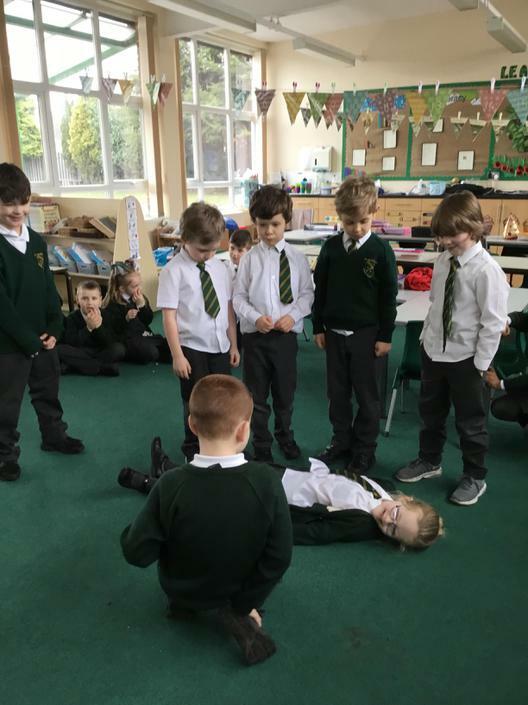 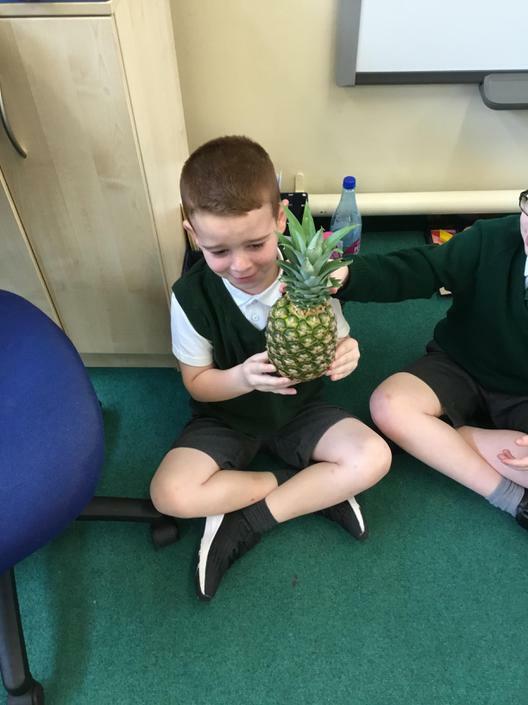 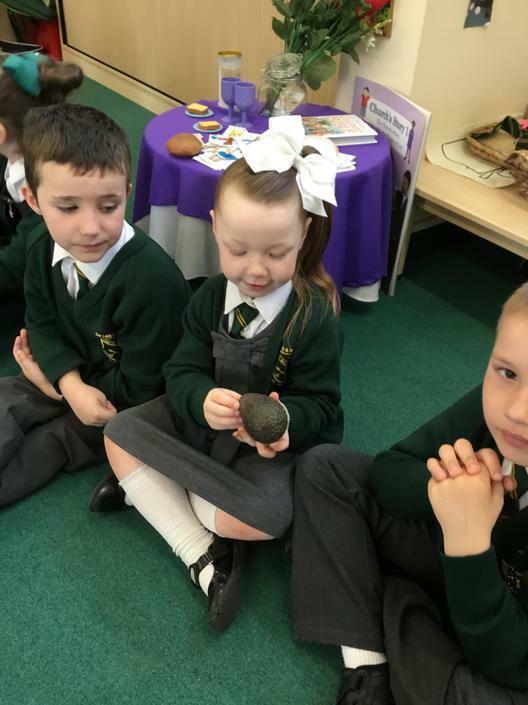 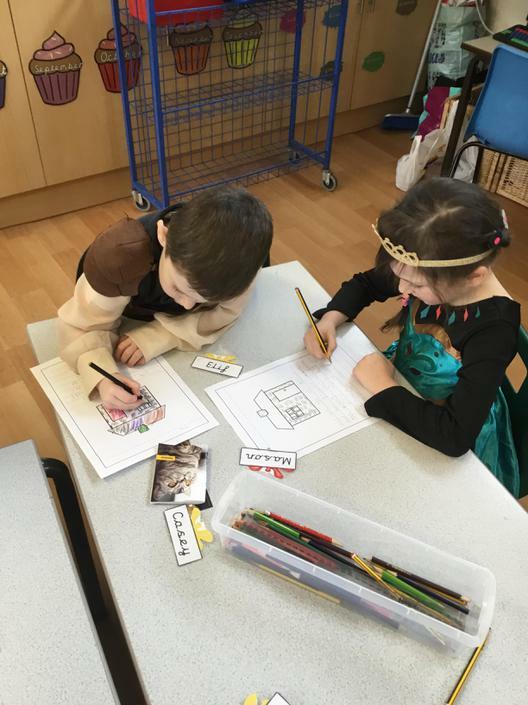 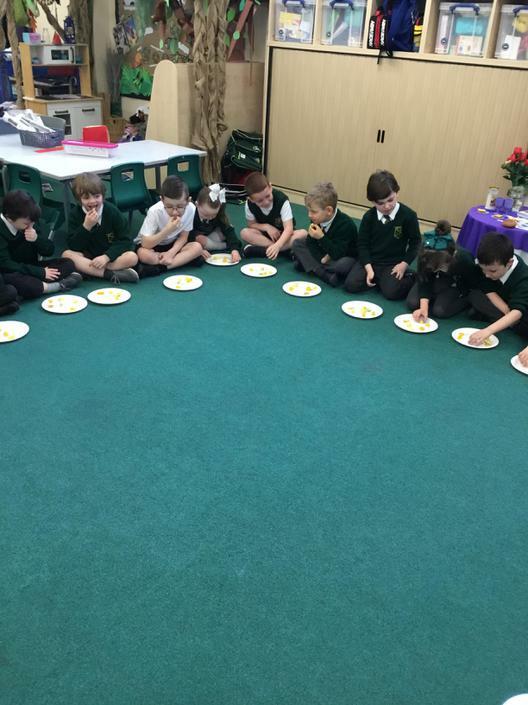 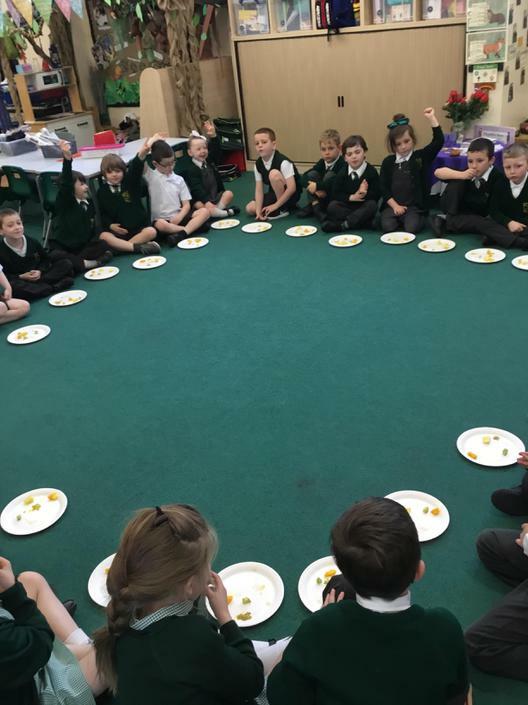 We have been learning about Traditional Tales this week. 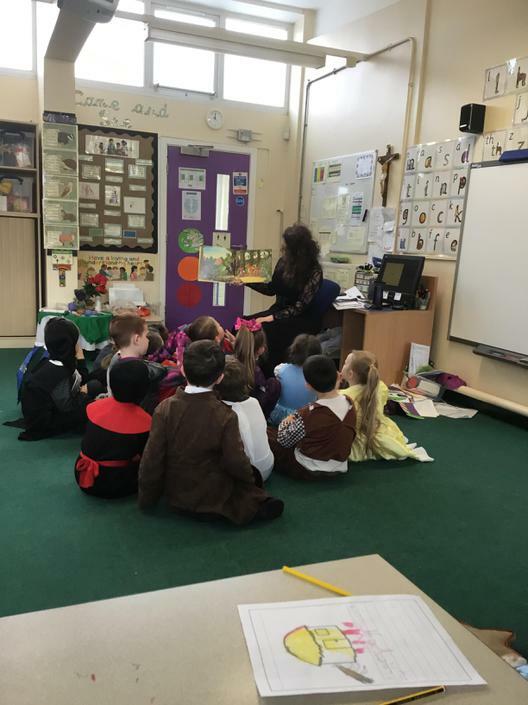 We have explored the story of Snow White and the Seven Dwarfs. 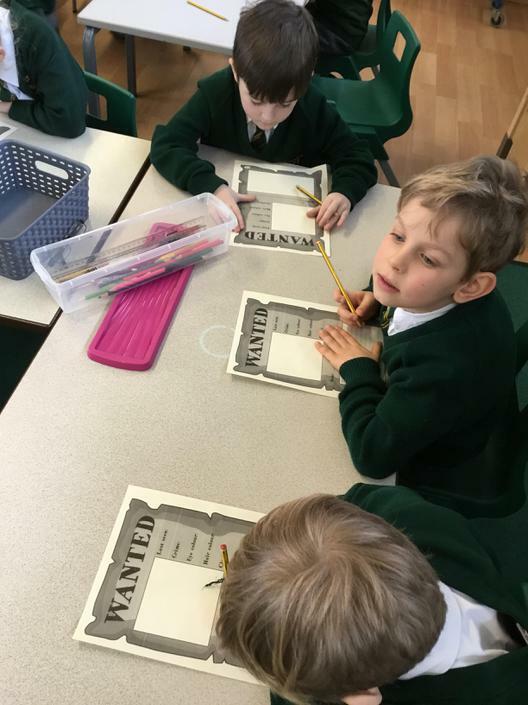 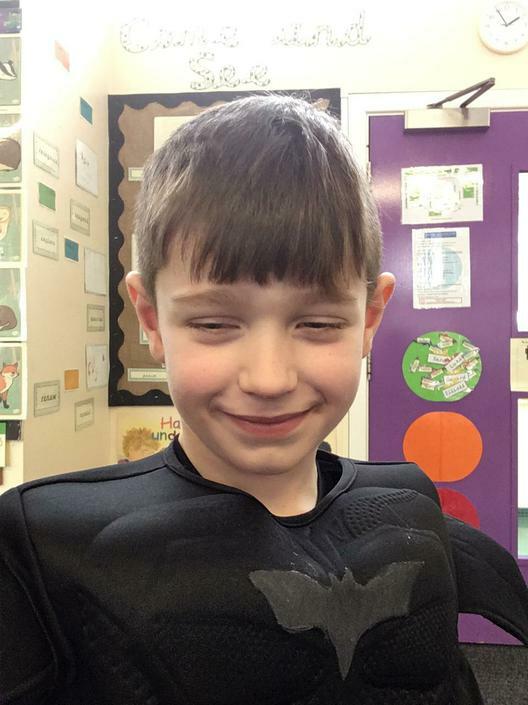 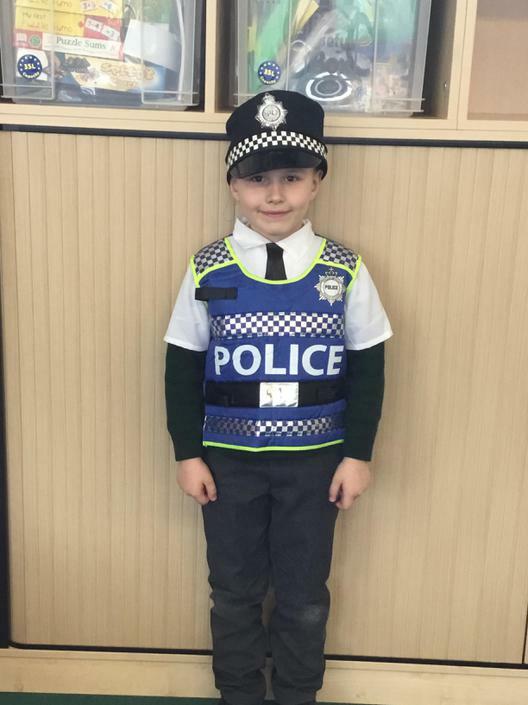 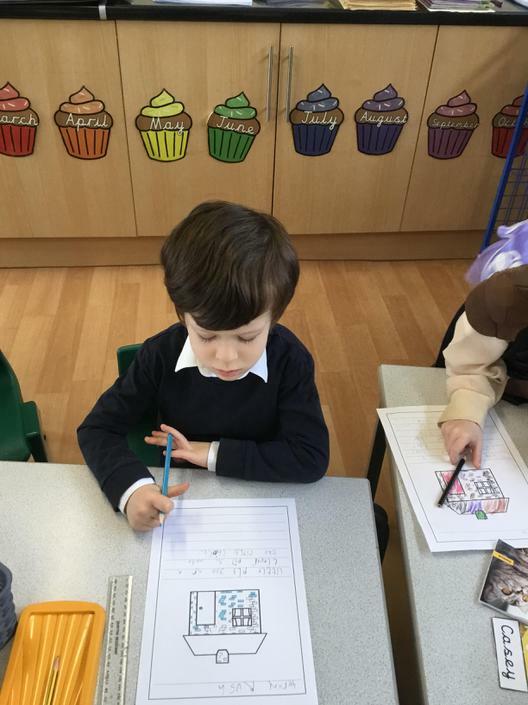 We have enjoyed role playing and creating character profiles. 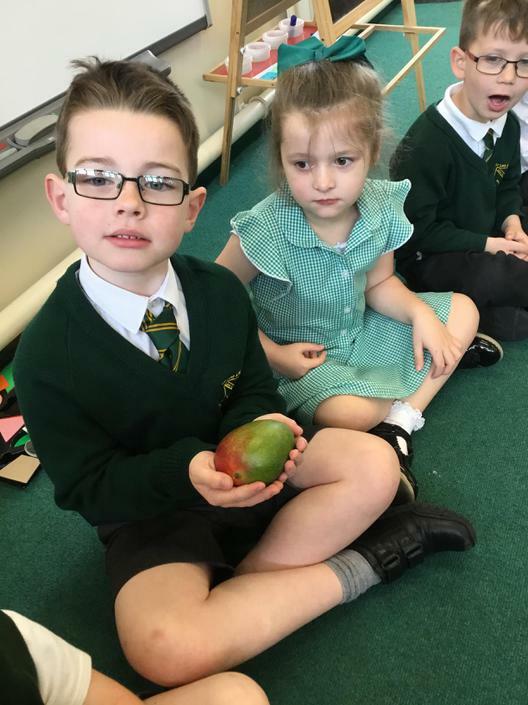 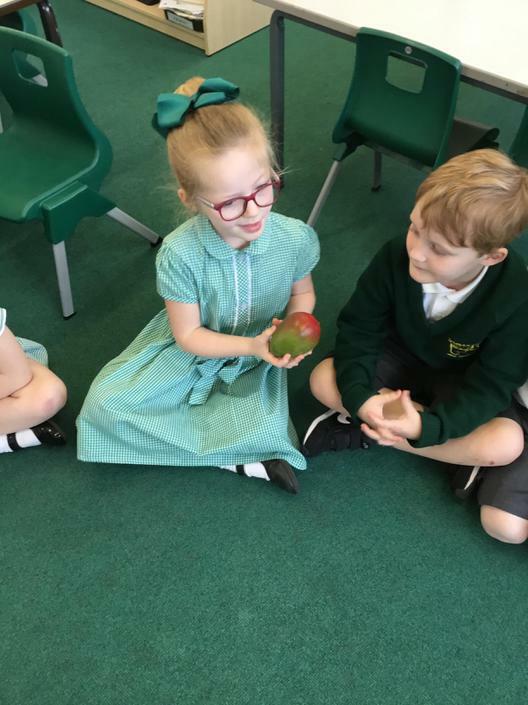 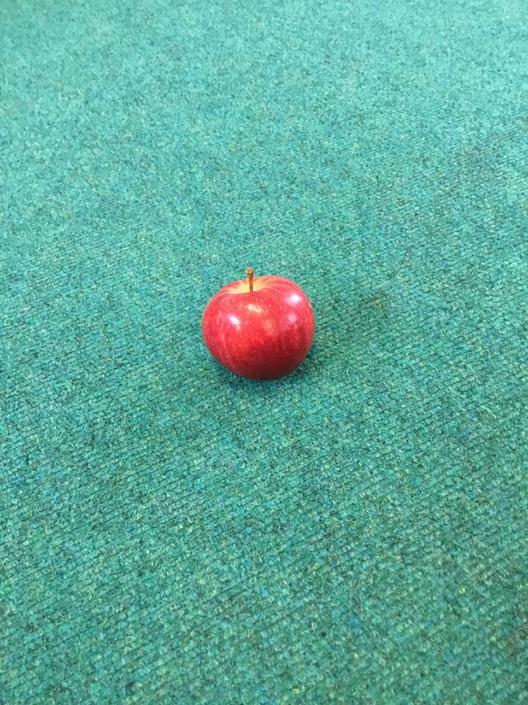 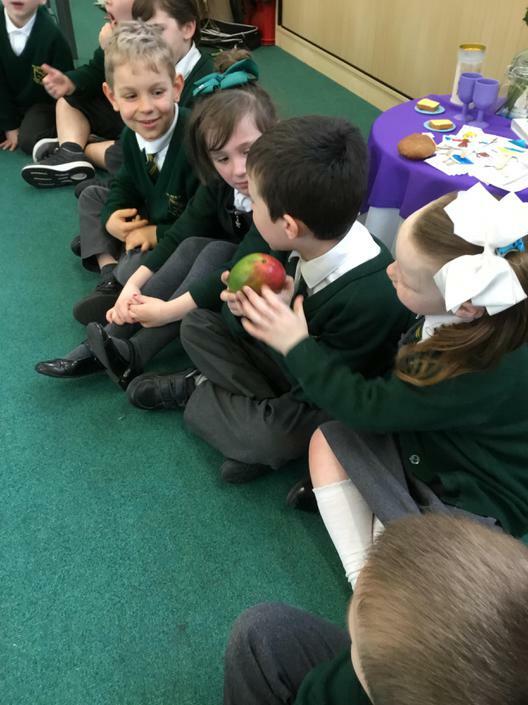 We even found a mysterious red apple 🍎 which prompted the creation of wanted posters to lead to the capture of the evil queen!